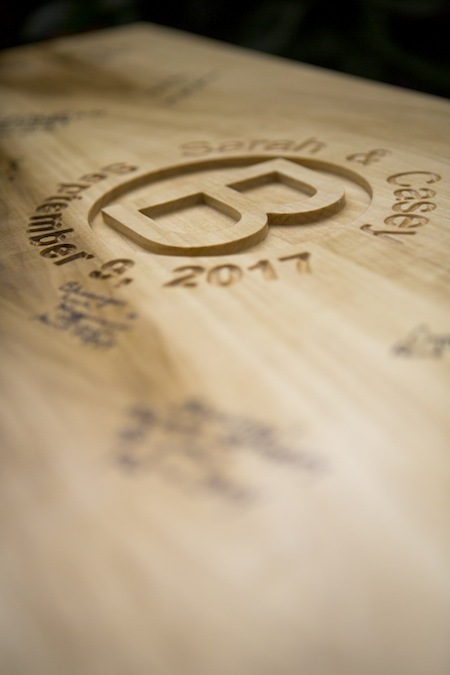 What a joy it is to share some of our favorite images of 2017-what an amazing year it has been! 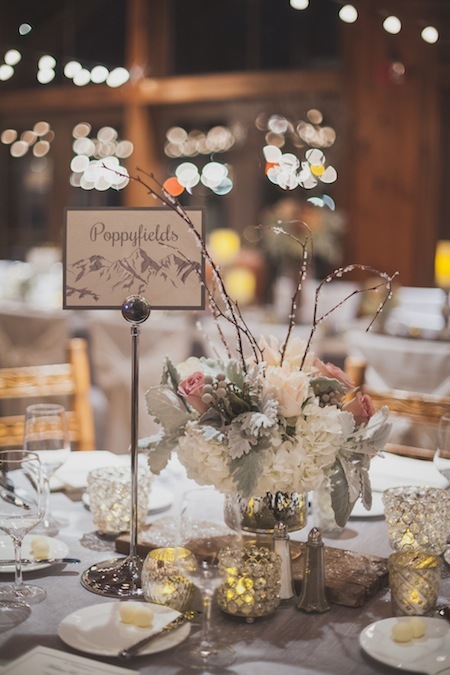 We are so fortunate to work alongside some of the very best clients and vendors around; so a big thank you to all of those who made this year truly spectacular! 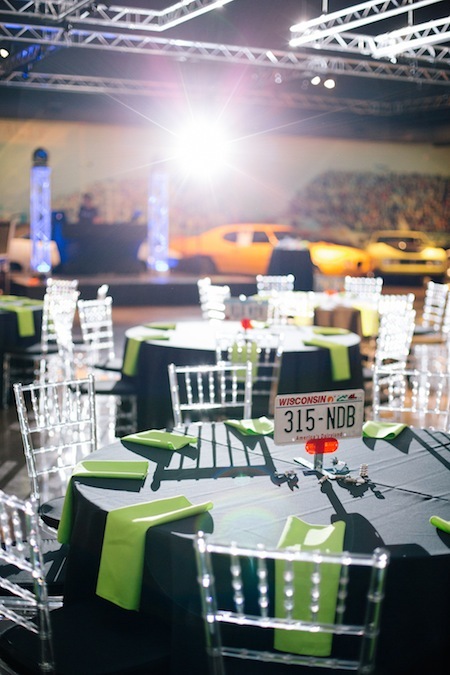 Enjoy taking a walk down memory lane with JA Special Events-we love all that we do thanks to each of you! 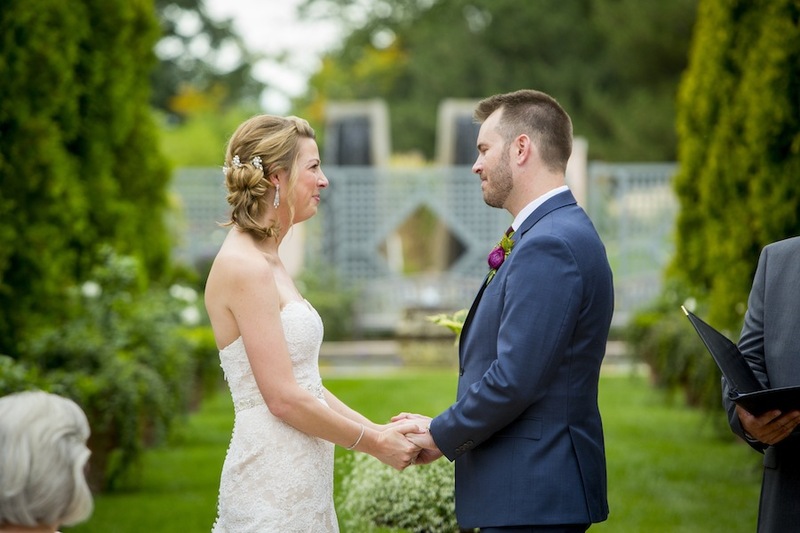 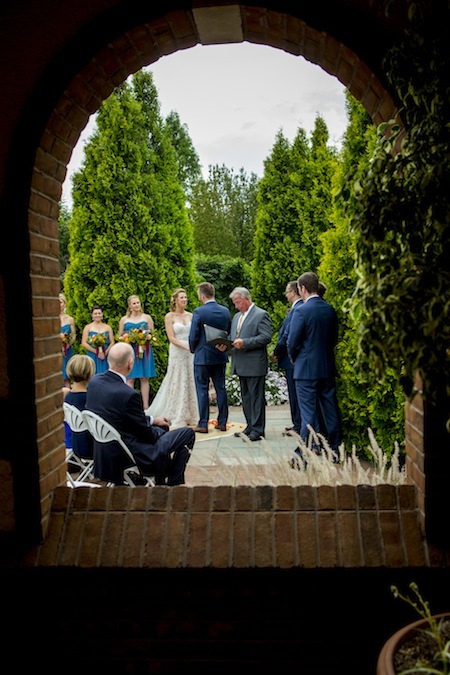 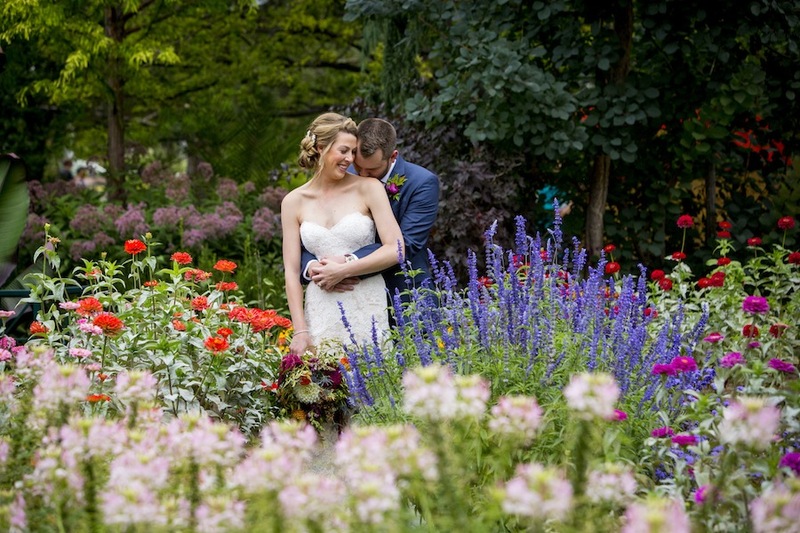 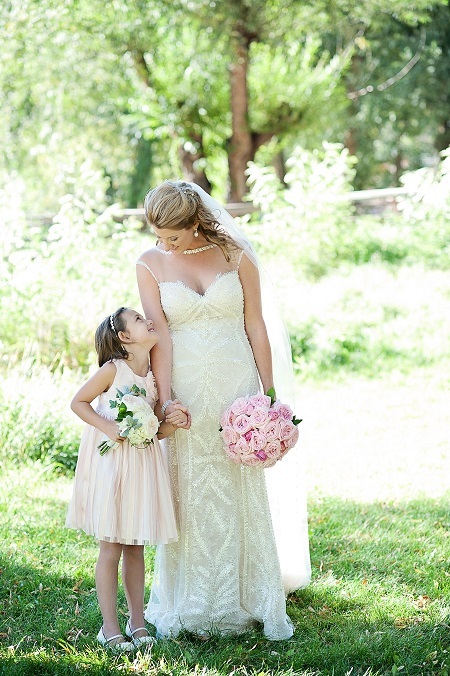 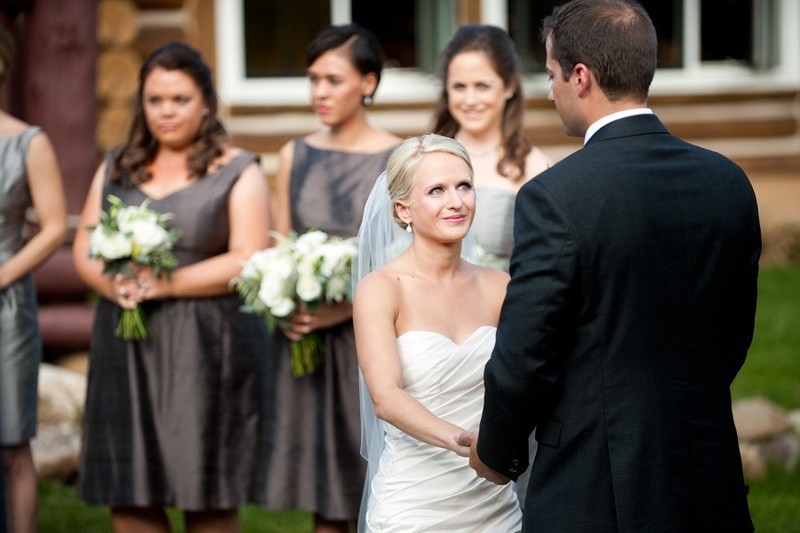 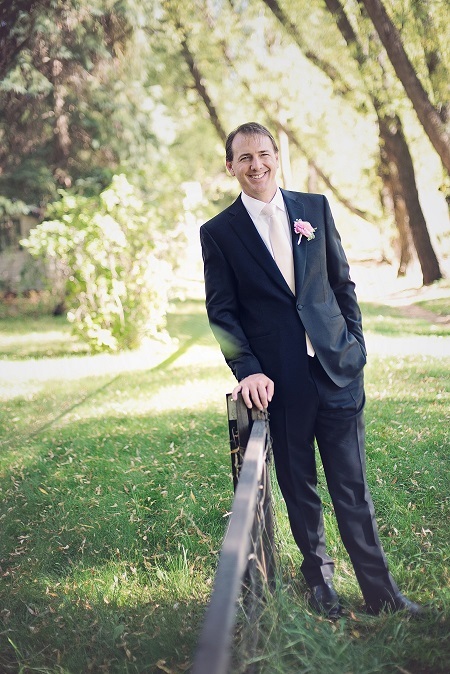 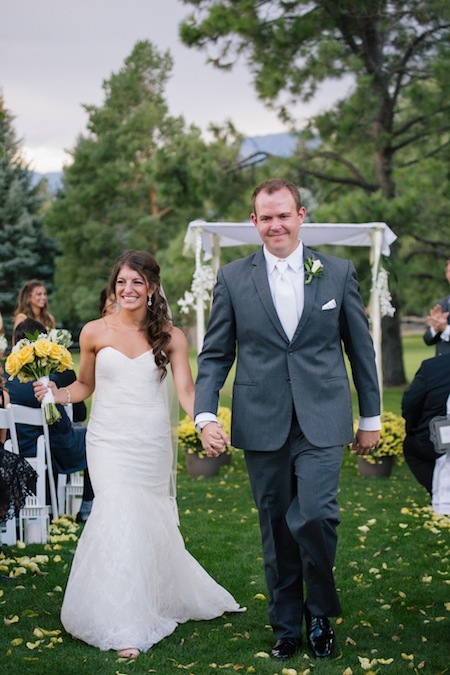 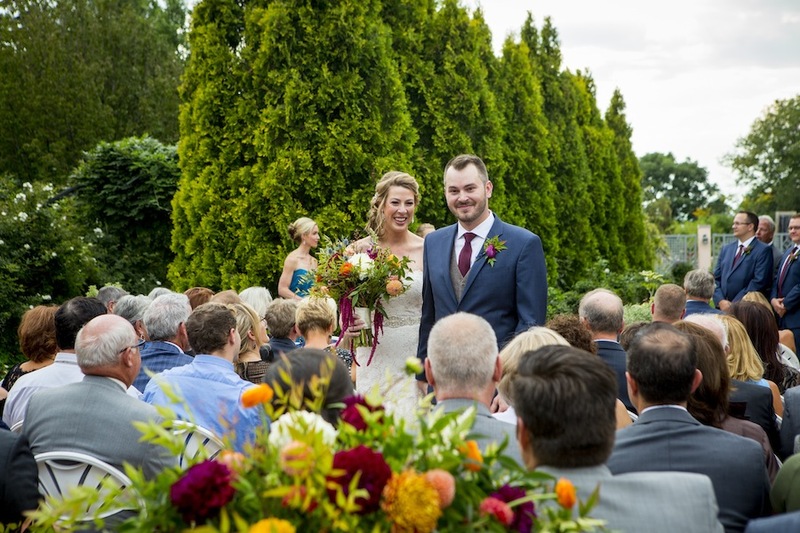 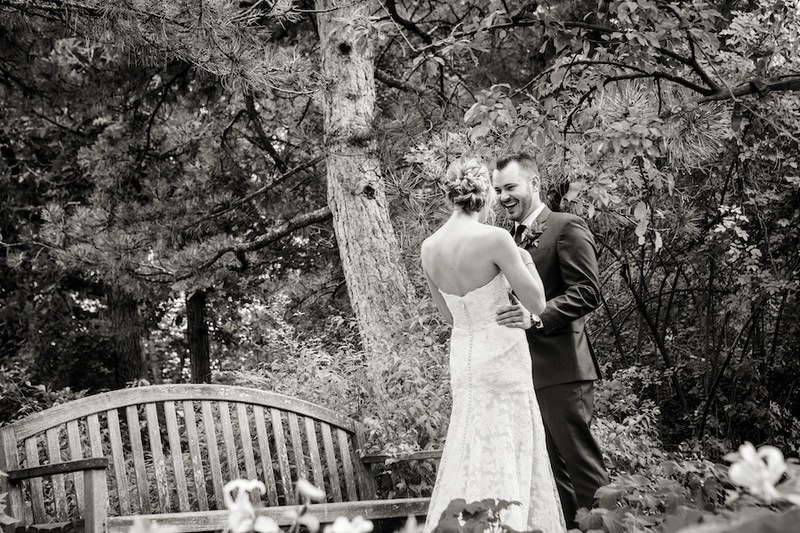 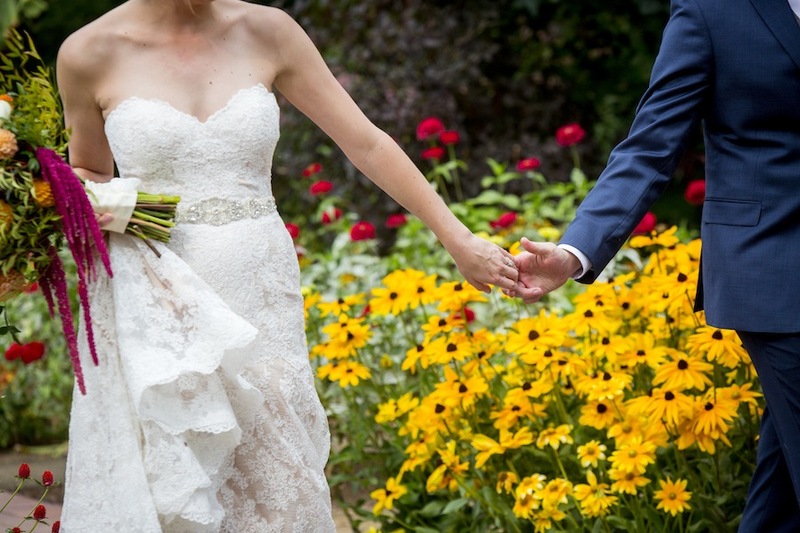 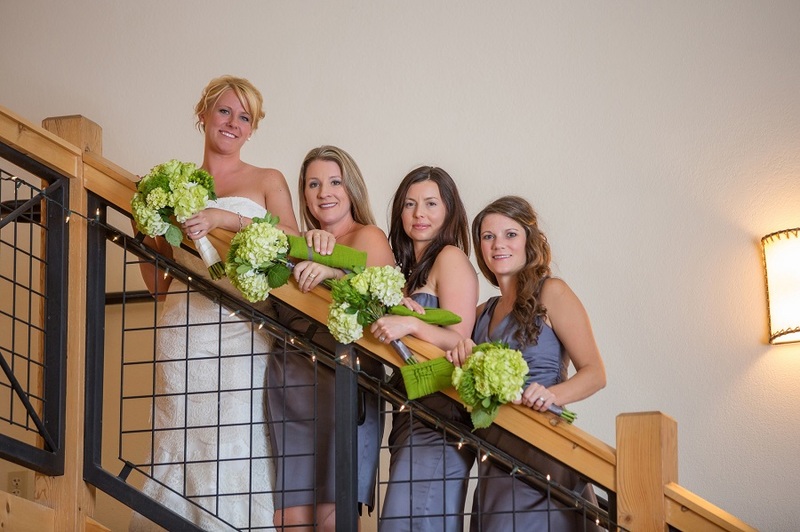 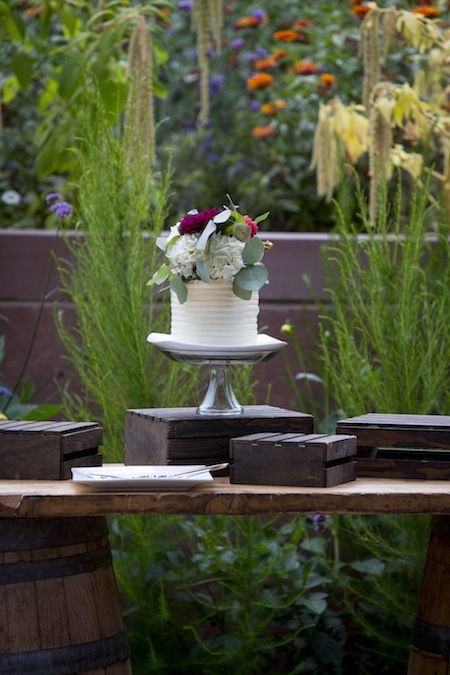 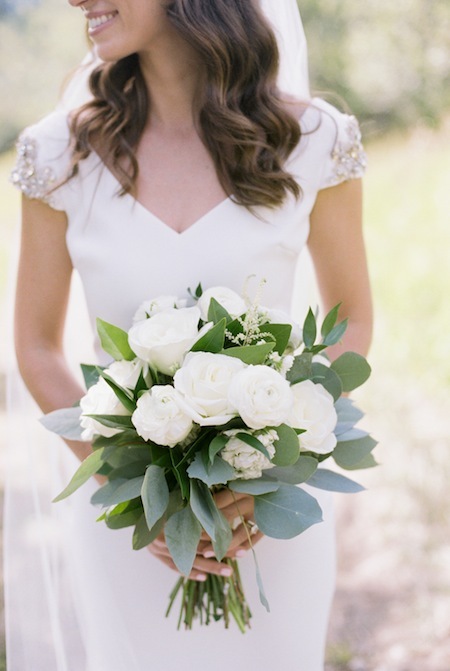 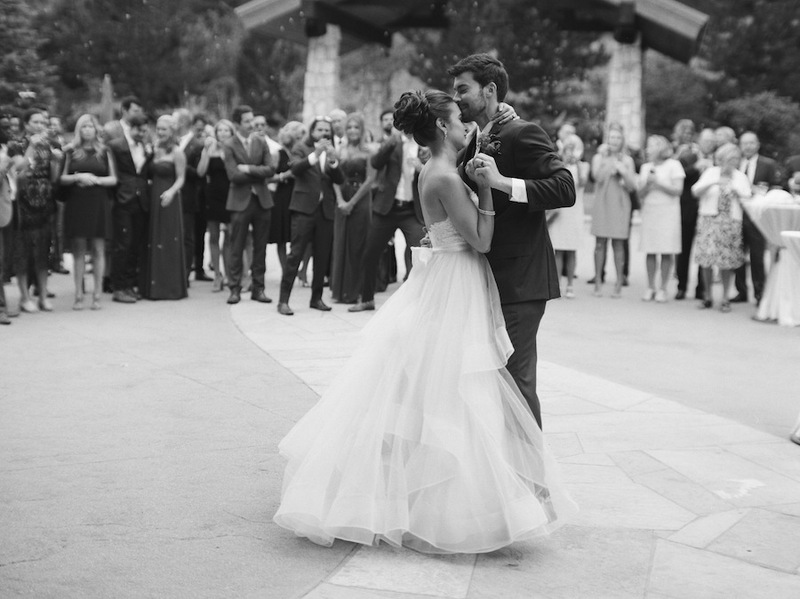 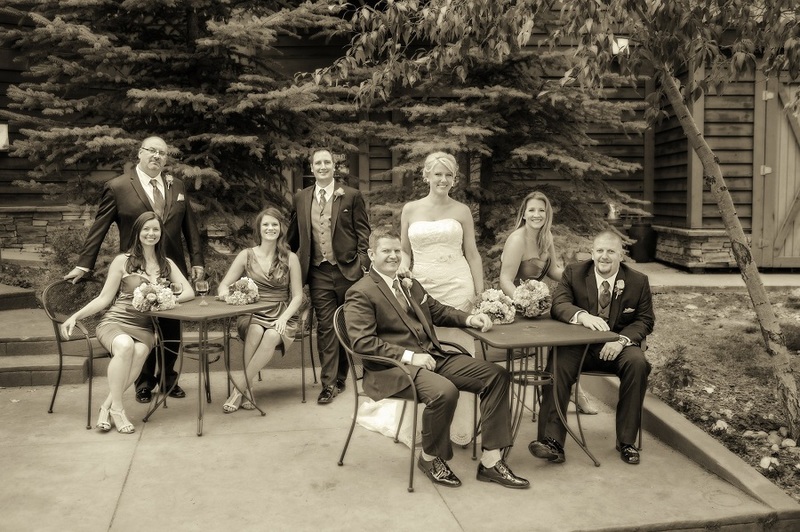 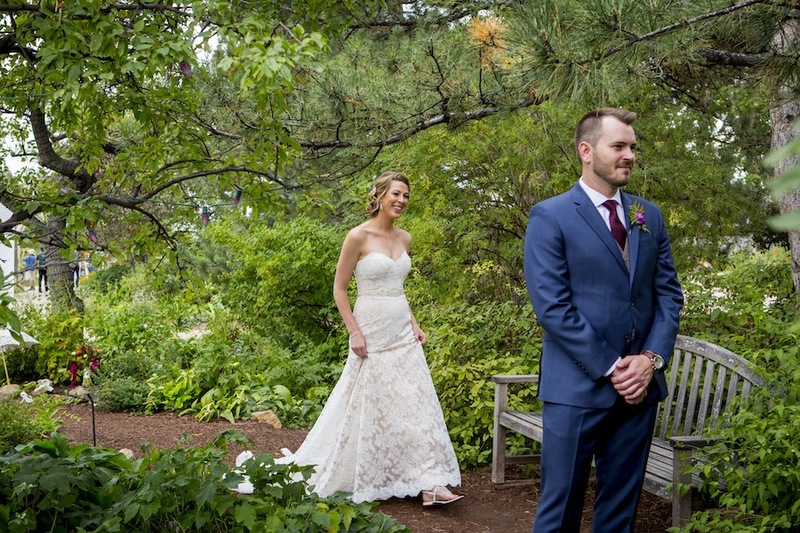 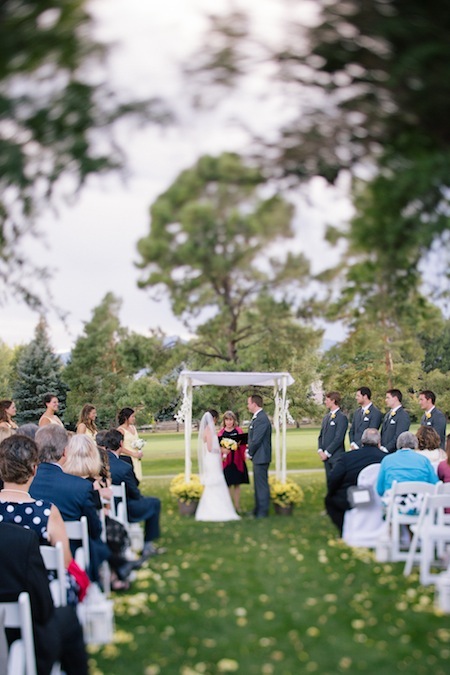 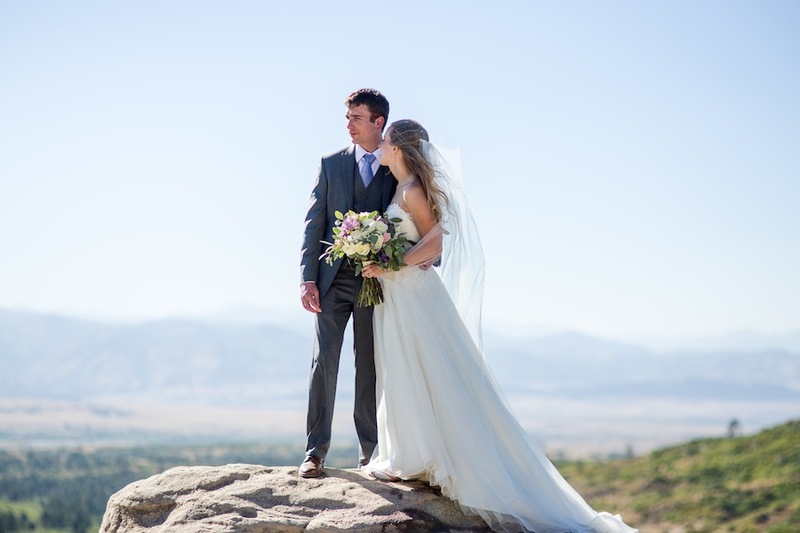 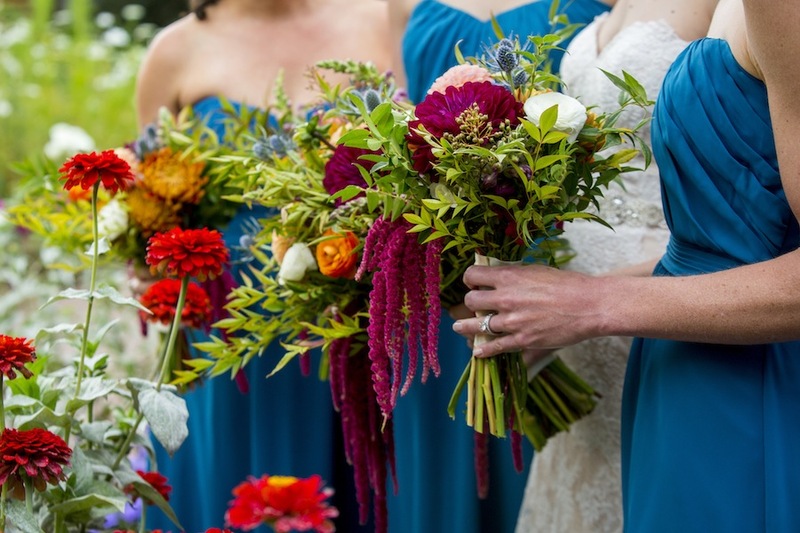 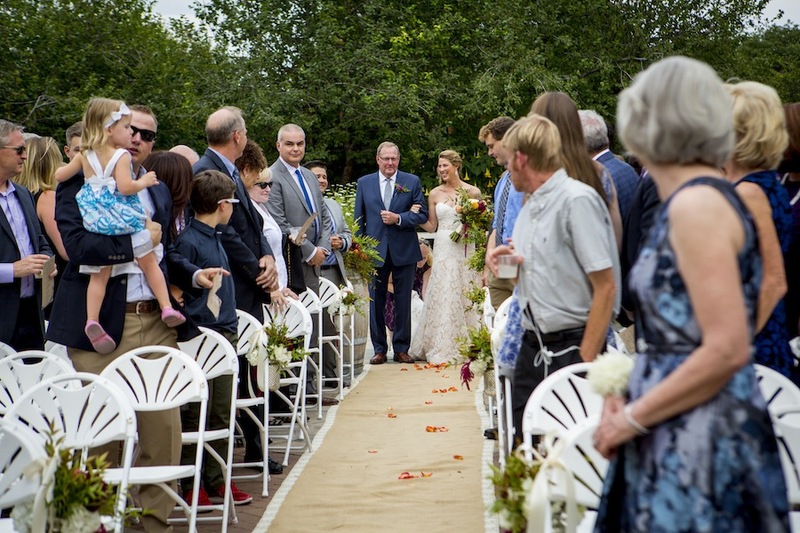 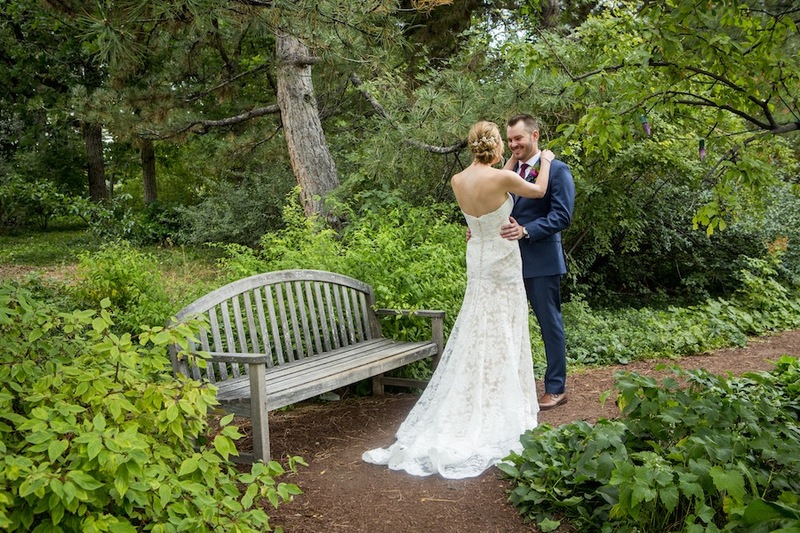 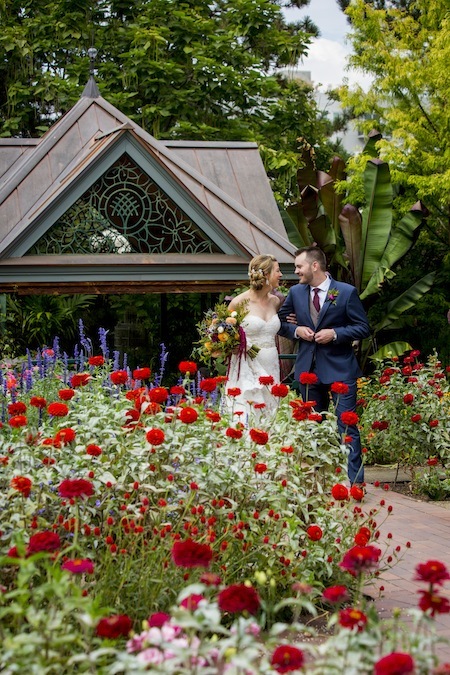 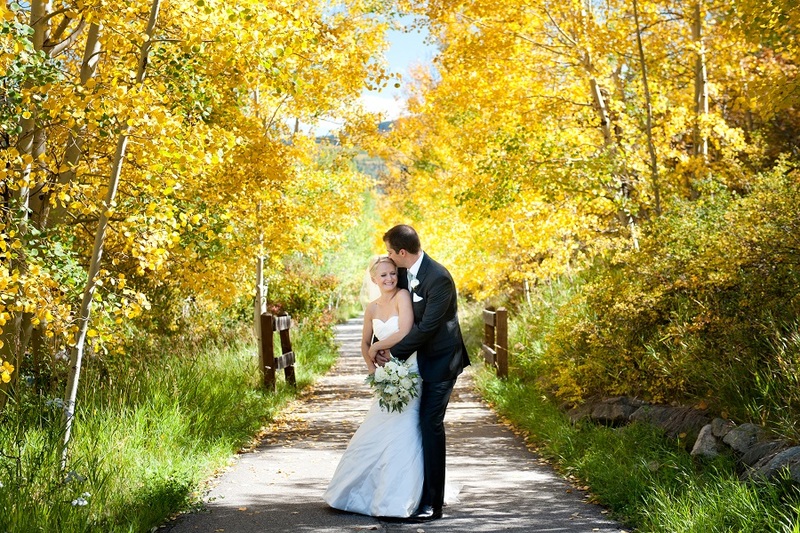 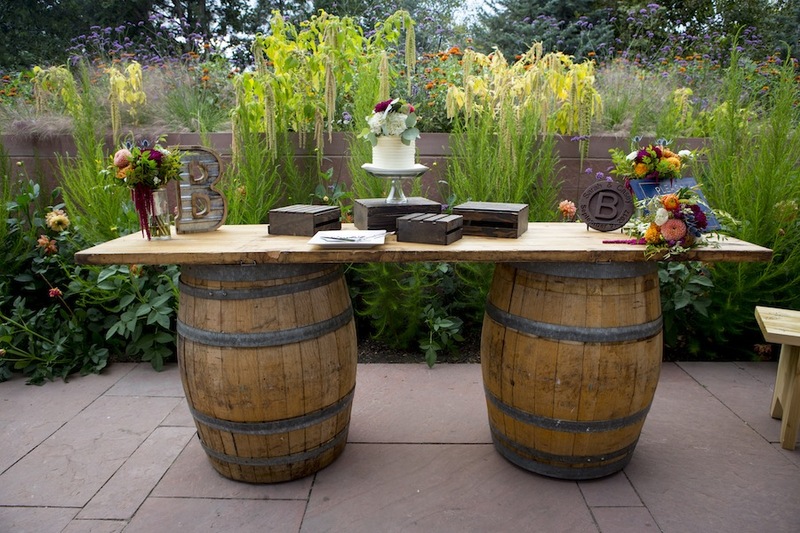 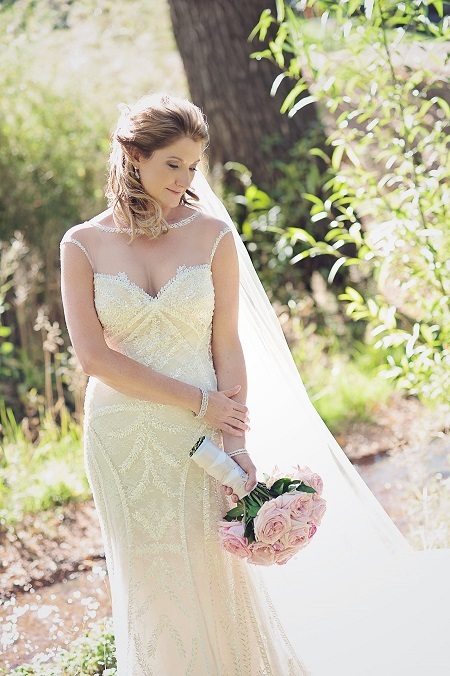 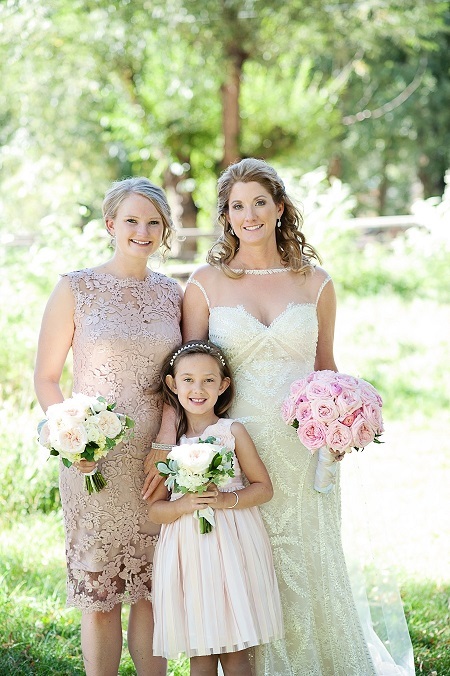 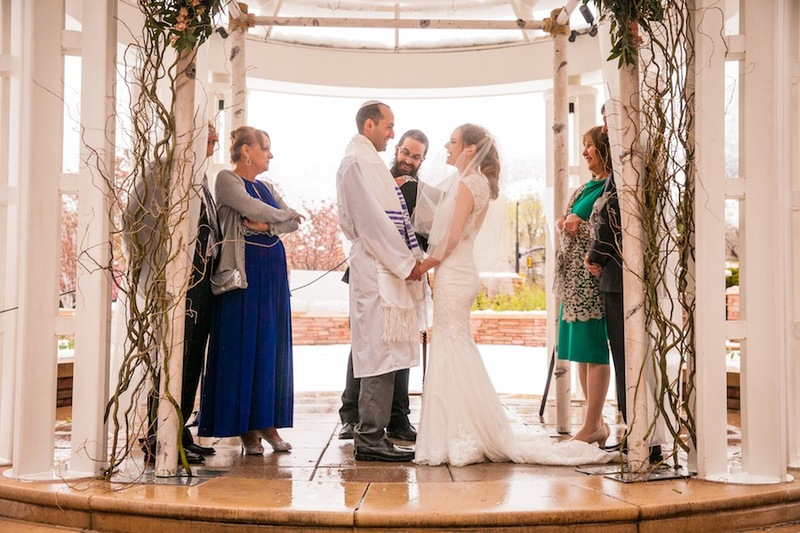 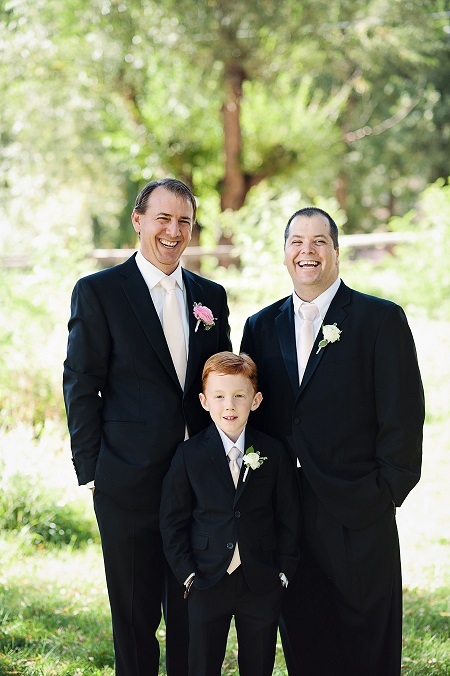 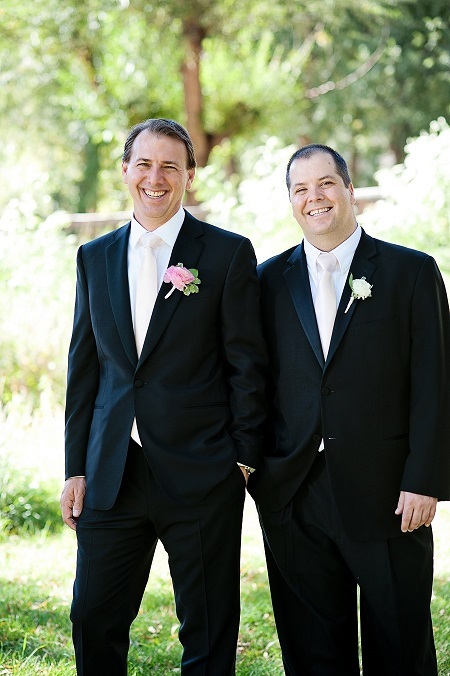 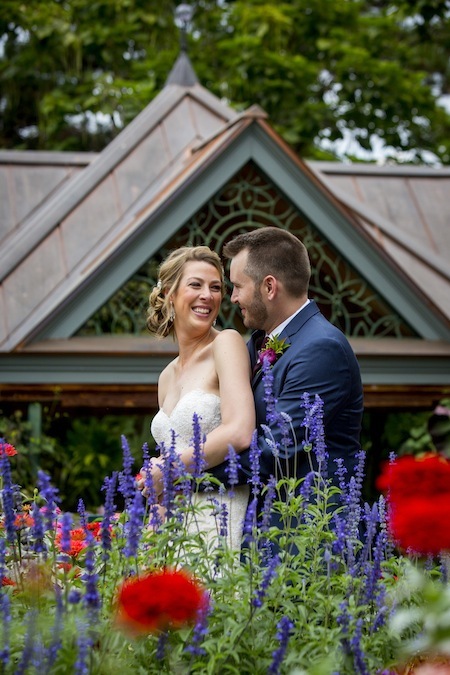 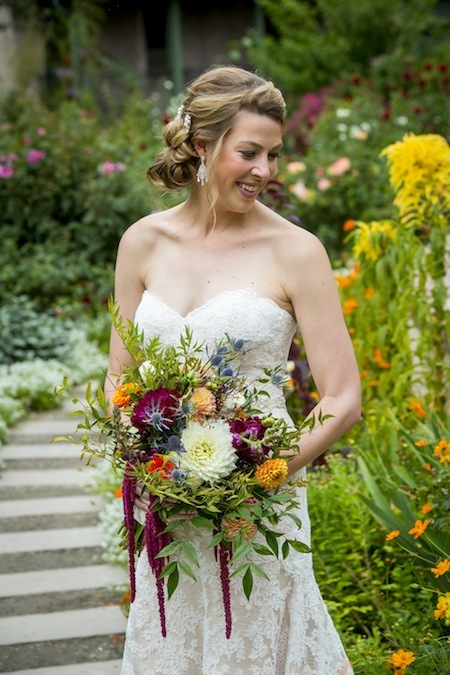 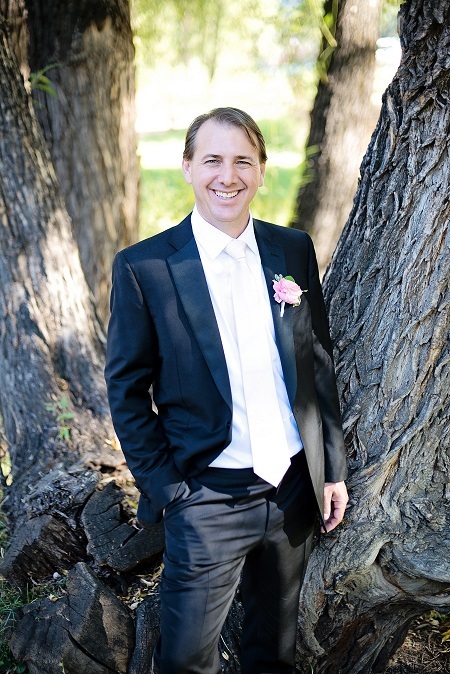 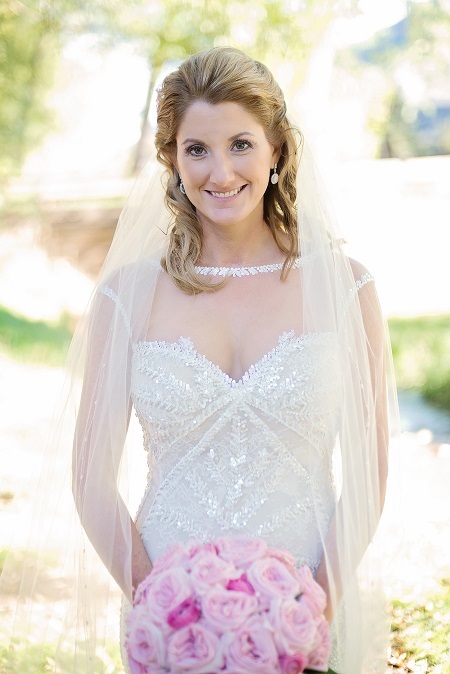 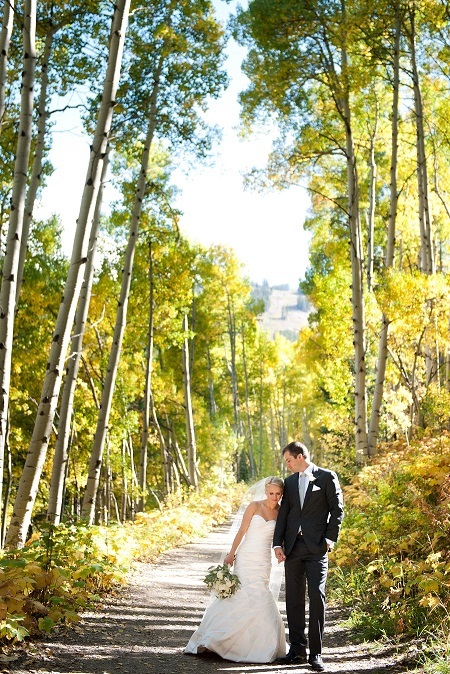 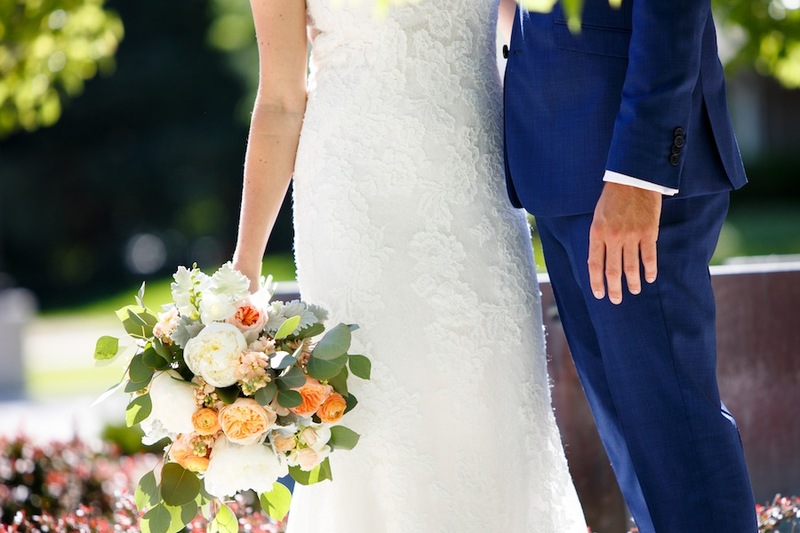 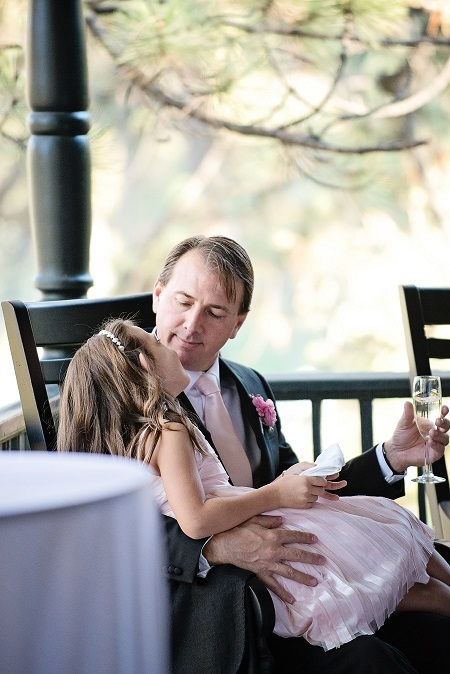 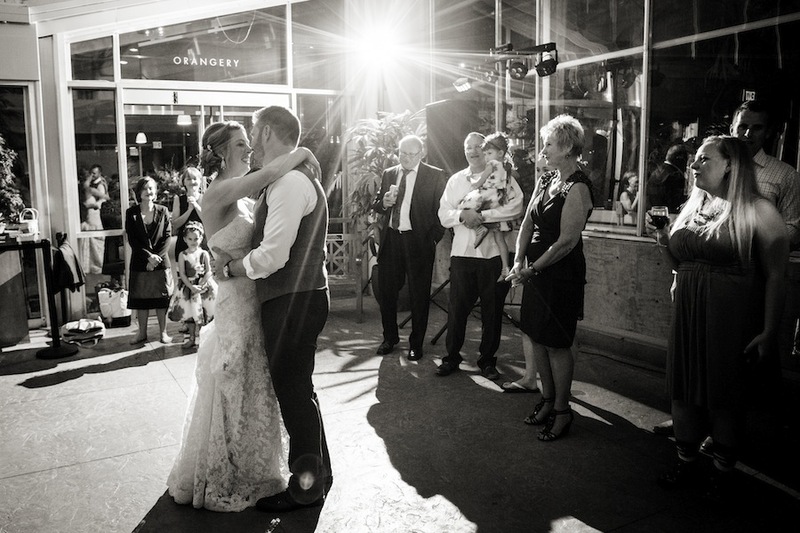 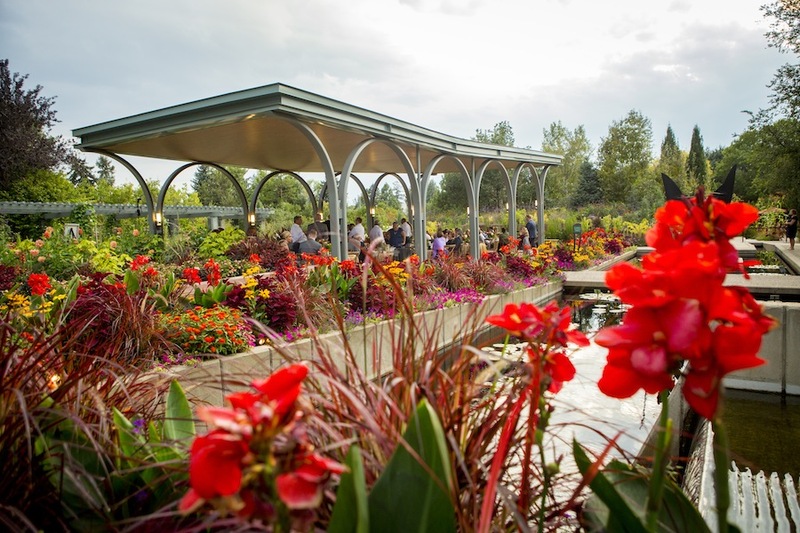 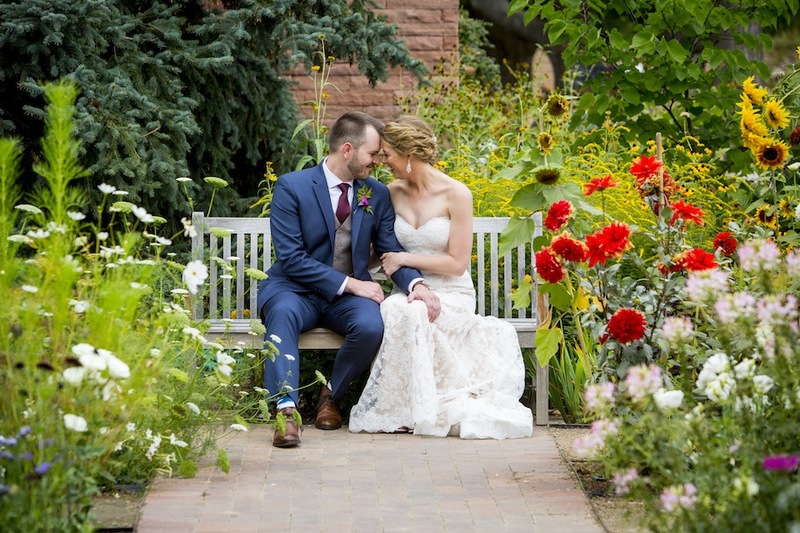 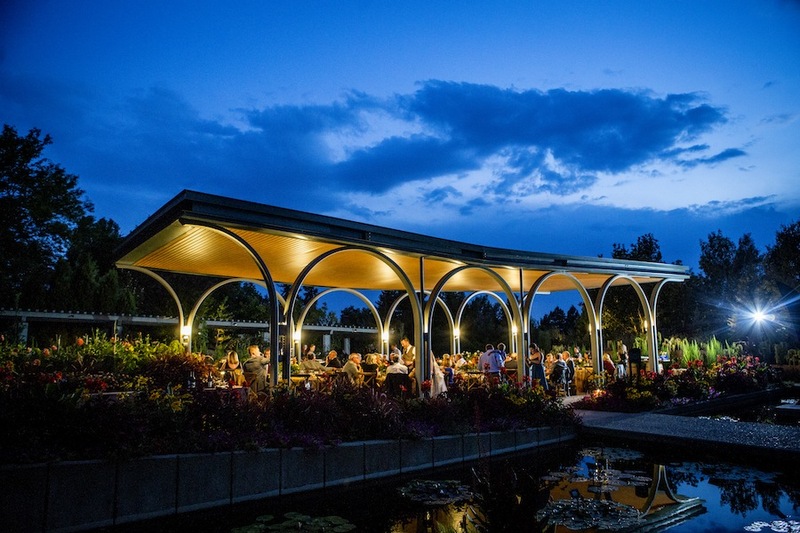 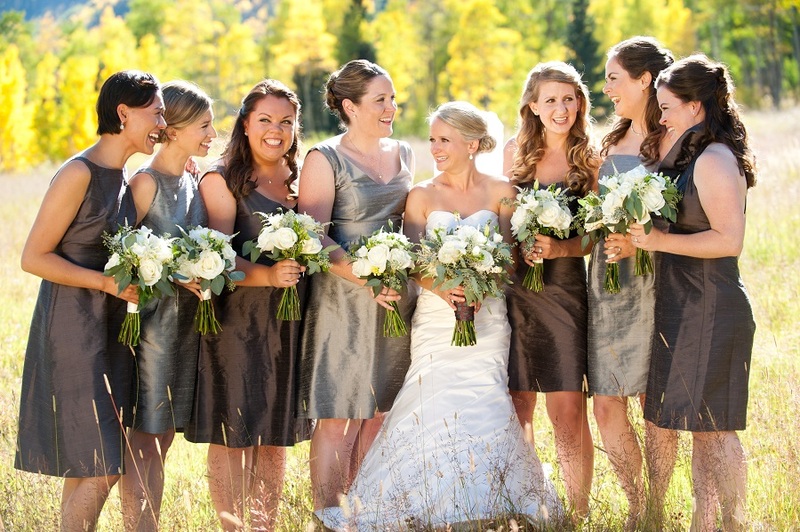 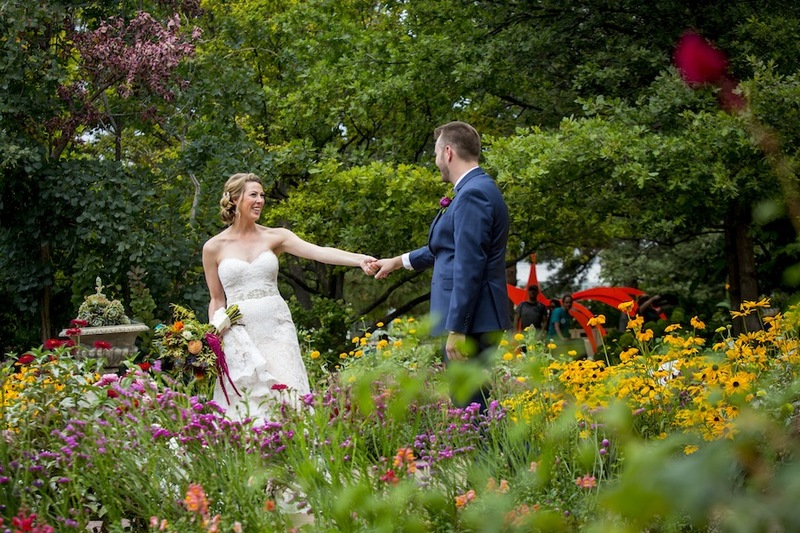 On a beautiful September day, Sarah + Casey were married at the picturesque Denver Botanic Gardens. 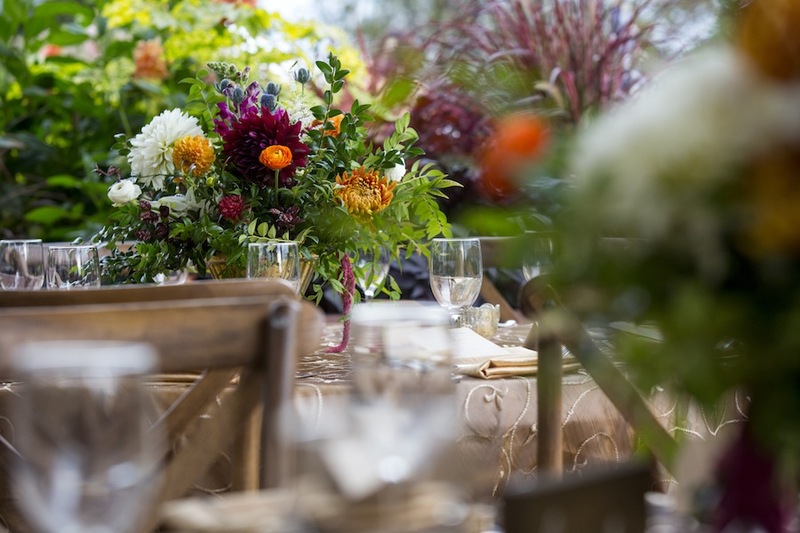 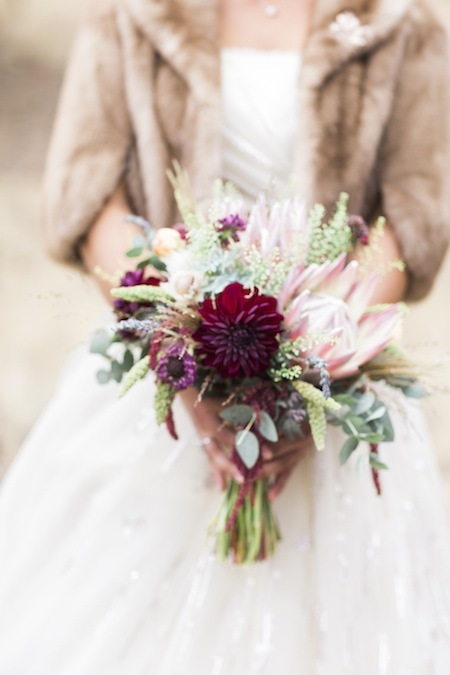 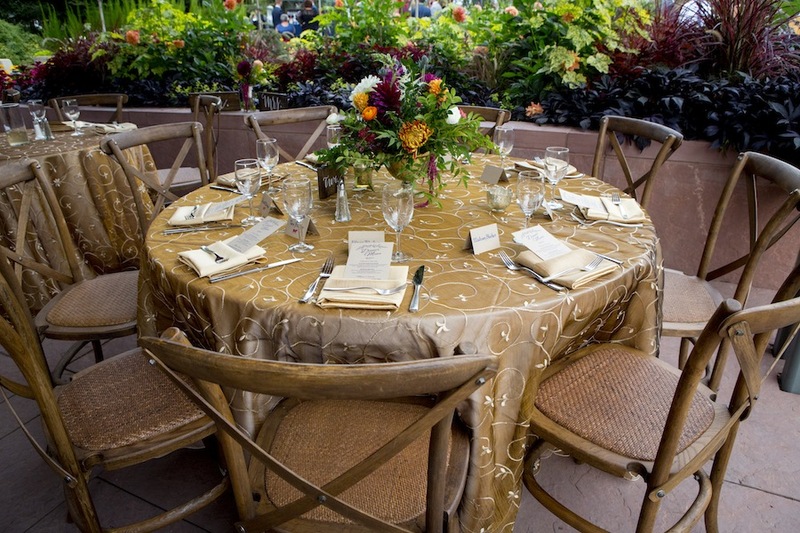 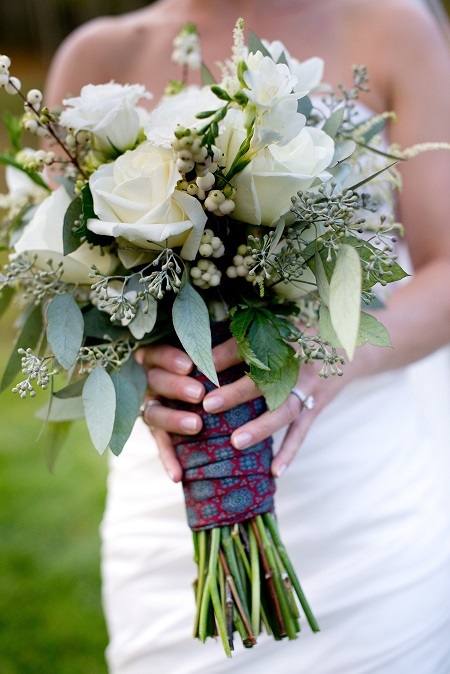 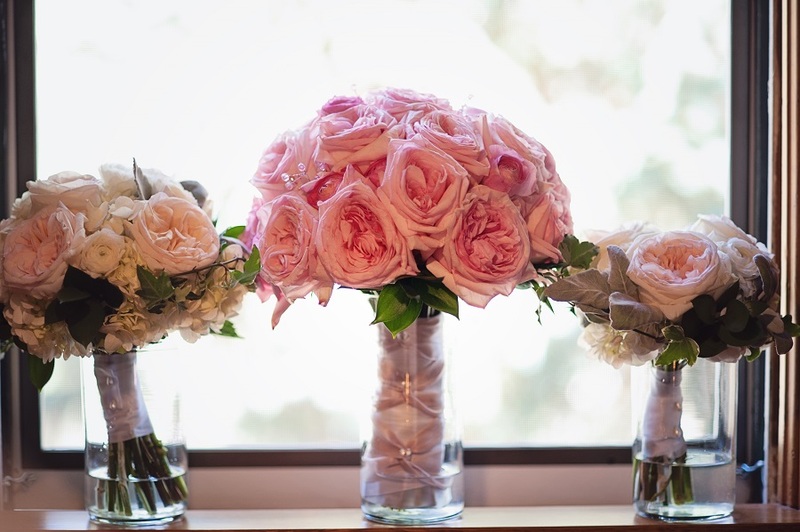 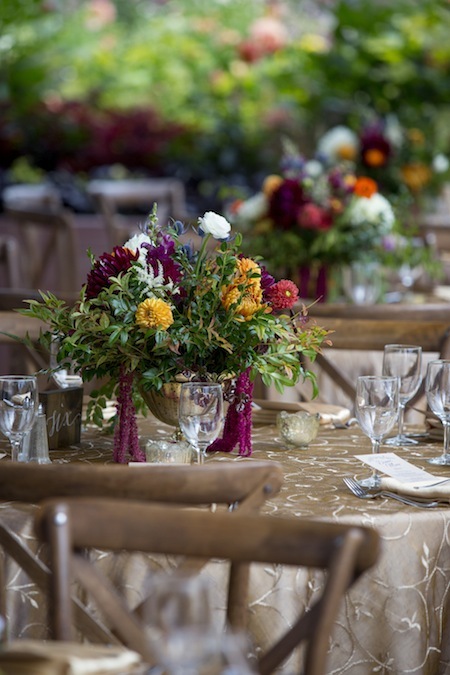 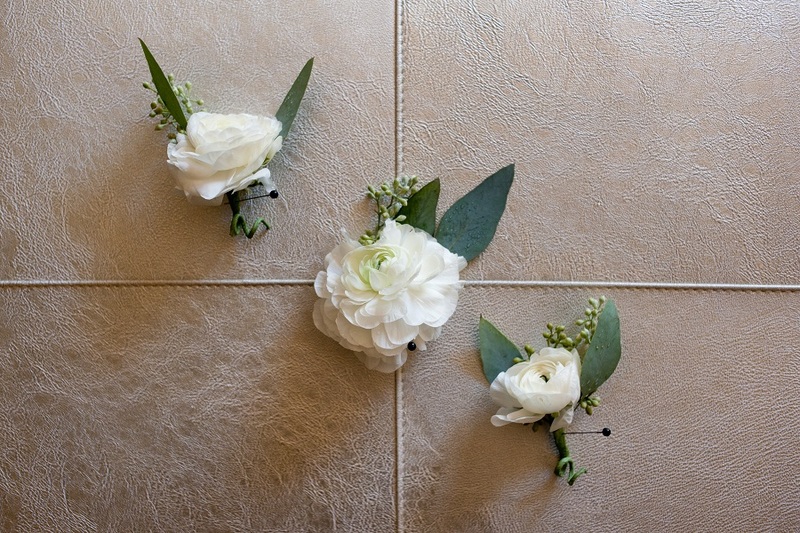 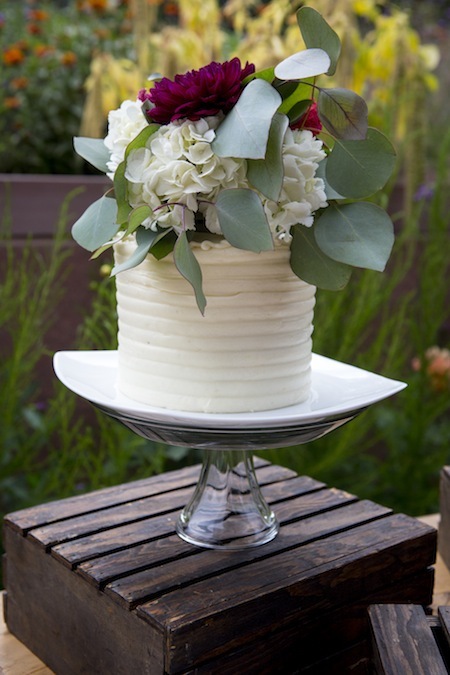 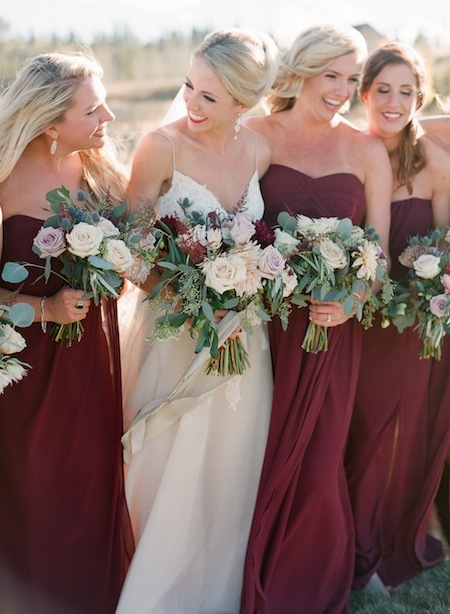 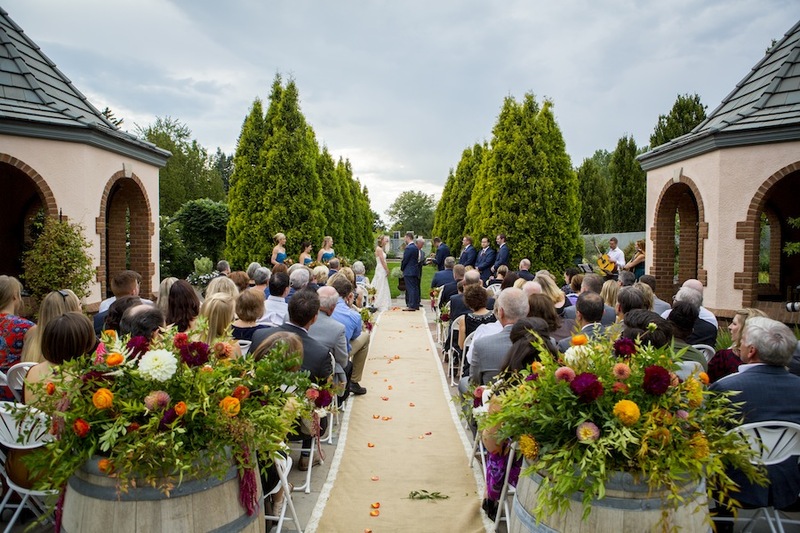 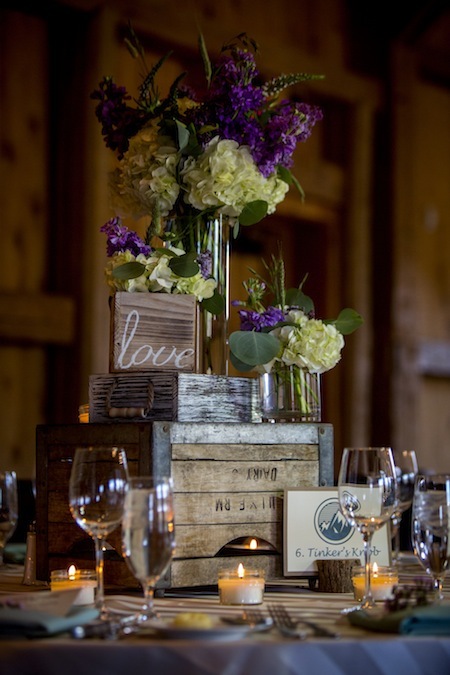 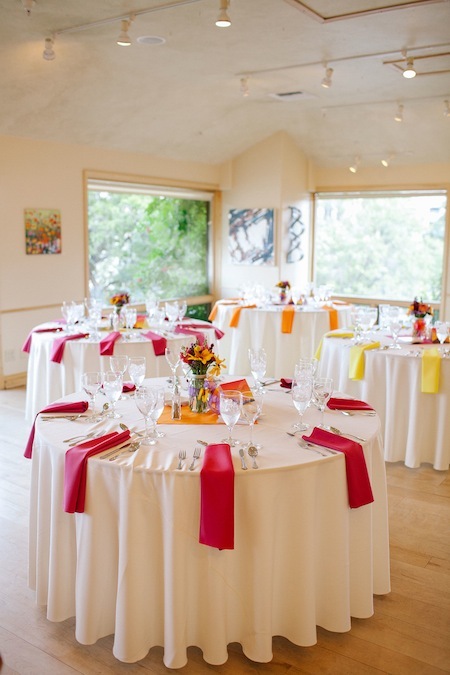 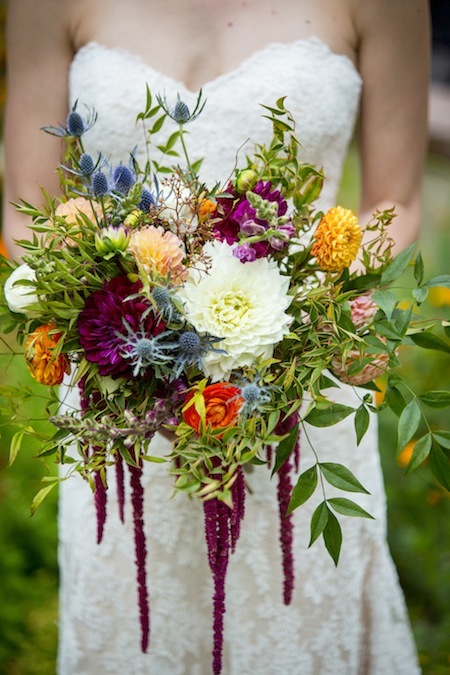 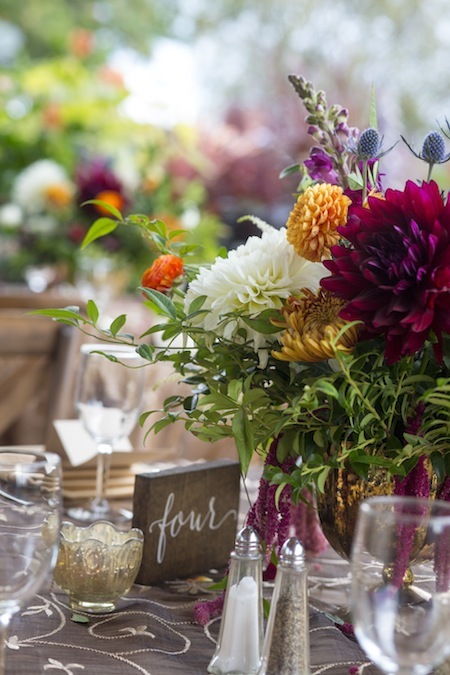 With glimpses of fall in the air, florals by Statice Floral were the perfect touch to the special day. 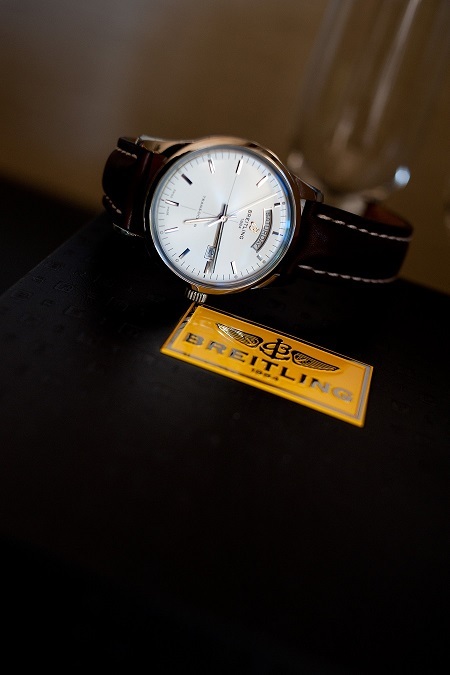 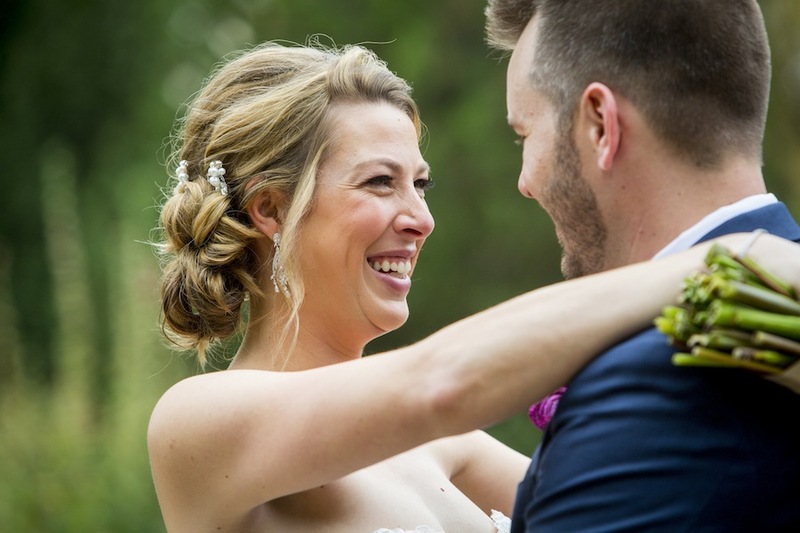 David Lynn Photography captured stunning images of the couple, and BeSpoke Entertainment ensured that a good time was had by all with their entertainment. 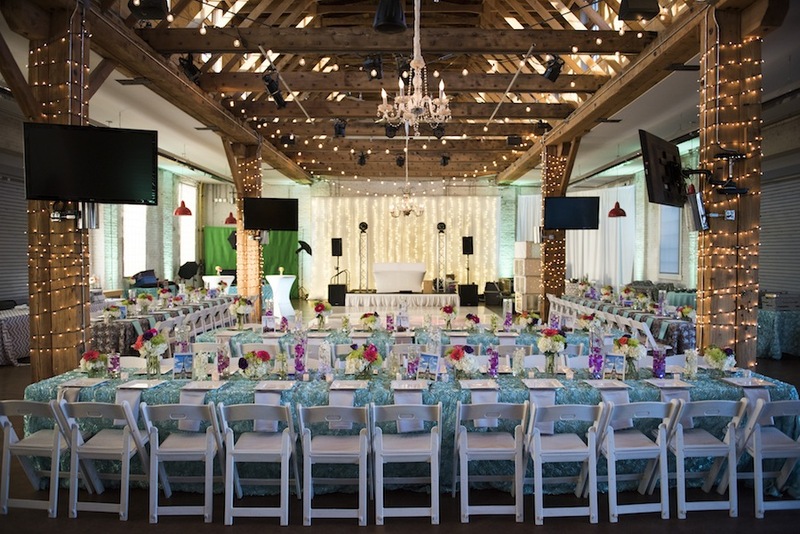 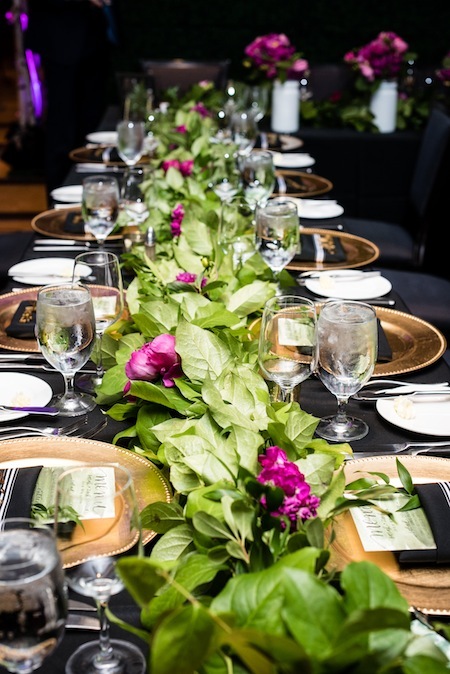 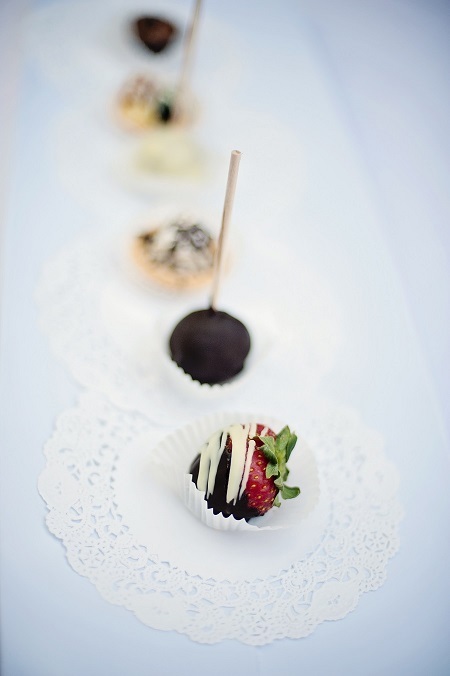 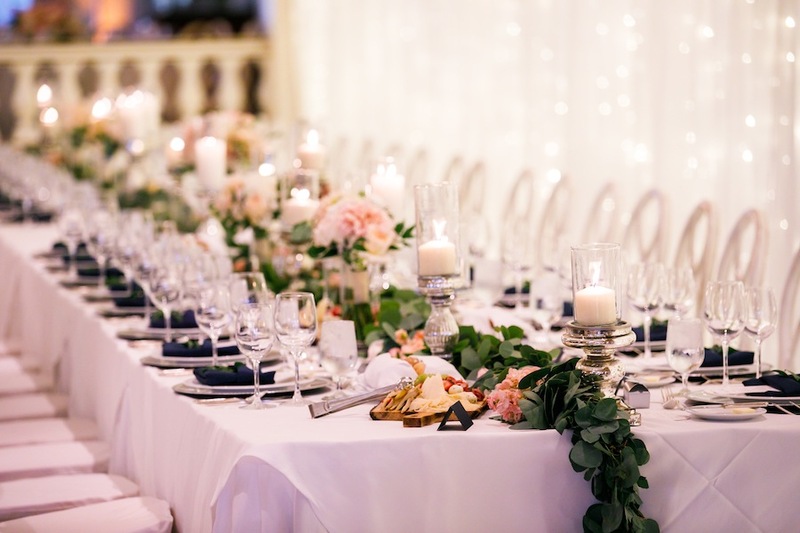 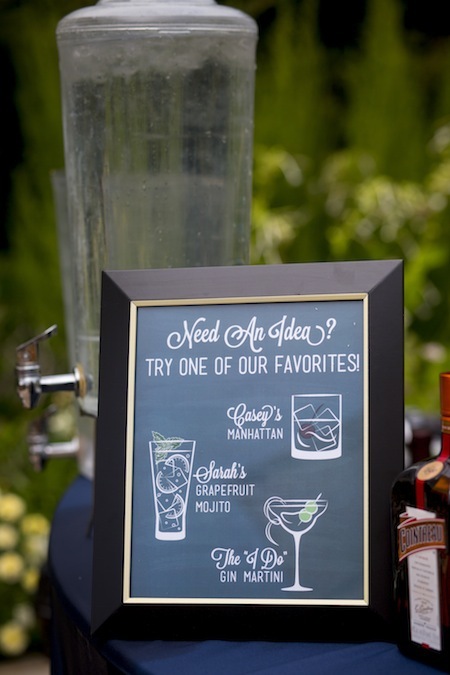 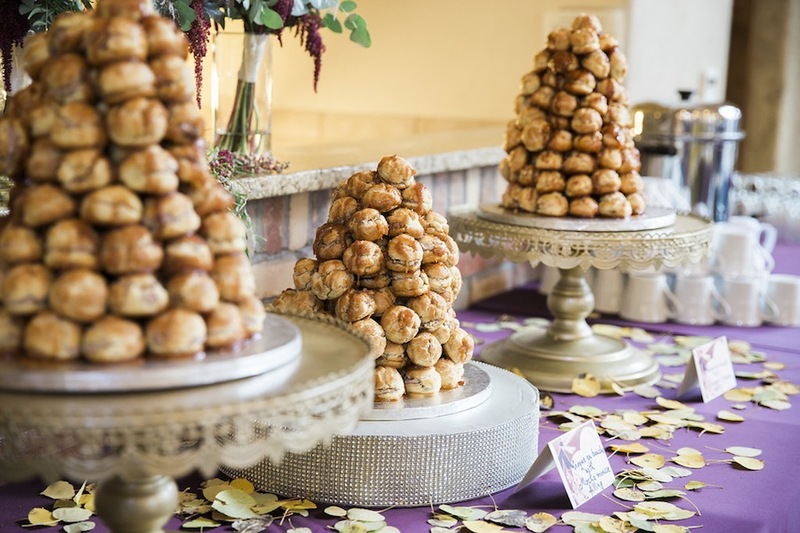 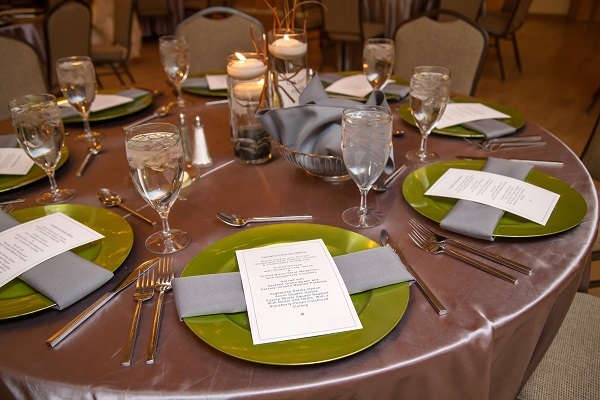 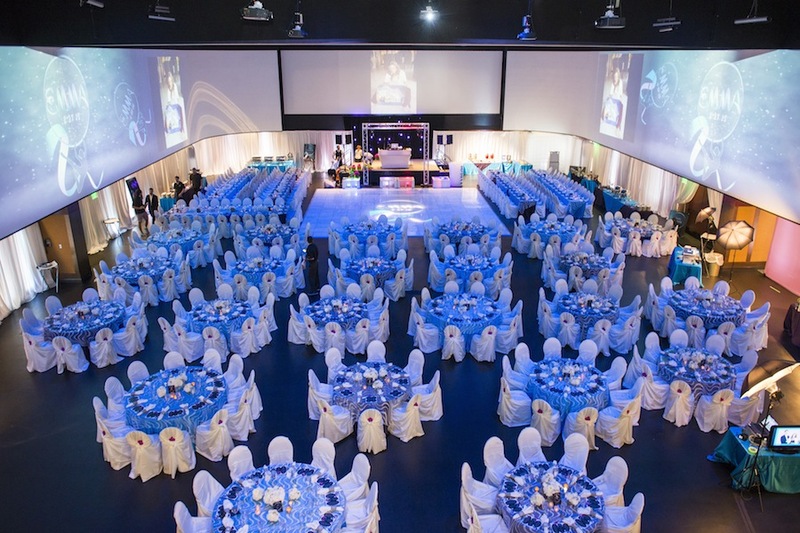 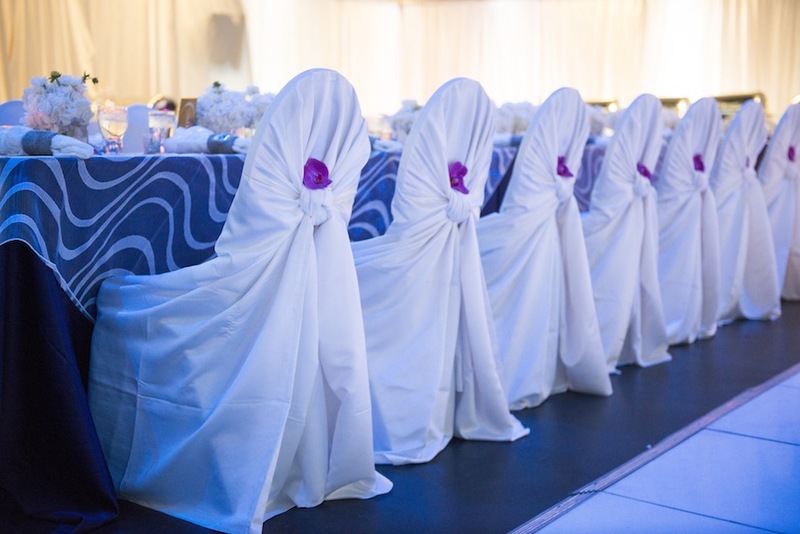 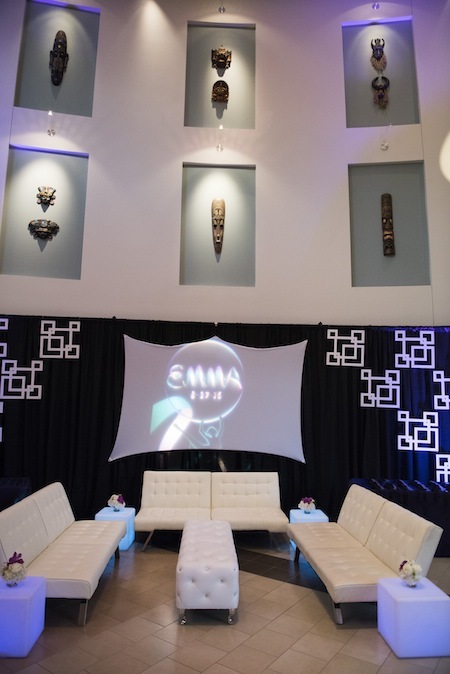 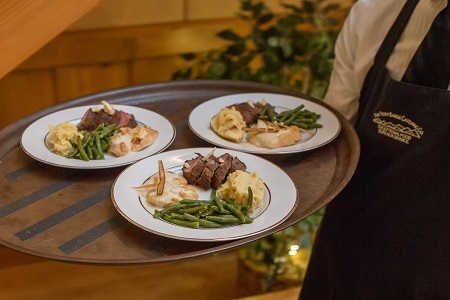 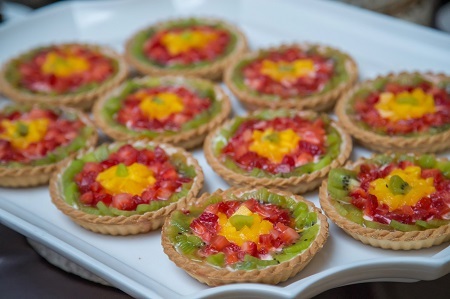 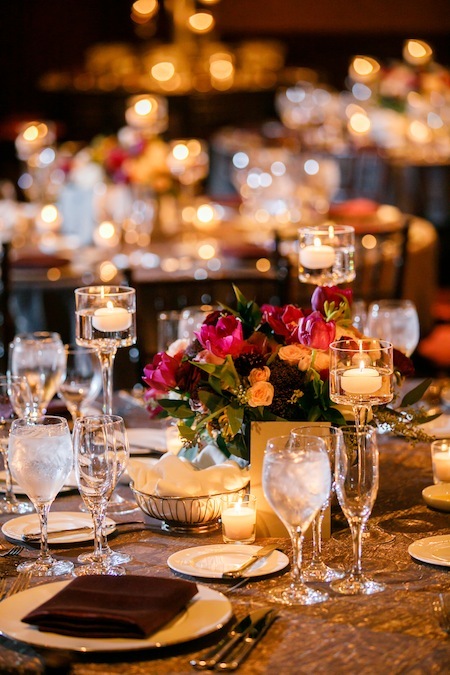 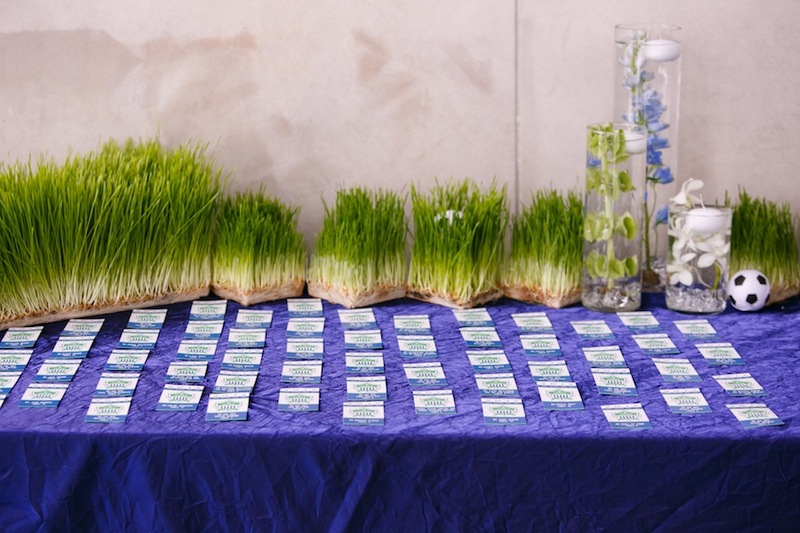 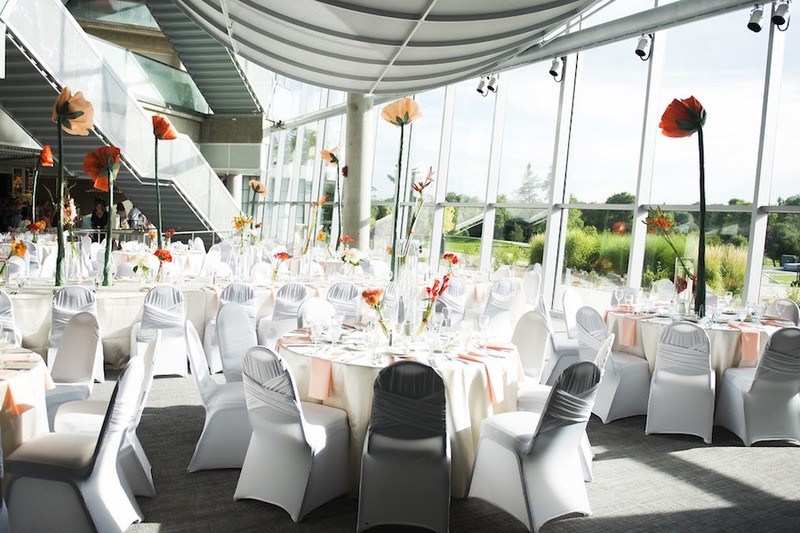 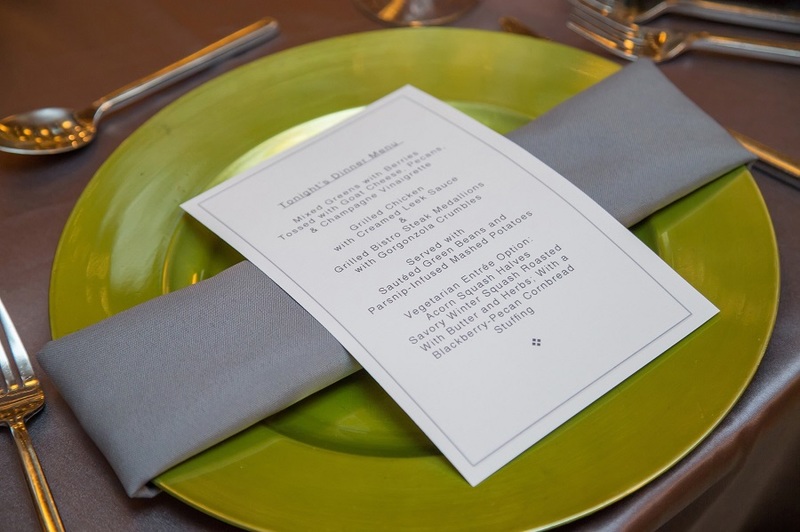 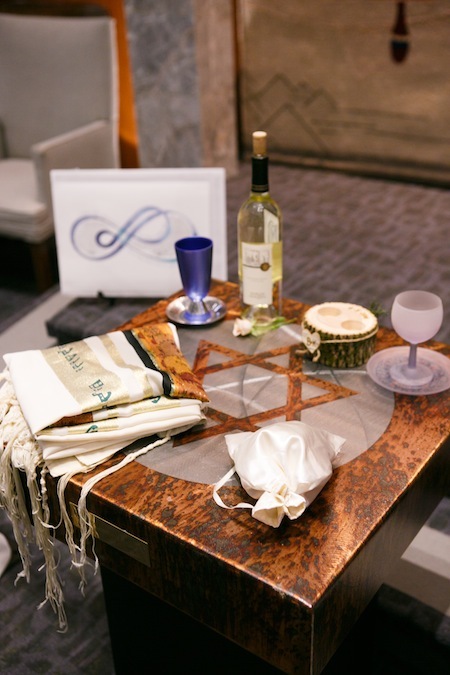 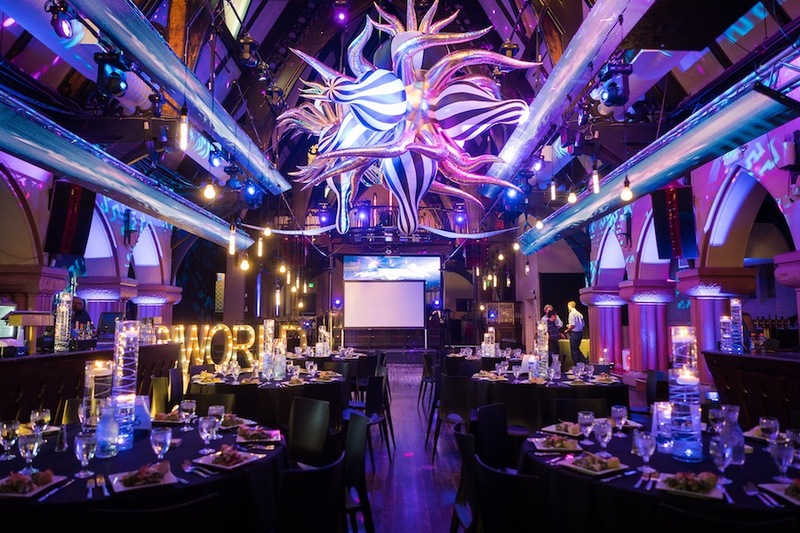 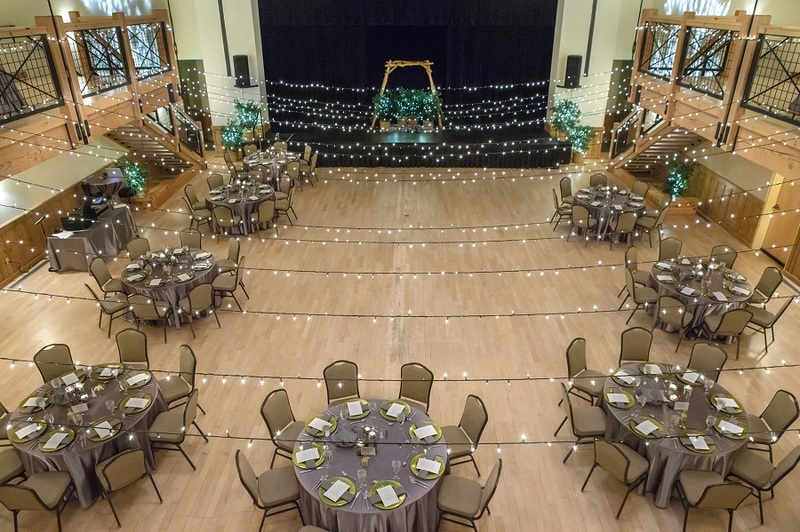 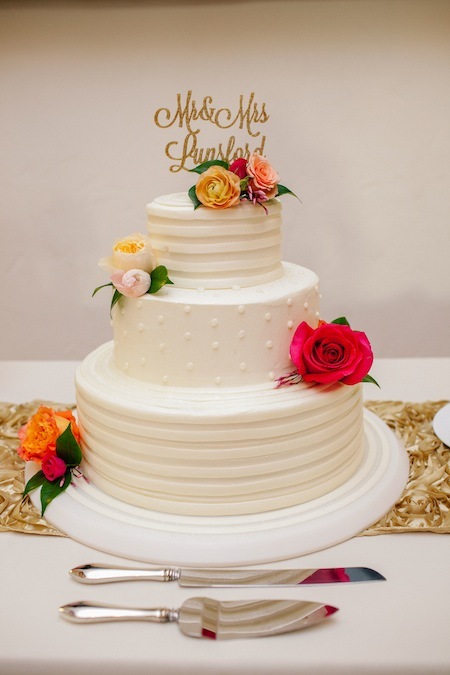 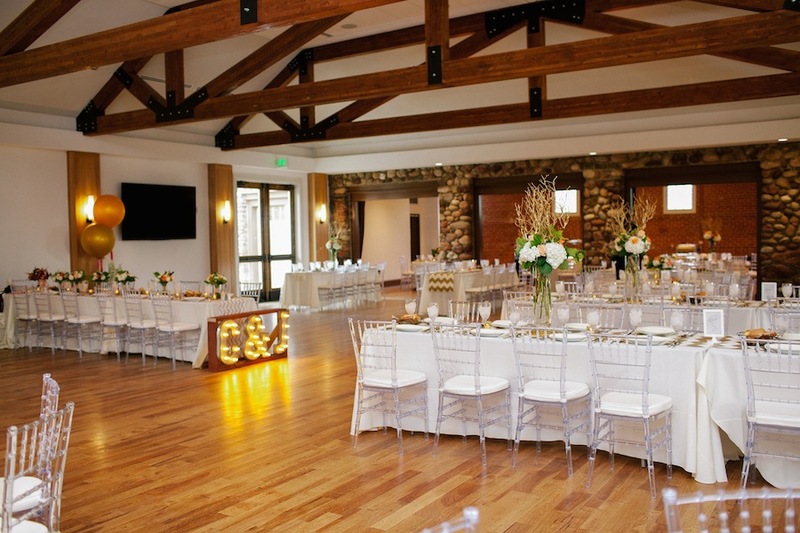 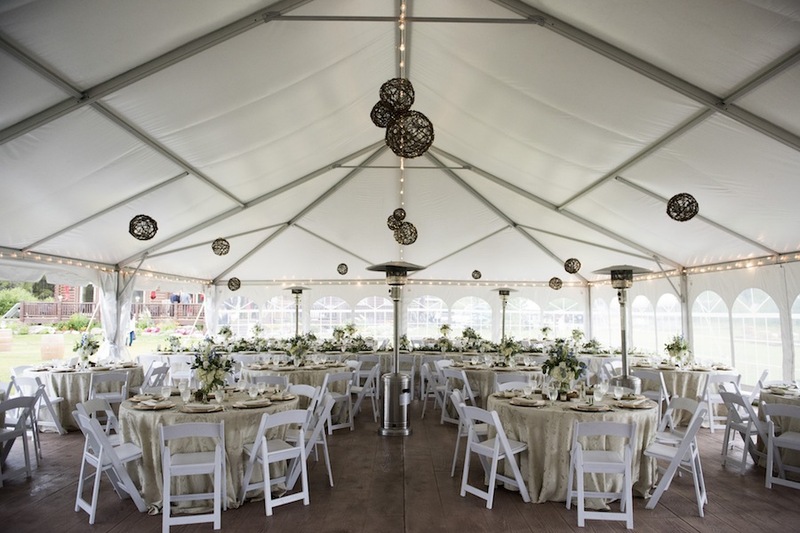 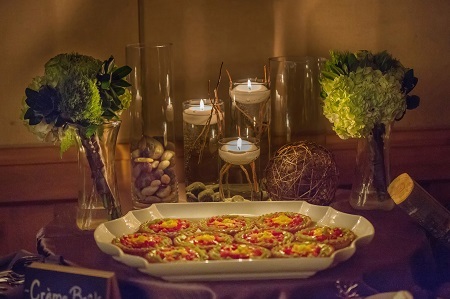 All event planning and coordination was gracefully handled by JA Special Events, and Footers Catering provided the guests with delicious food and desserts all night long. 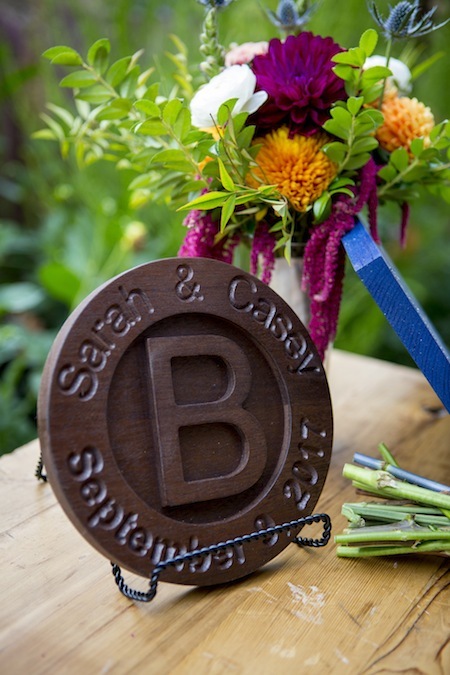 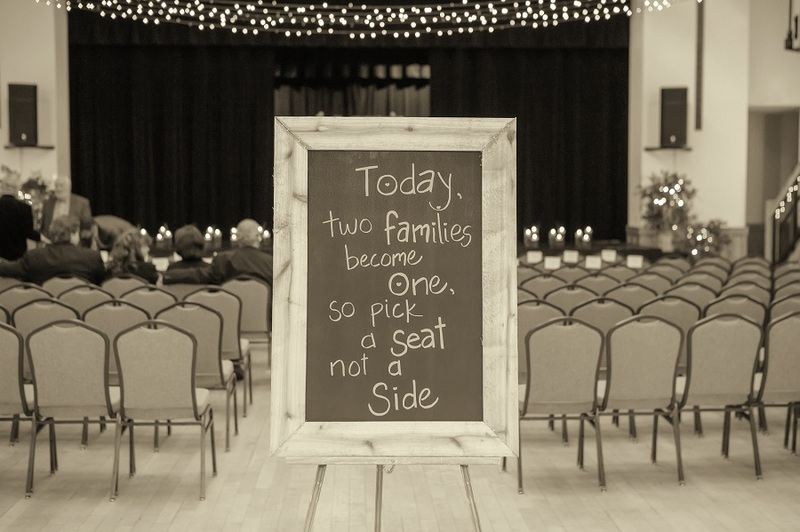 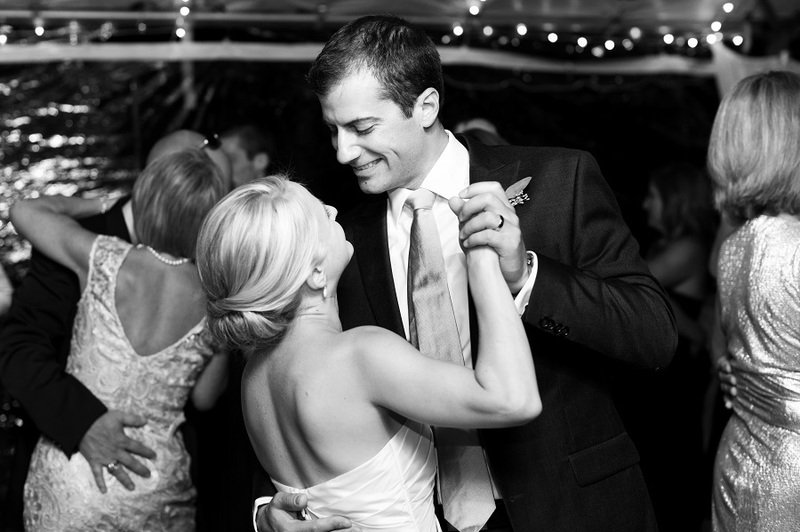 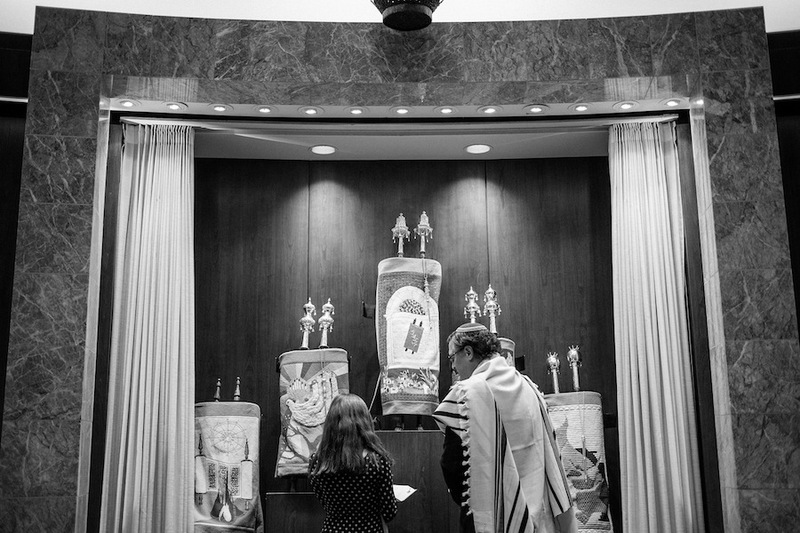 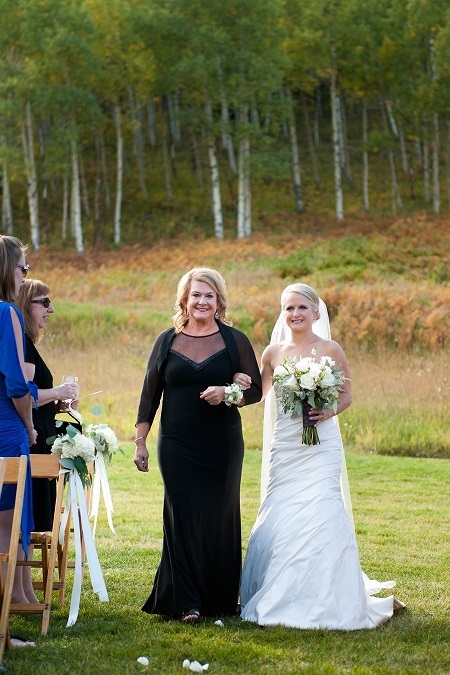 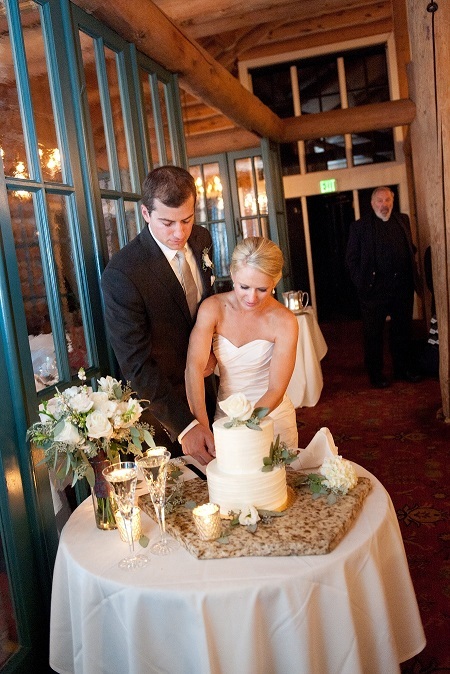 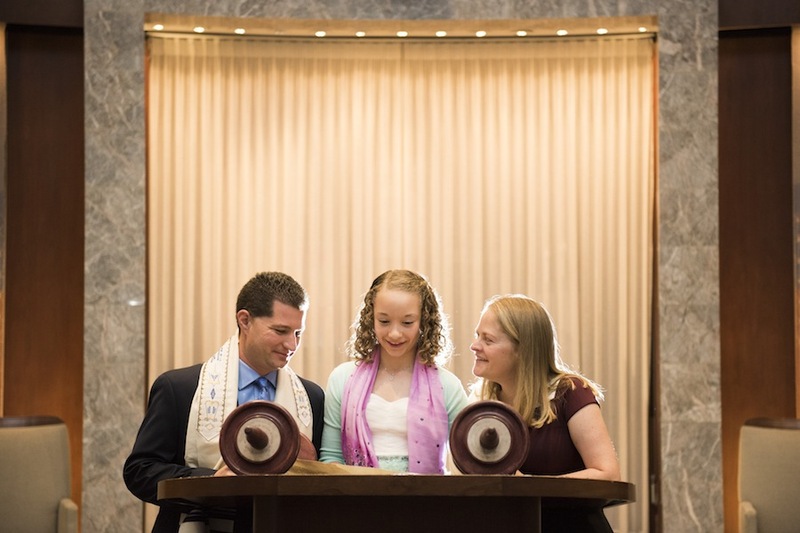 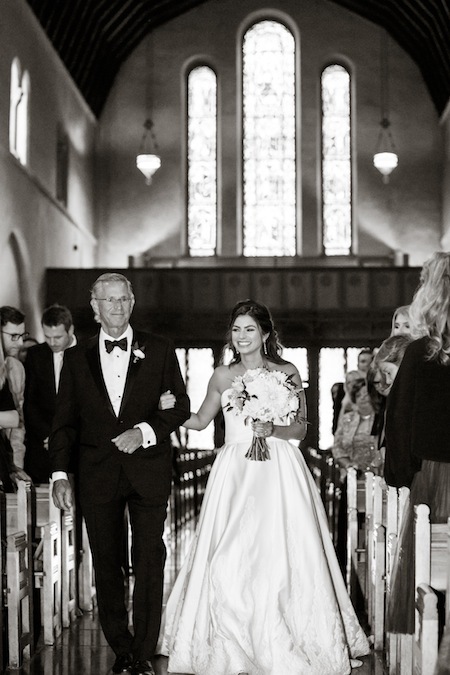 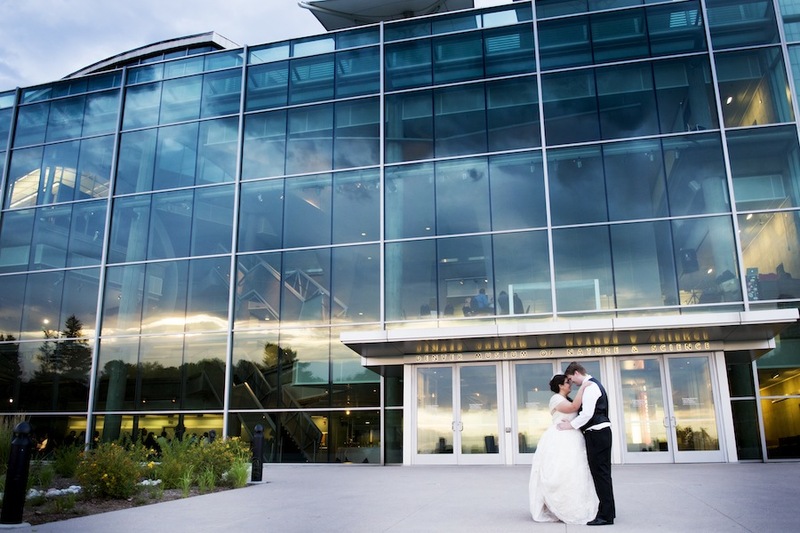 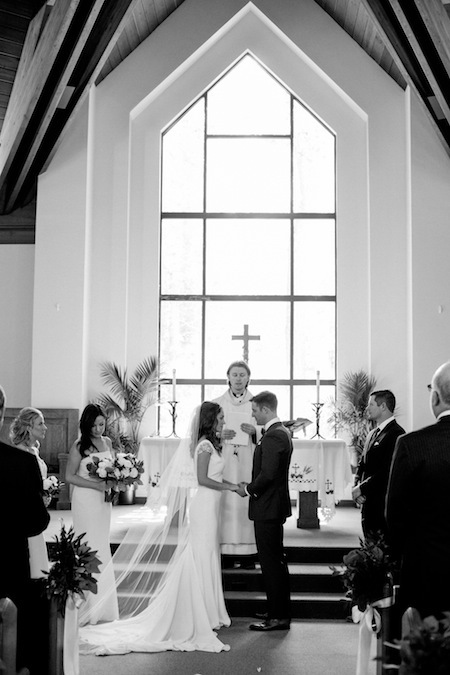 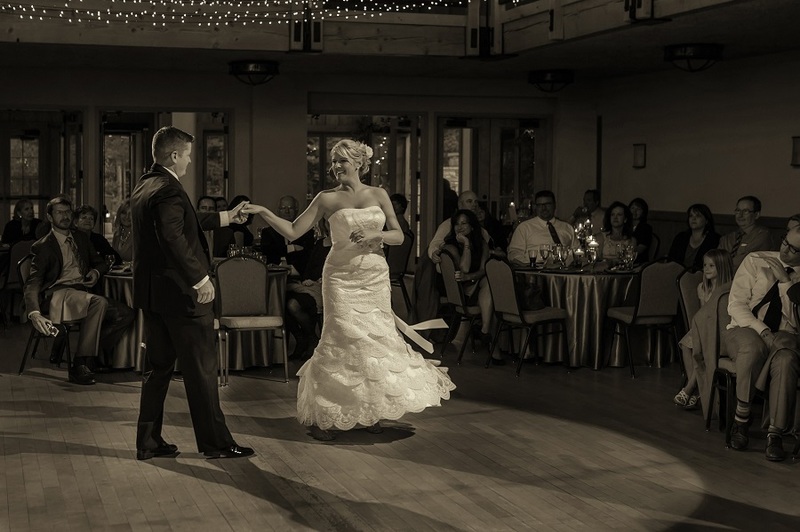 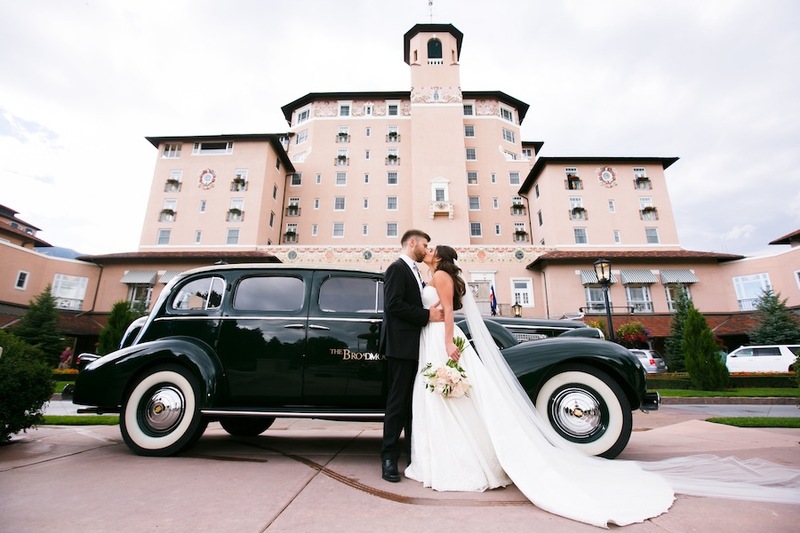 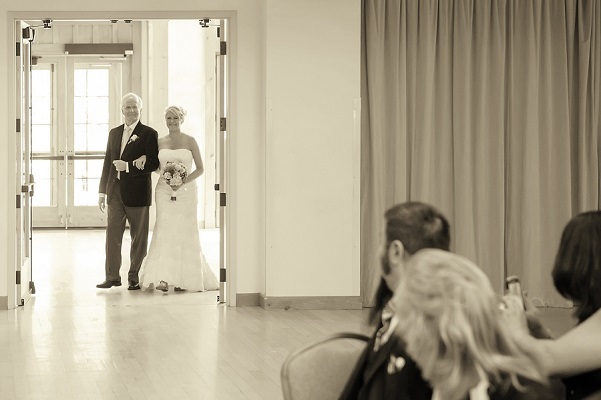 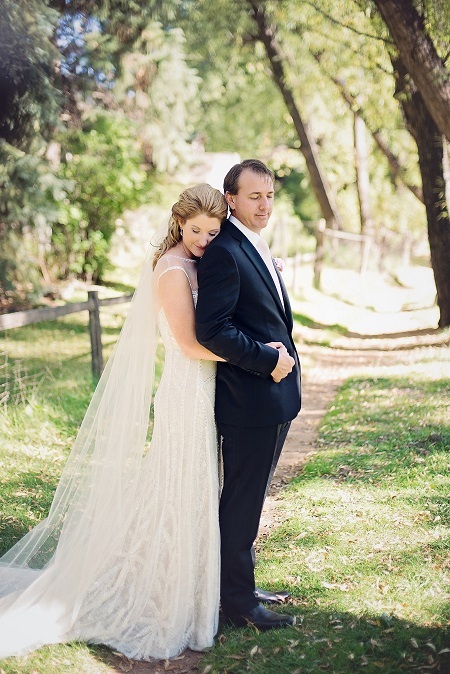 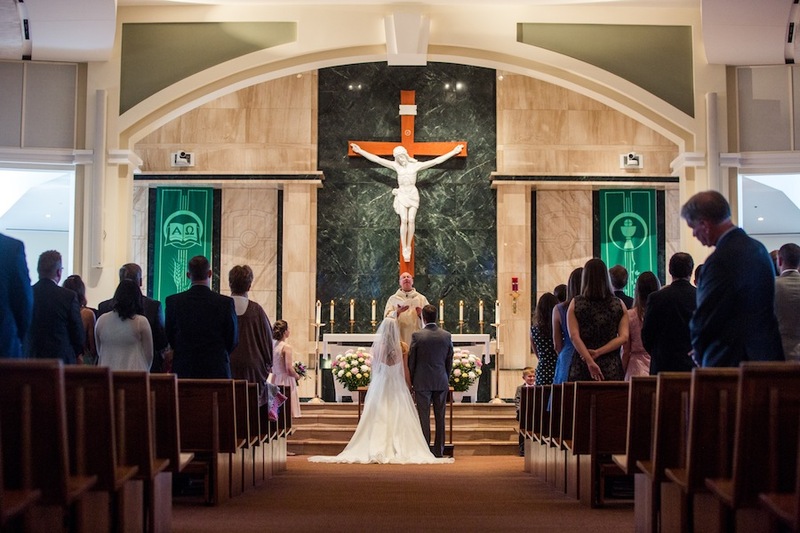 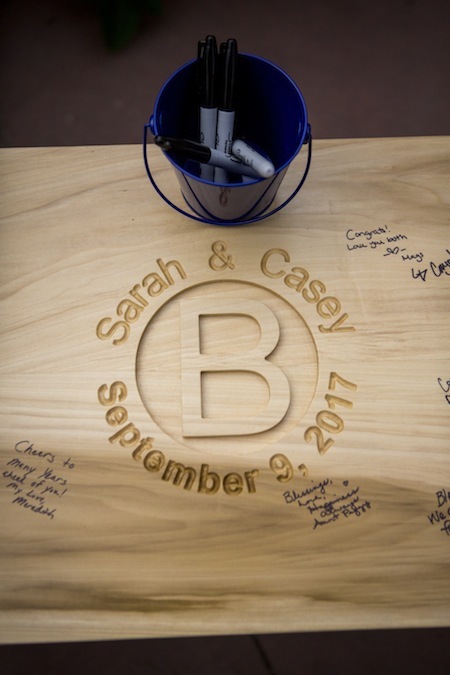 Thank you for letting us share in your day, Sarah + Casey! 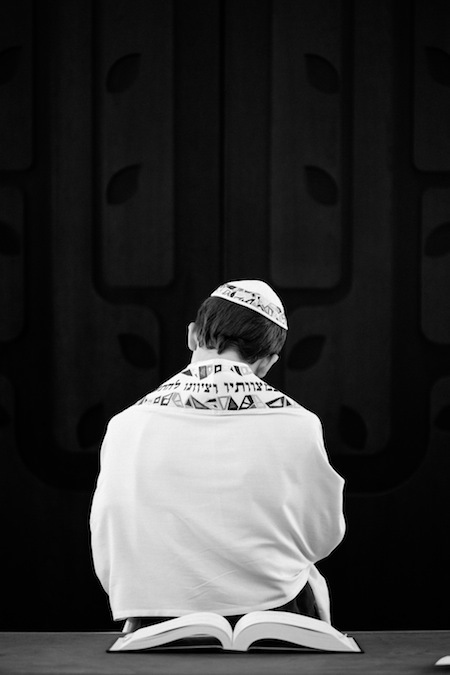 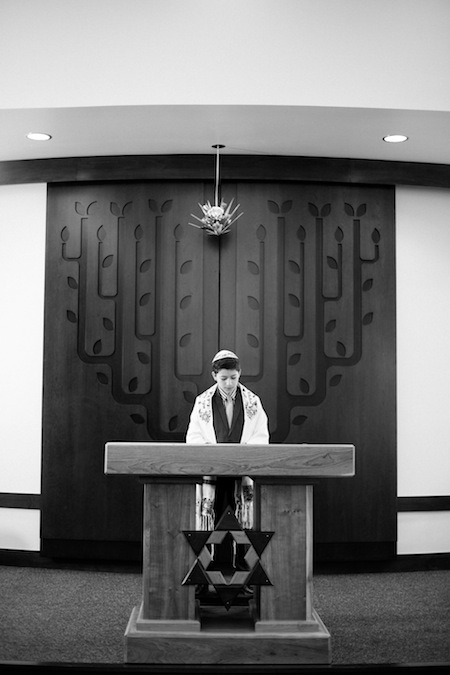 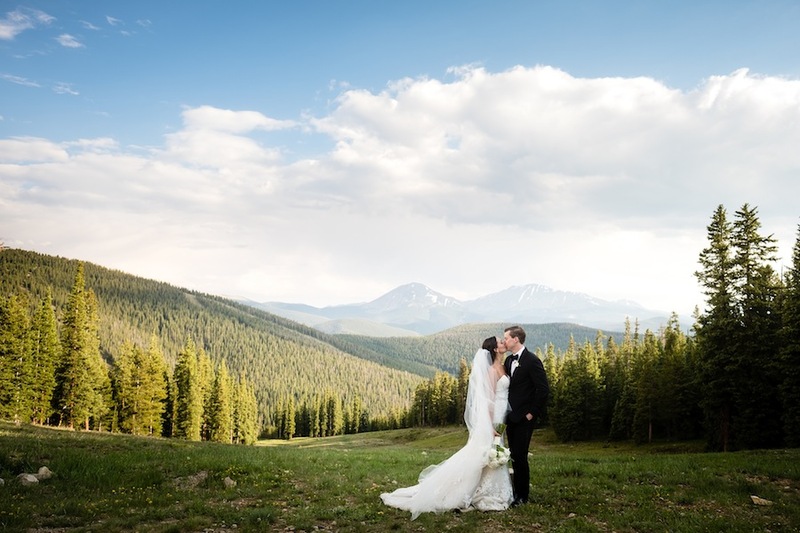 What a privilege it is to share some of our favorite images of 2016-what a remarkable year it has been! 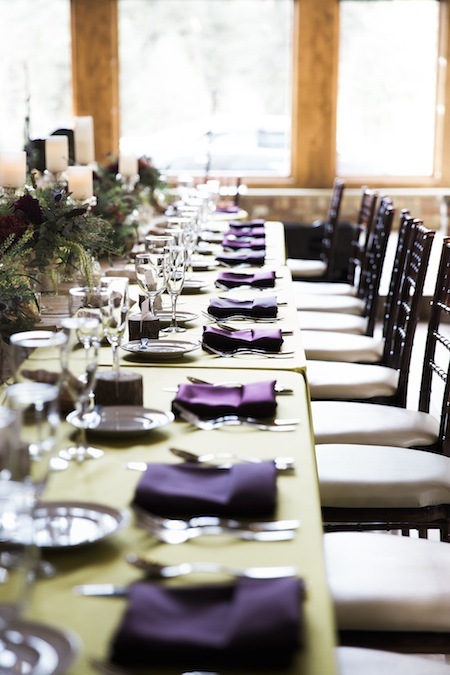 We are blessed to work alongside some of the very best clients and vendors around; so a big thank you to all of those who made this year truly spectacular! 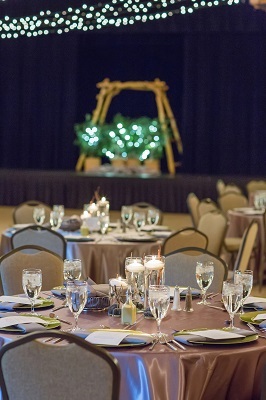 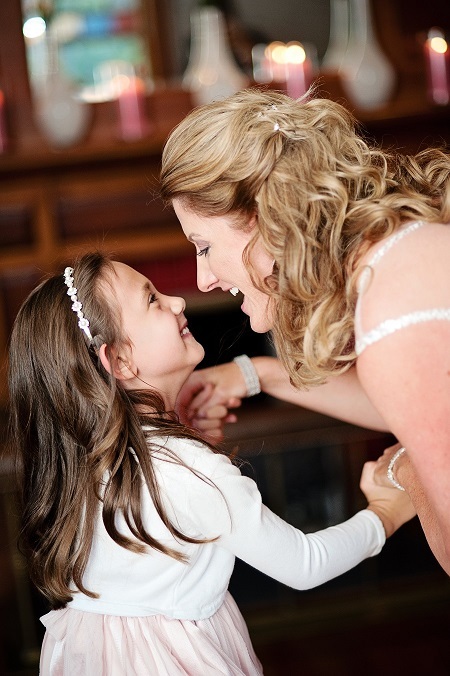 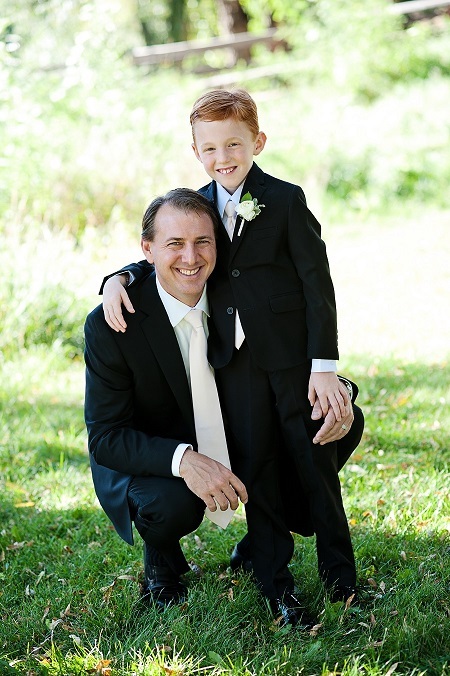 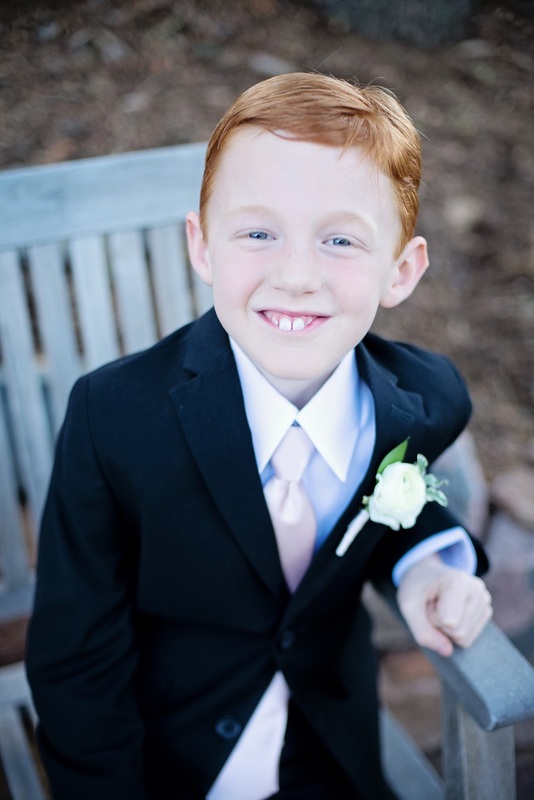 Enjoy taking a walk down memory lane with JA Special Events-we love what we do all thanks to you! 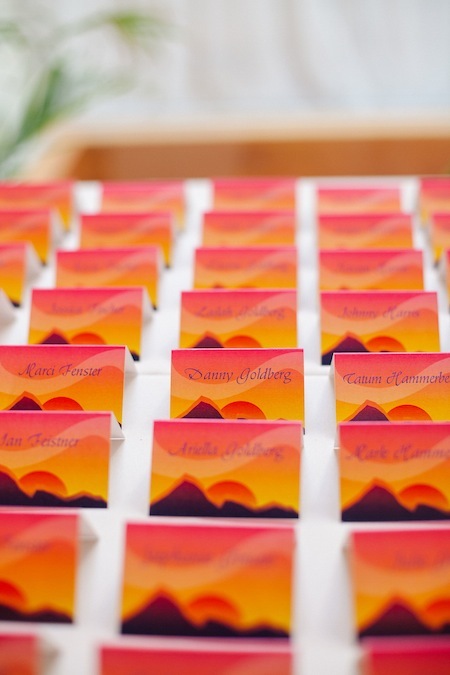 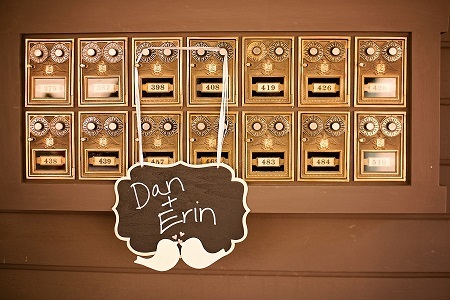 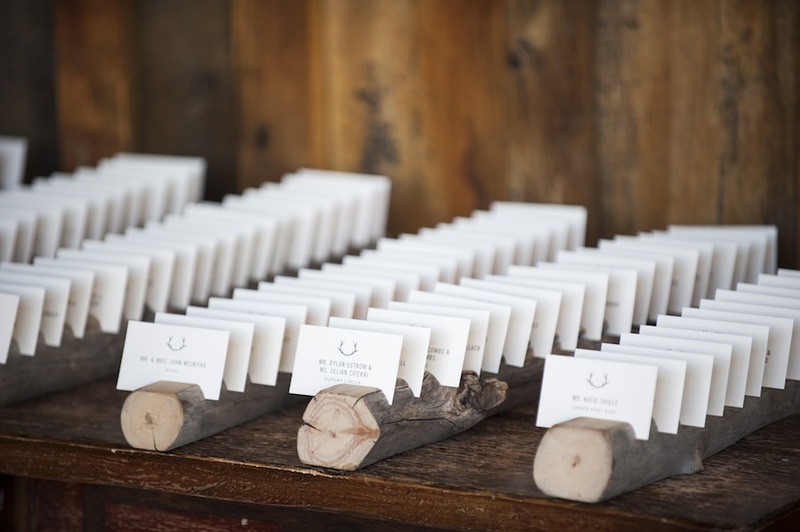 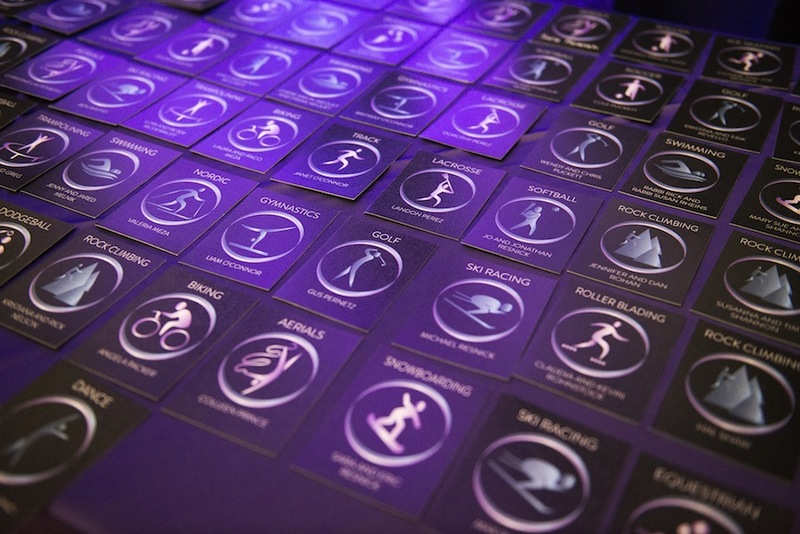 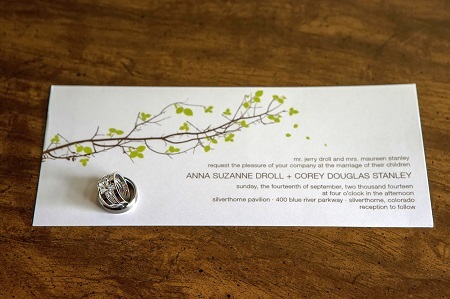 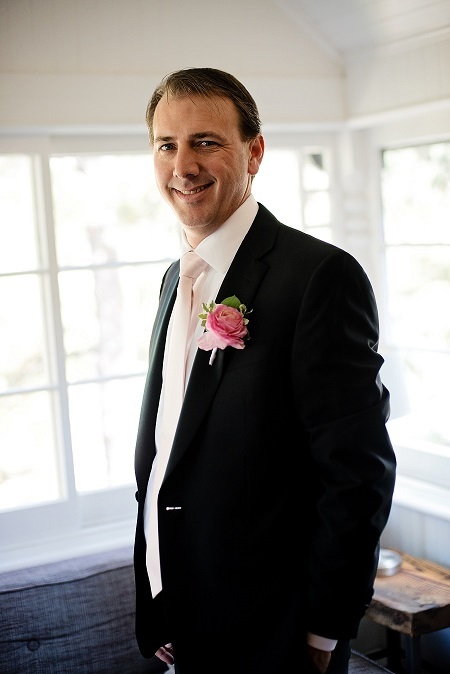 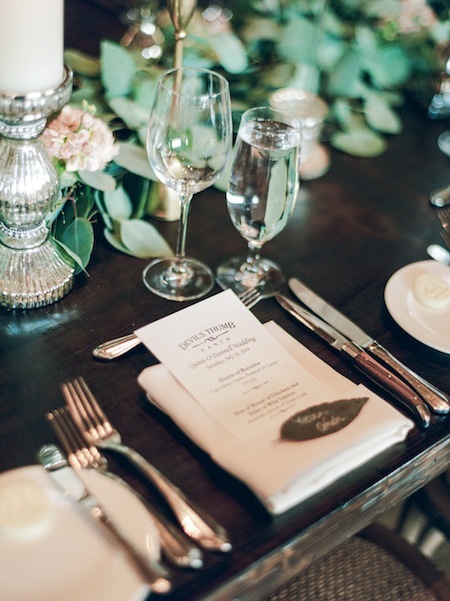 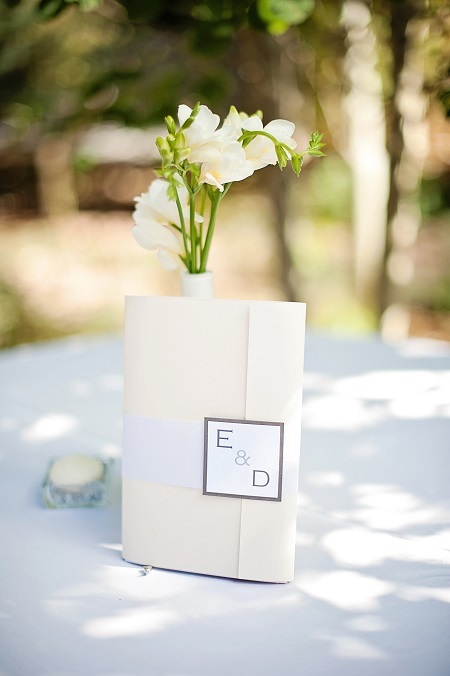 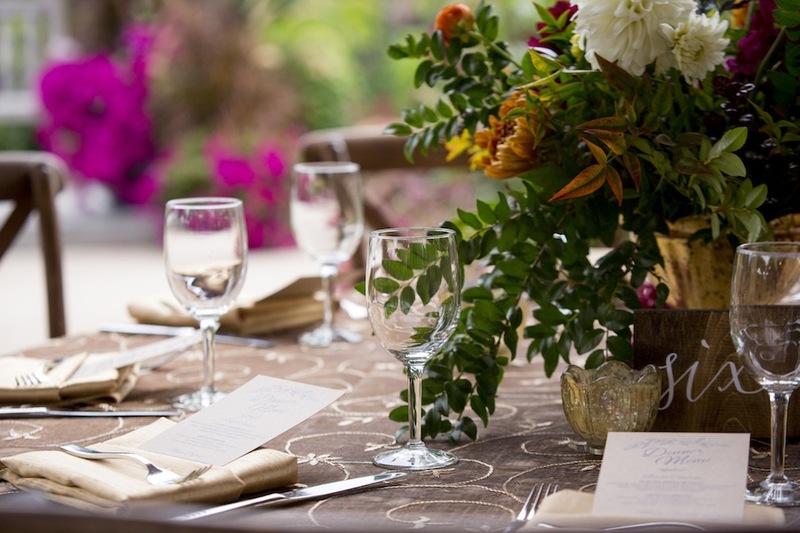 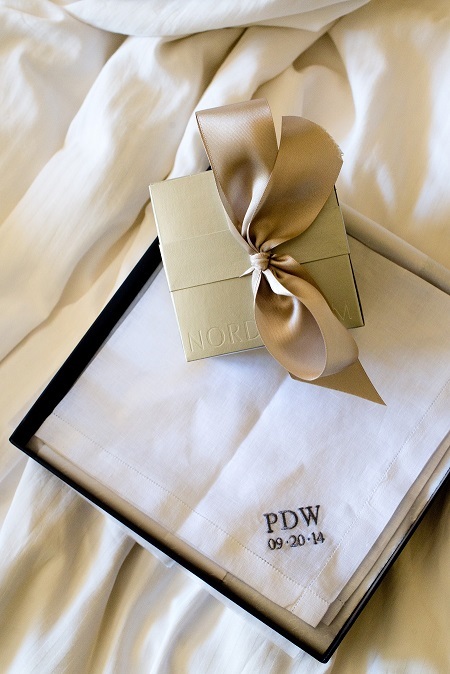 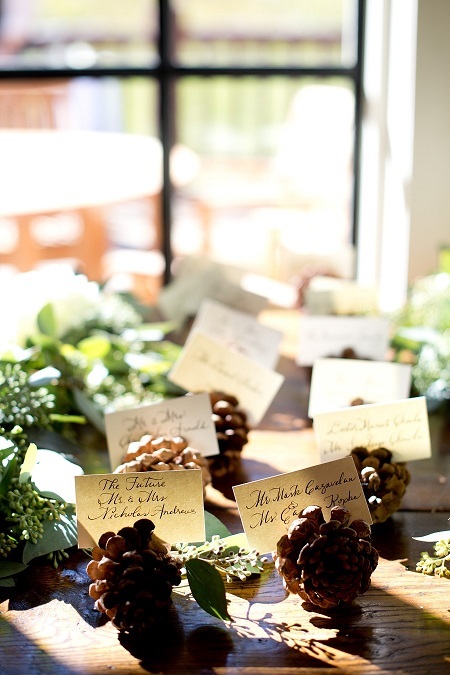 It’s said that an invitation sets the tone for an event, building expectation and excitement with hints of style. 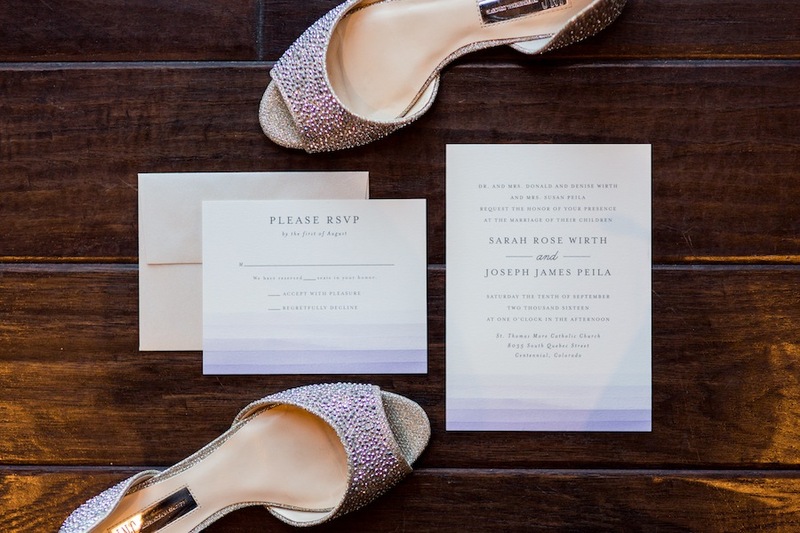 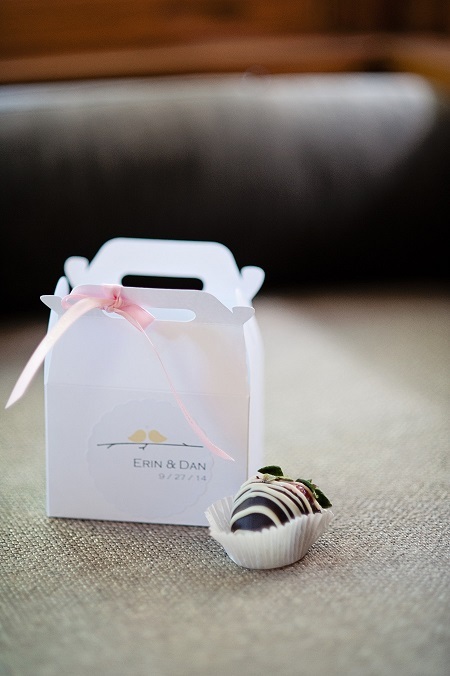 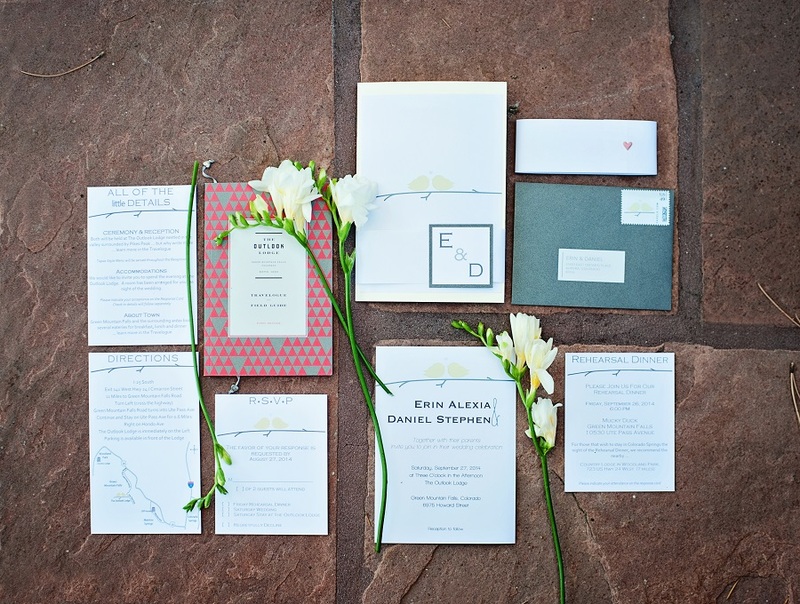 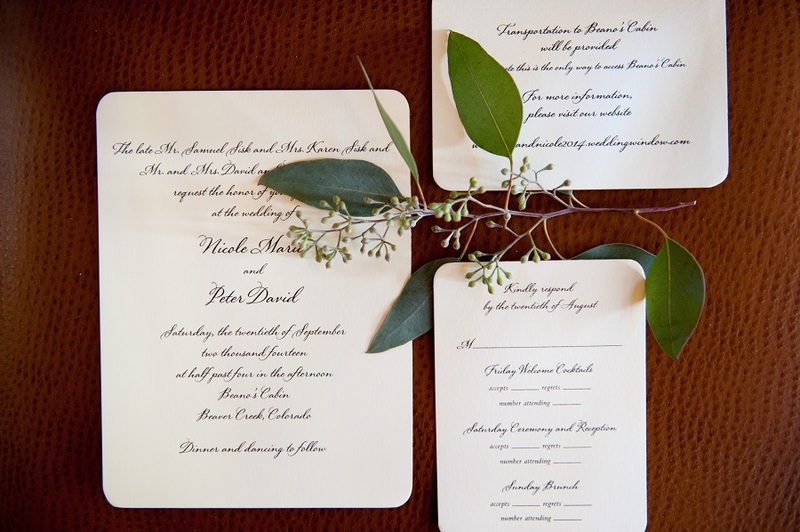 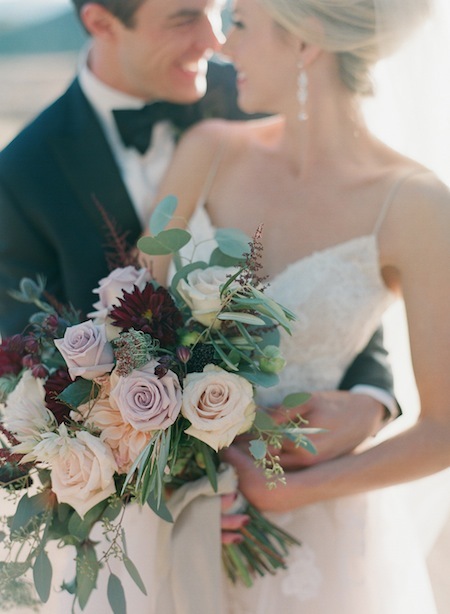 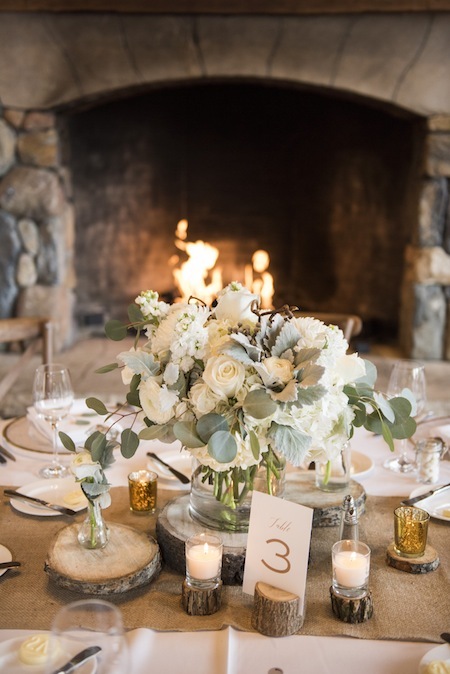 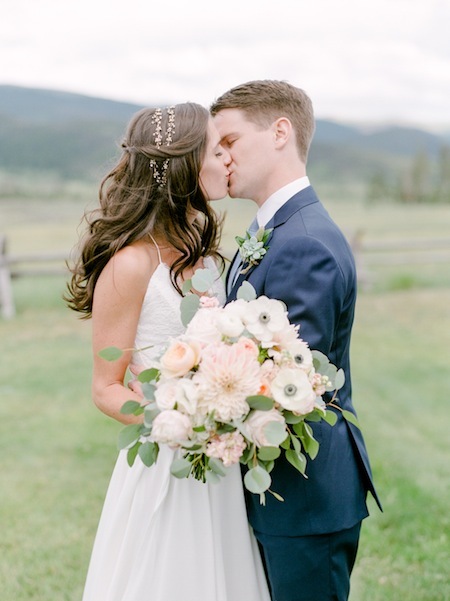 Erin and Dan’s wedding invitation was full of thoughtful details, contemporary style, a romantic pair of lovebirds, and a little booklet featuring the destination’s history; a perfect preview of the intimate fall mountain wedding celebration so beautifully captured by Elizabeth Ann Photography. 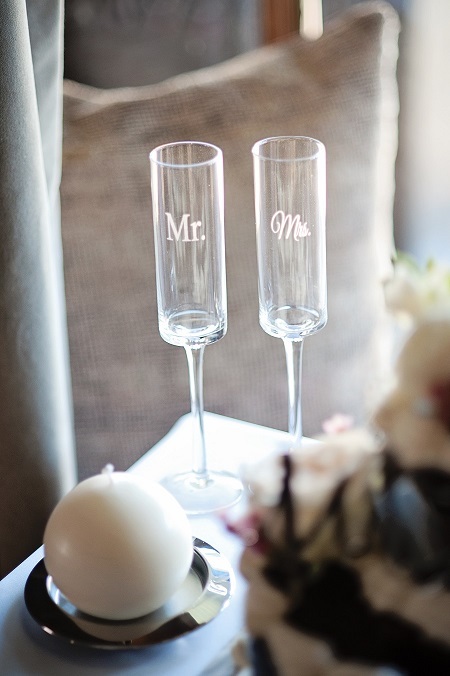 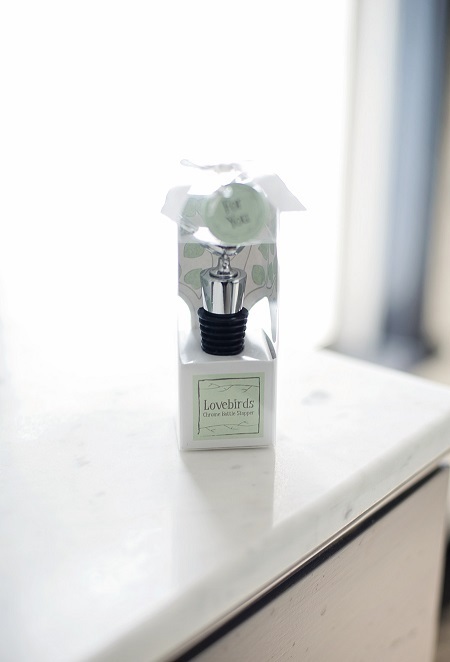 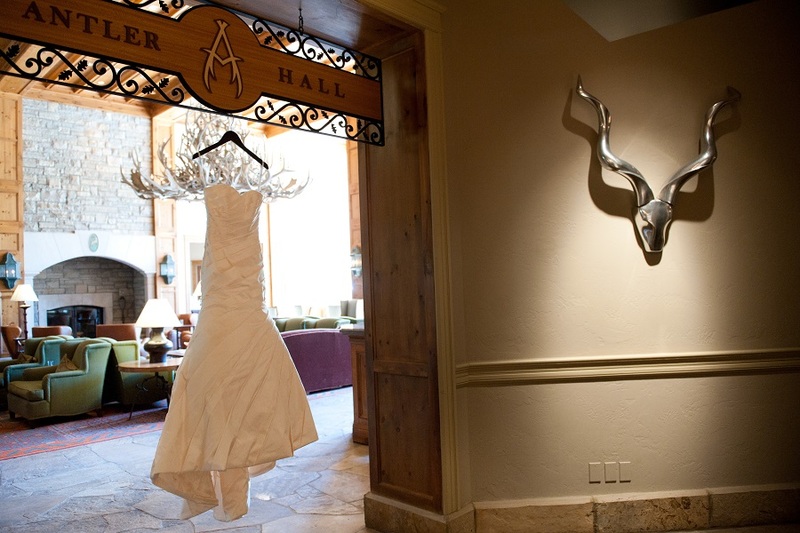 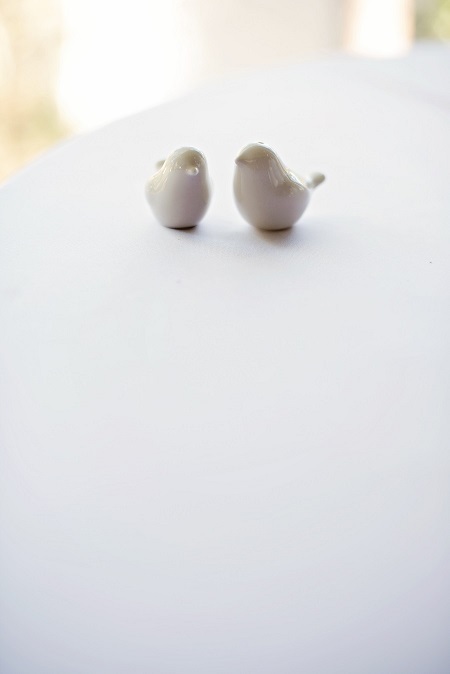 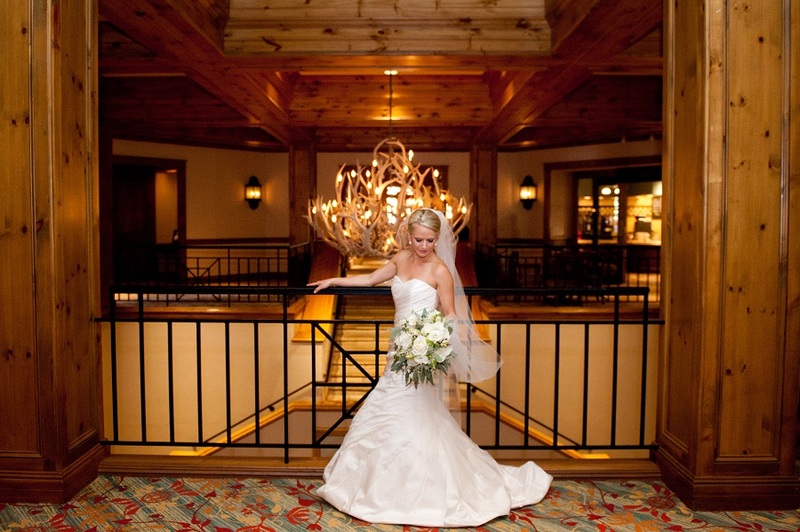 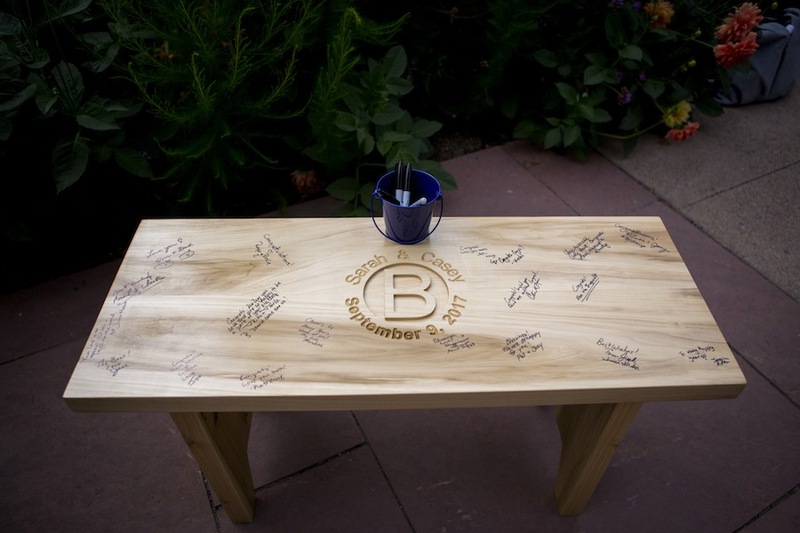 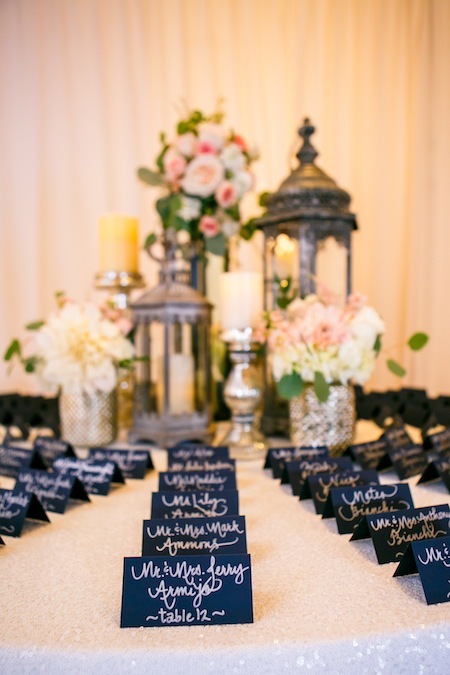 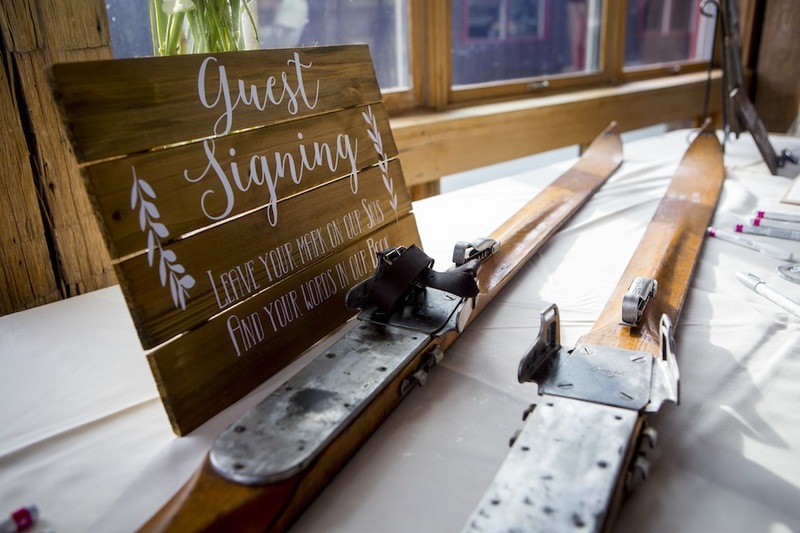 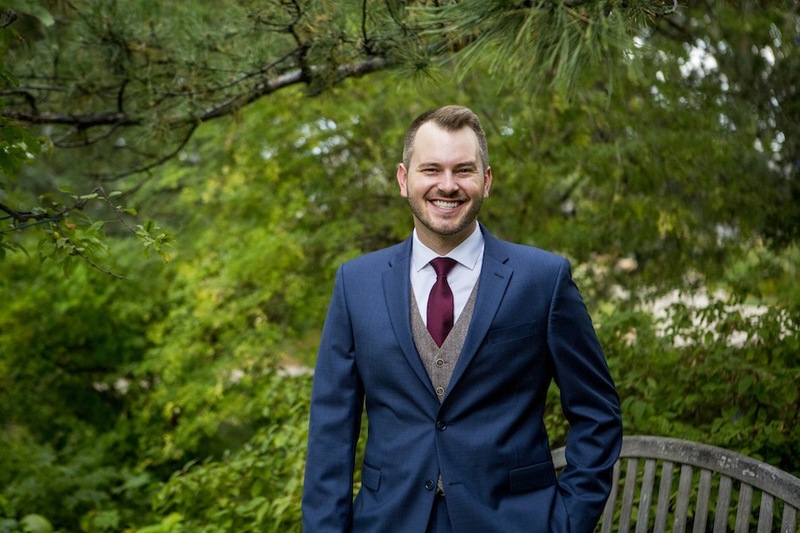 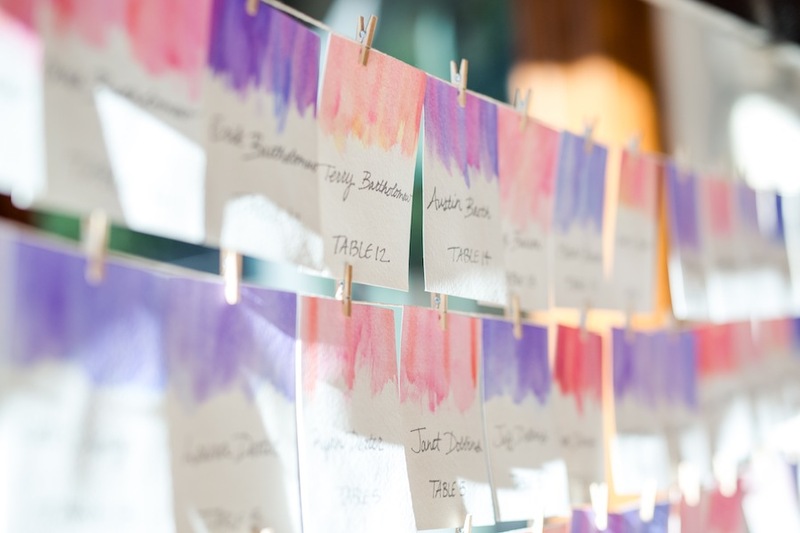 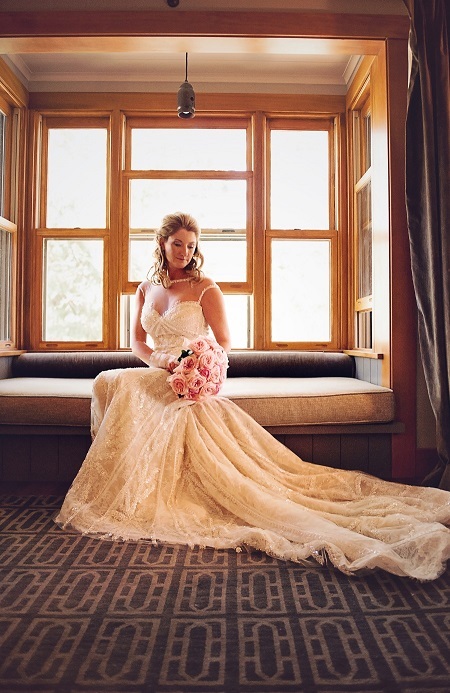 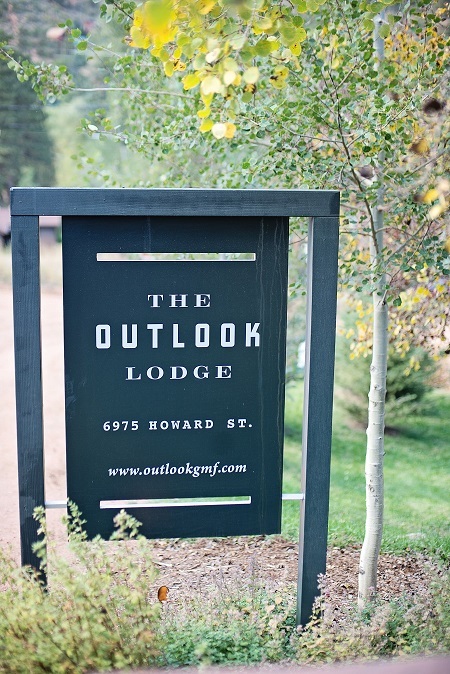 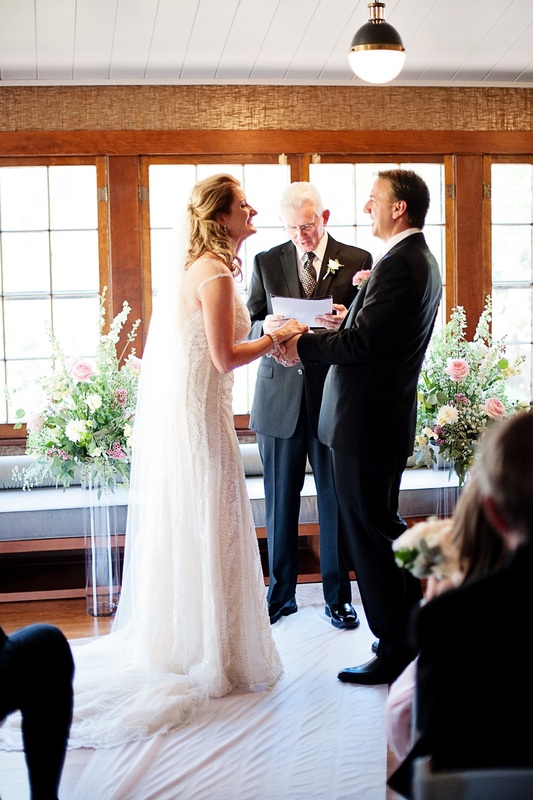 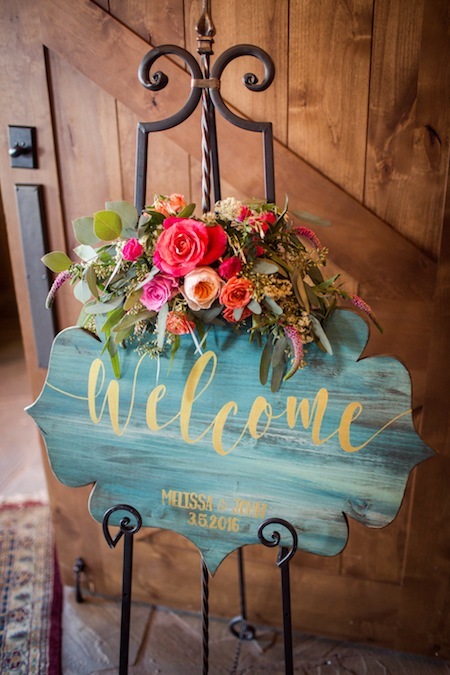 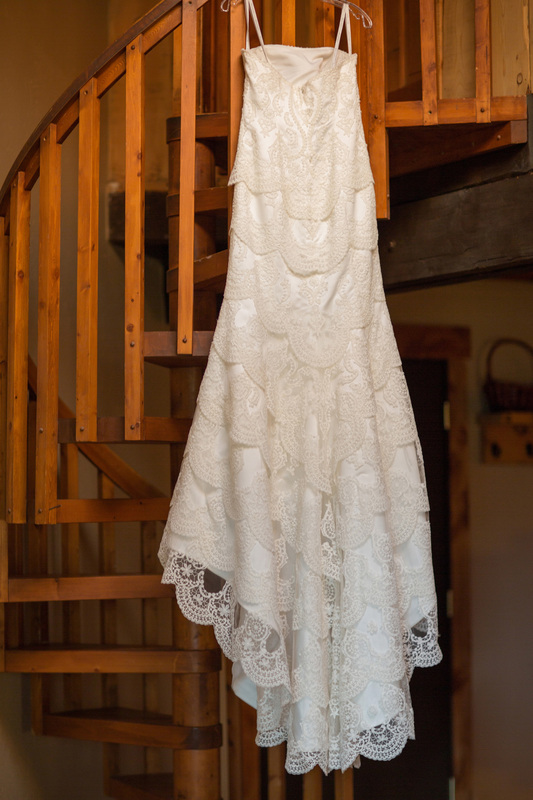 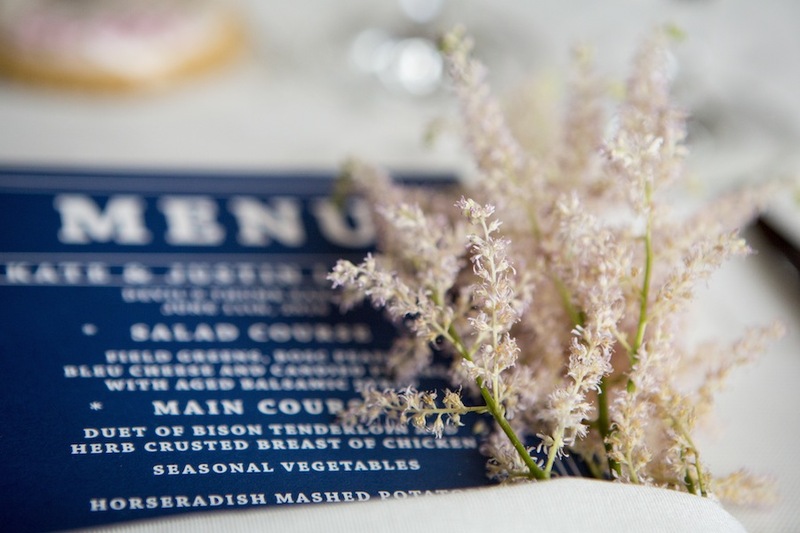 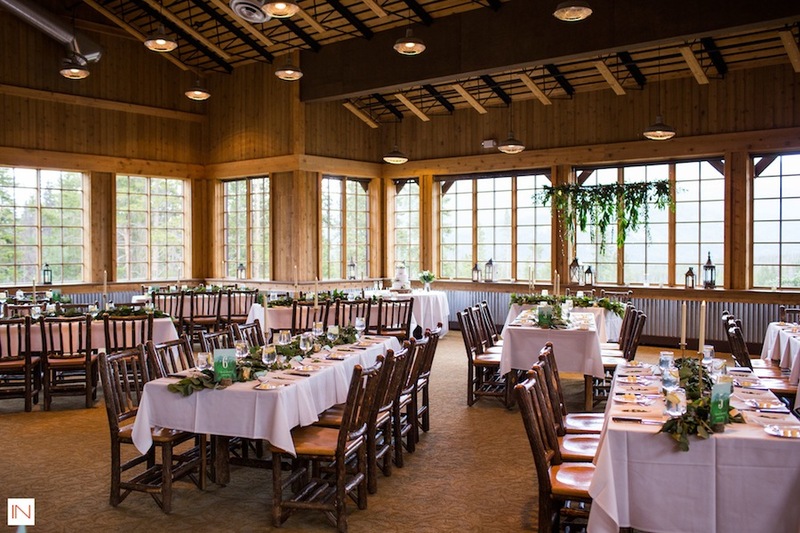 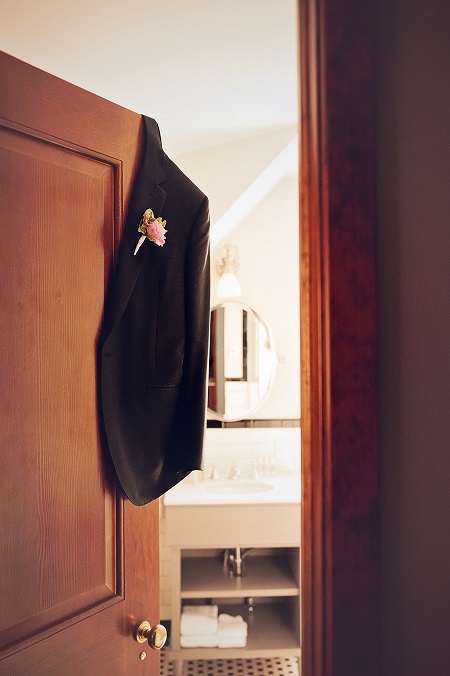 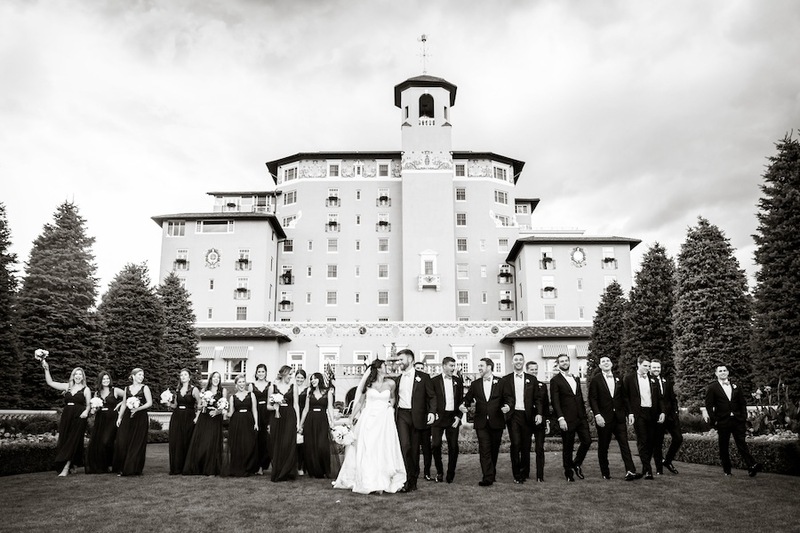 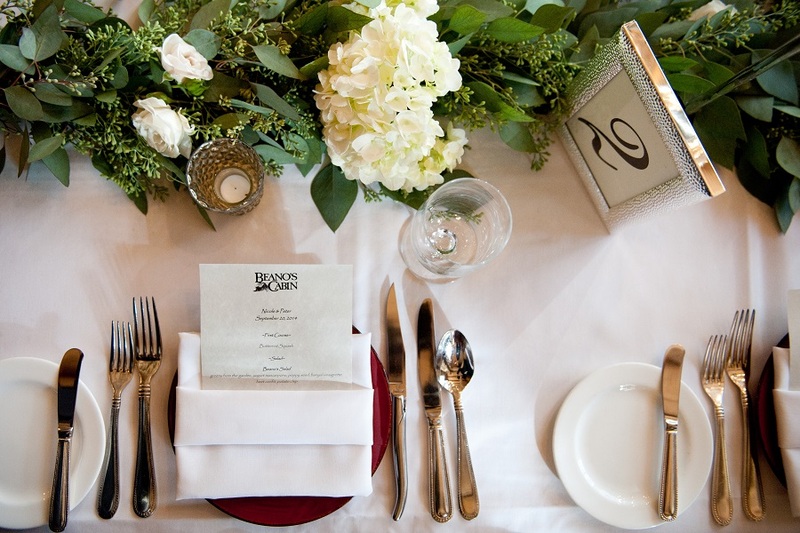 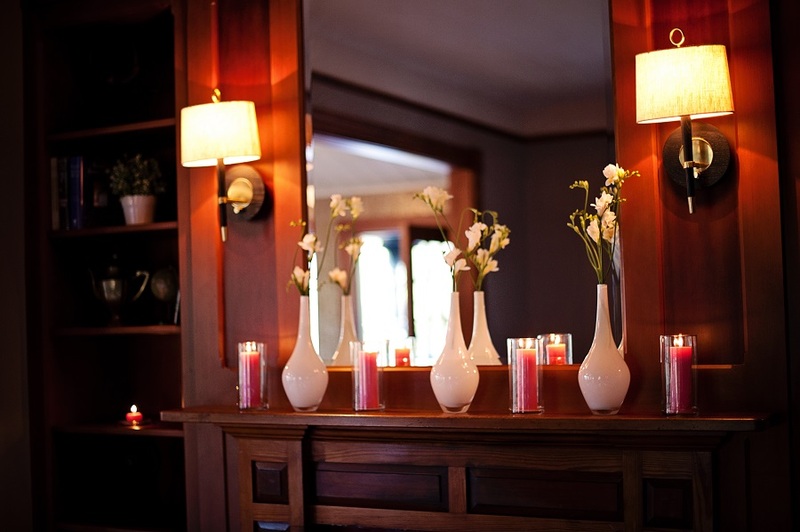 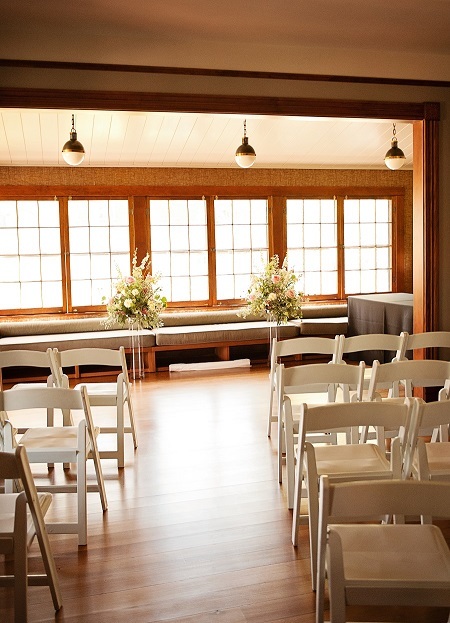 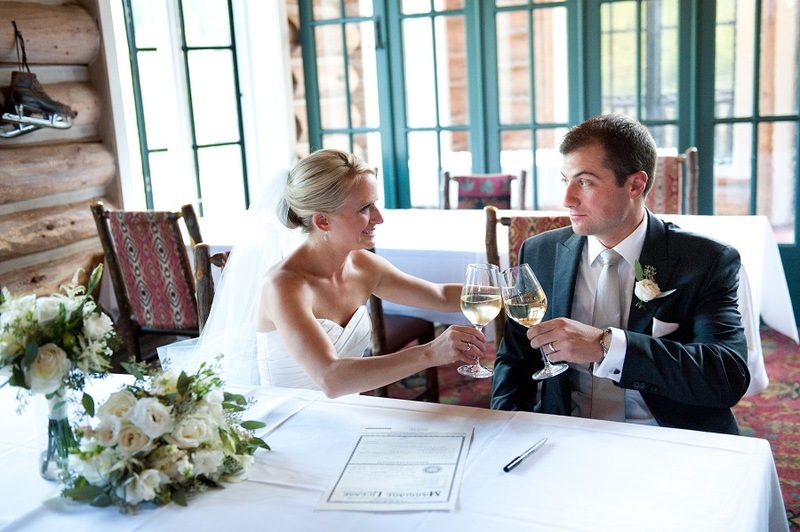 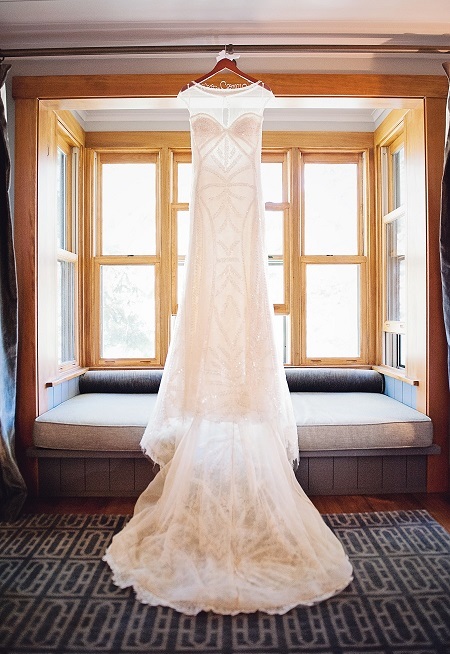 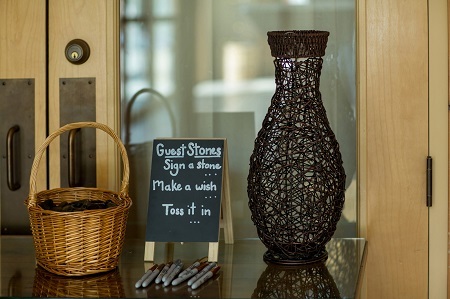 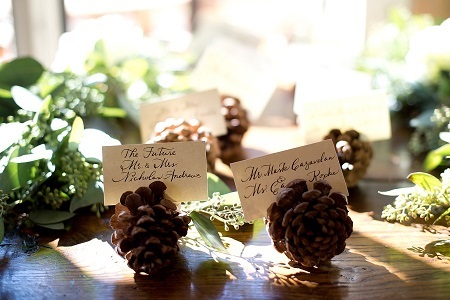 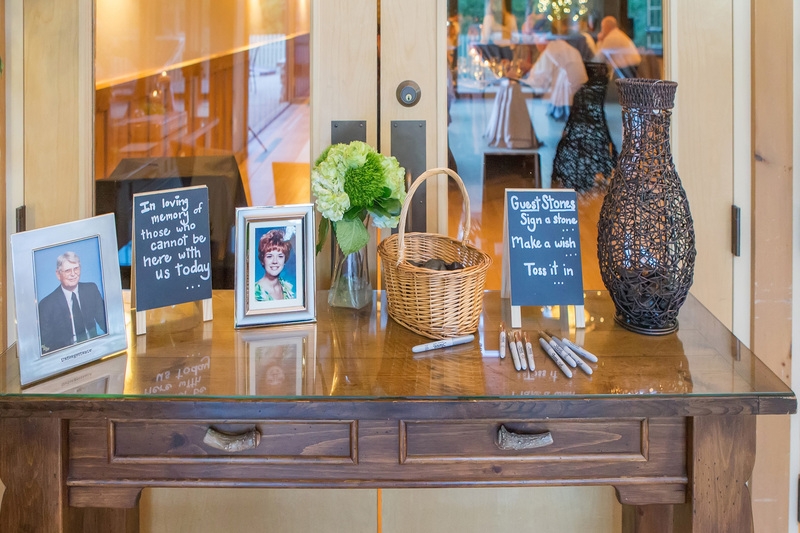 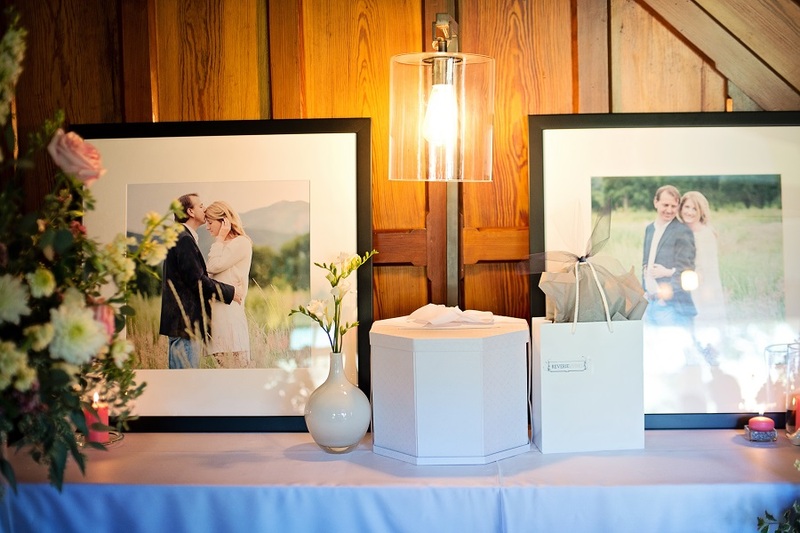 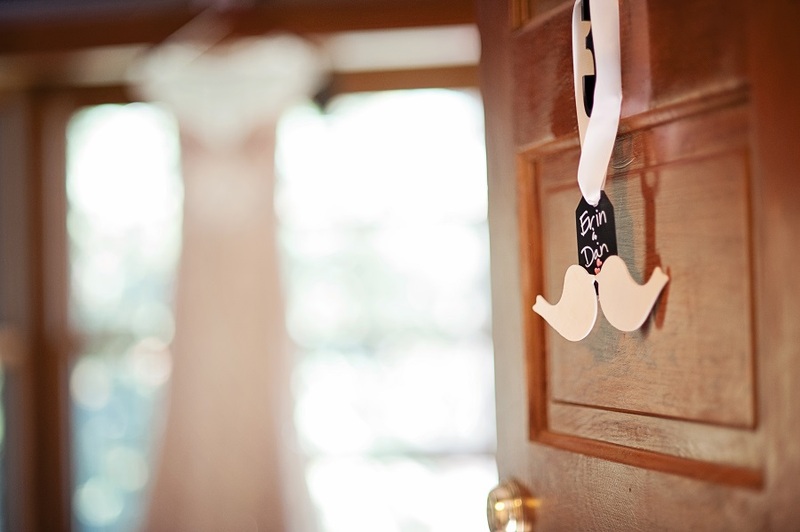 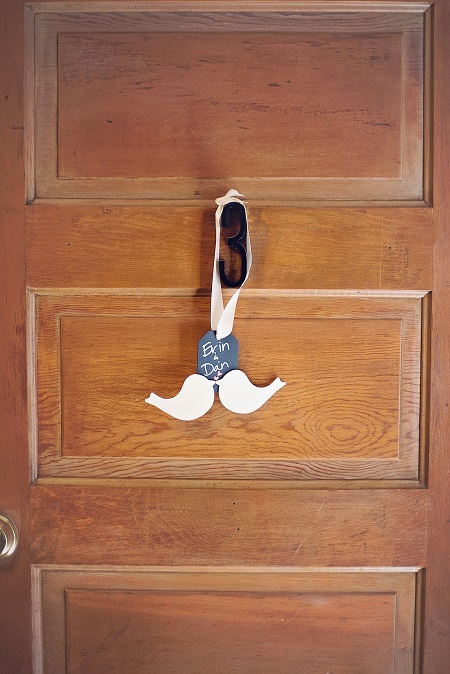 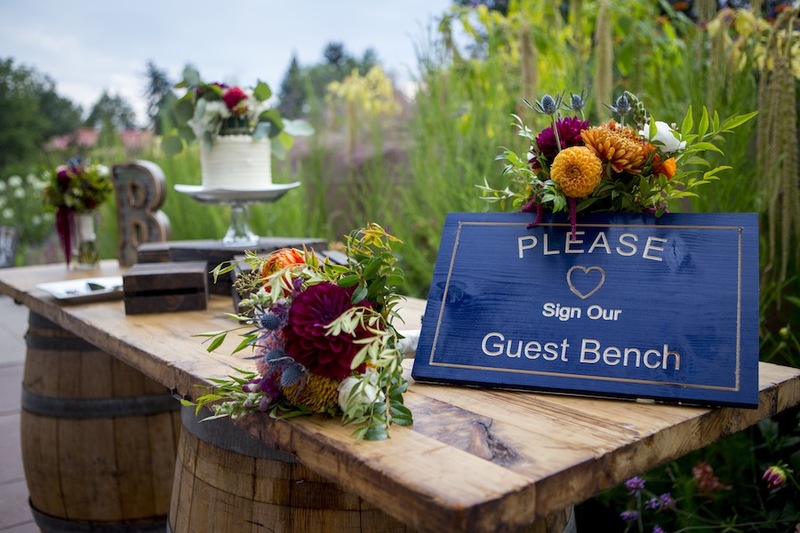 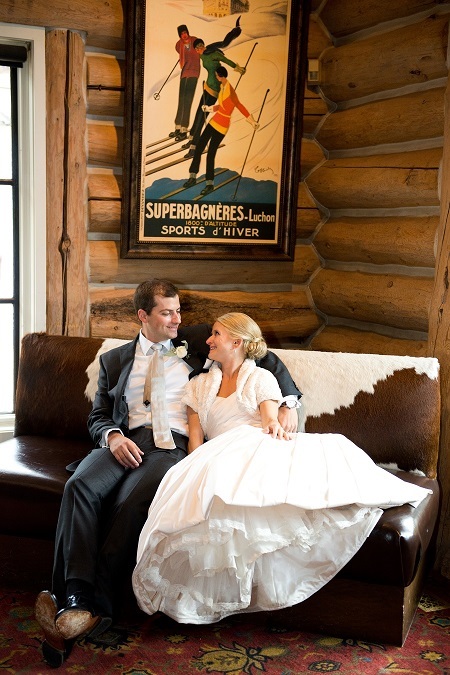 On the wedding day, guests arrived early to discover bird adorned name signs on each room of the charming historic Outlook Lodge and it’s adjacent contemporary Little Beaver Inn. 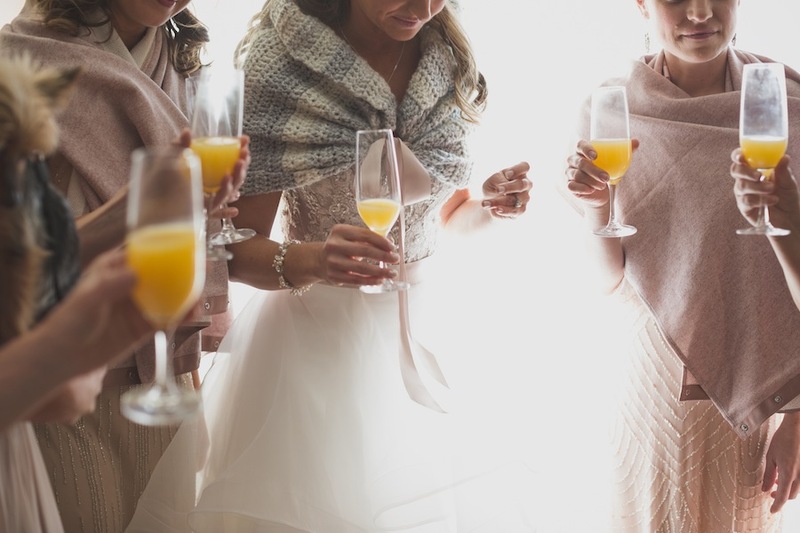 Bottles of champagne, chocolate covered strawberries, and richly textured rug bags full of goodies welcomed an intimate gathering of twenty eight guests to relax and settle in before meandering over to enjoy a cocktail on the Victorian porch. 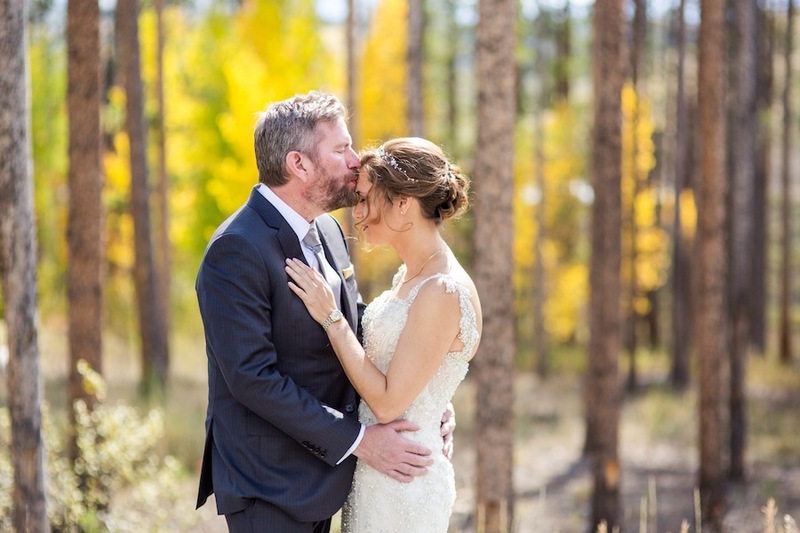 Golden aspen leaves danced in the breeze through cottage windows as a string trio played Marry Me and the sunroom became a sanctuary for tying the knot (literally). 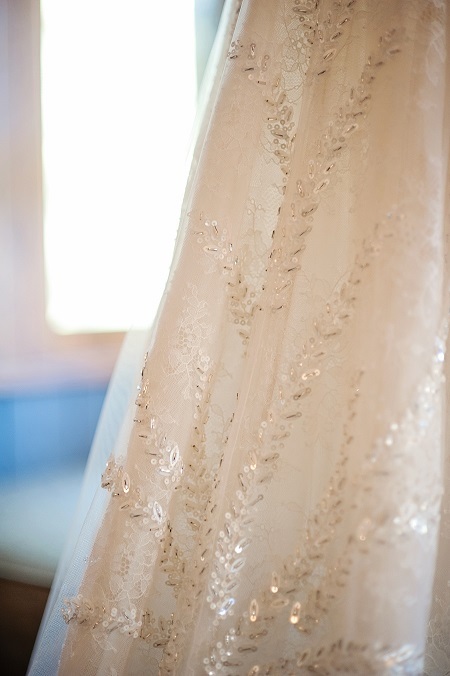 Intricately embroidered gemstones shimmered in elegant curves as Erin stepped from the sunlit Victorian porch into the gaze of her beloved. 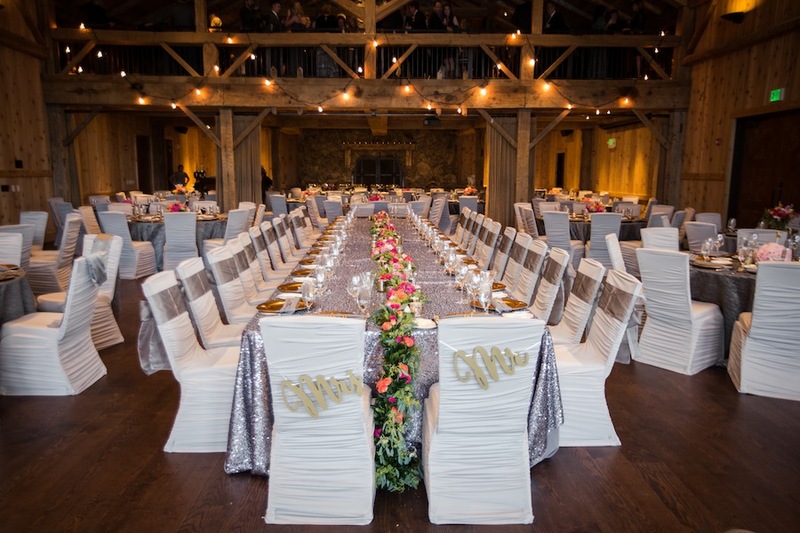 The rustle of guests rising from their seats met a delicate whisper of sequined tulle on luxurious folds of Chantilly lace, sweeping over the intimate aisle with breathless grace. 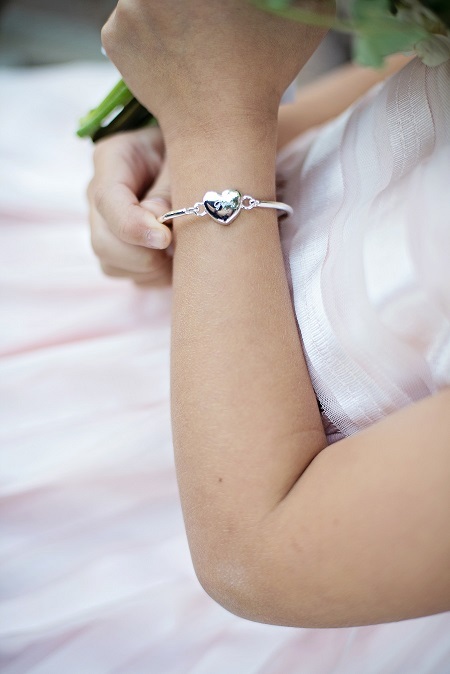 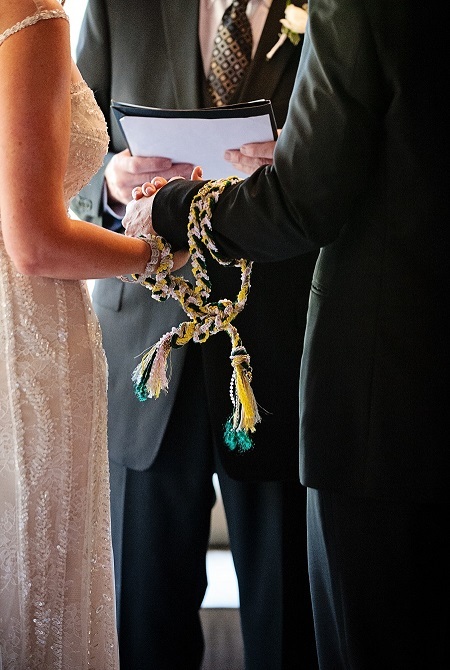 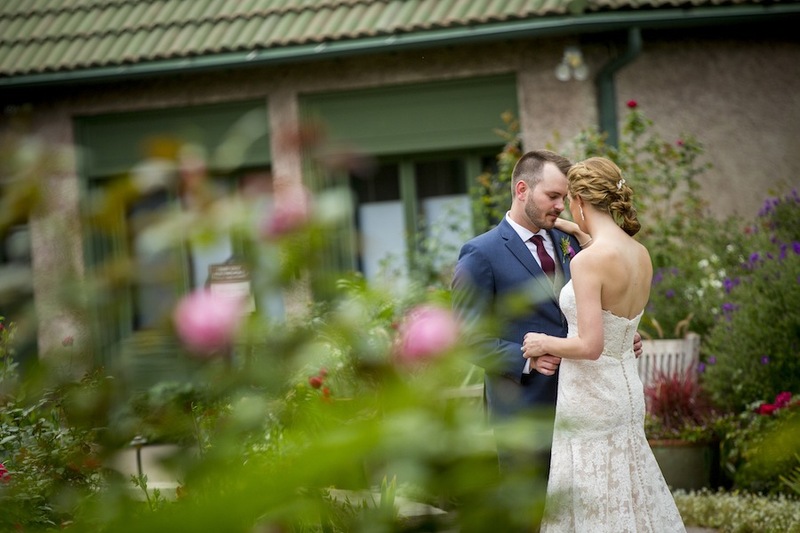 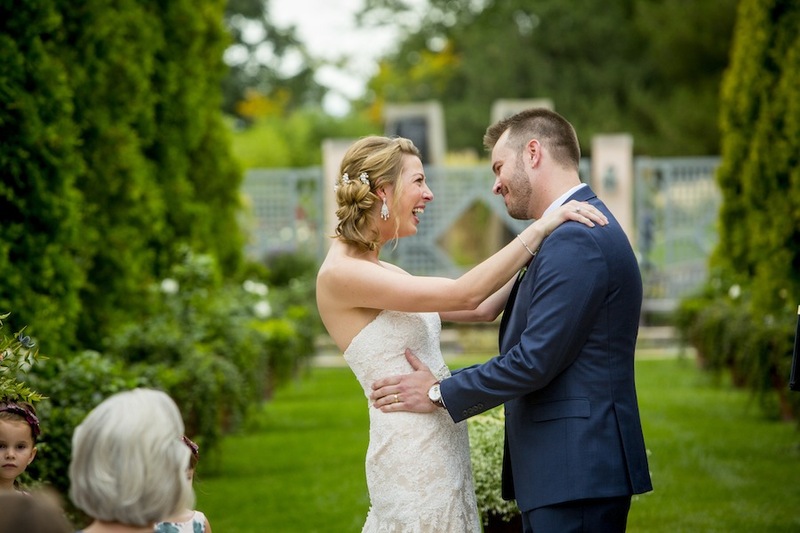 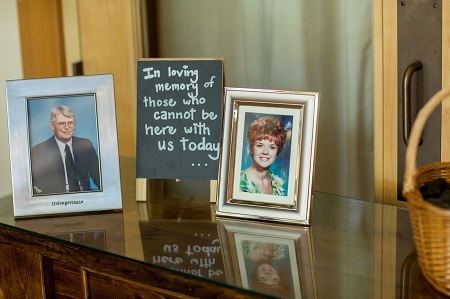 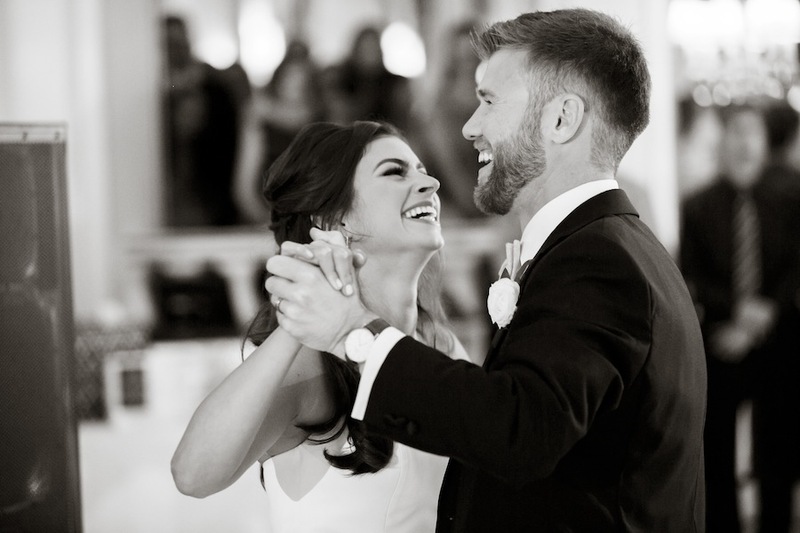 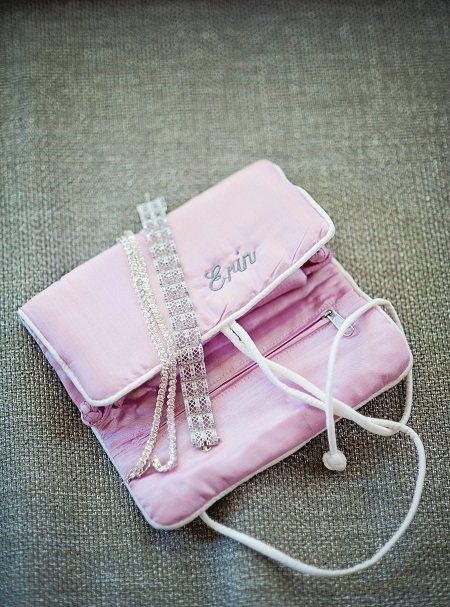 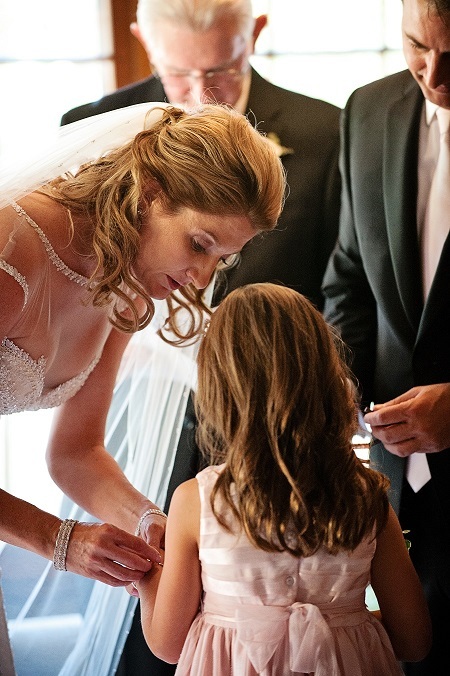 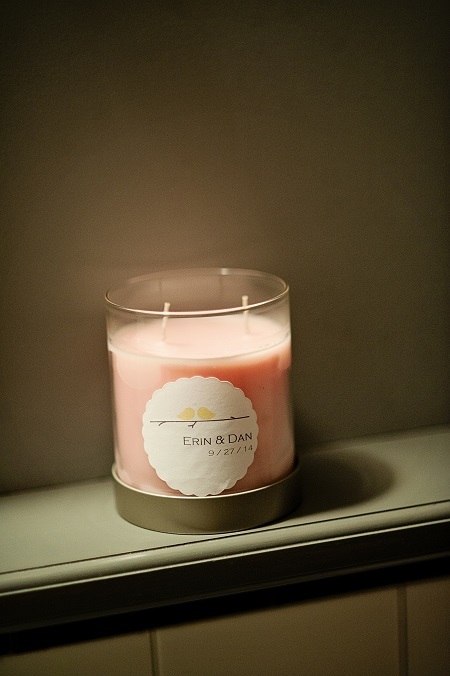 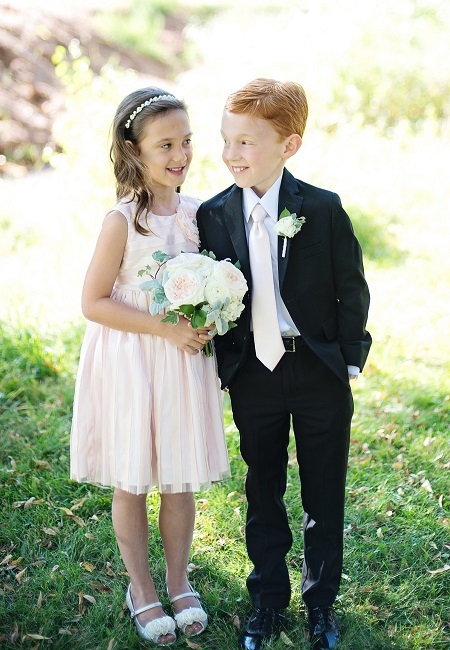 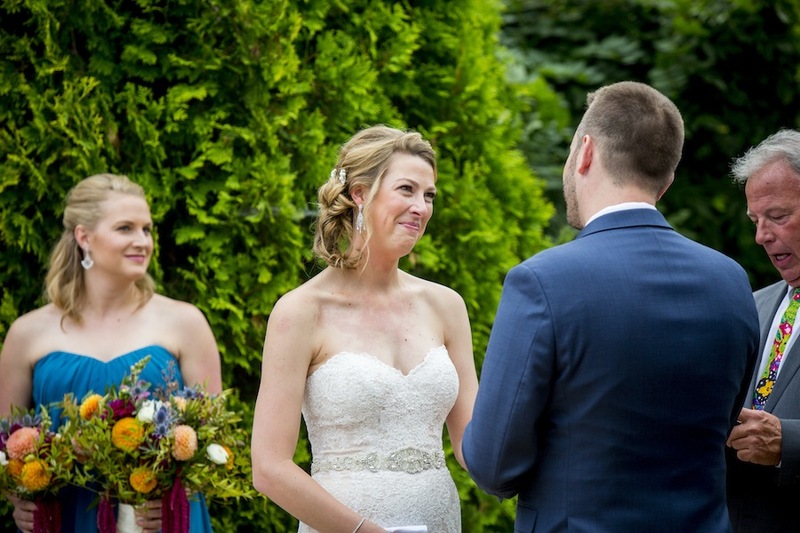 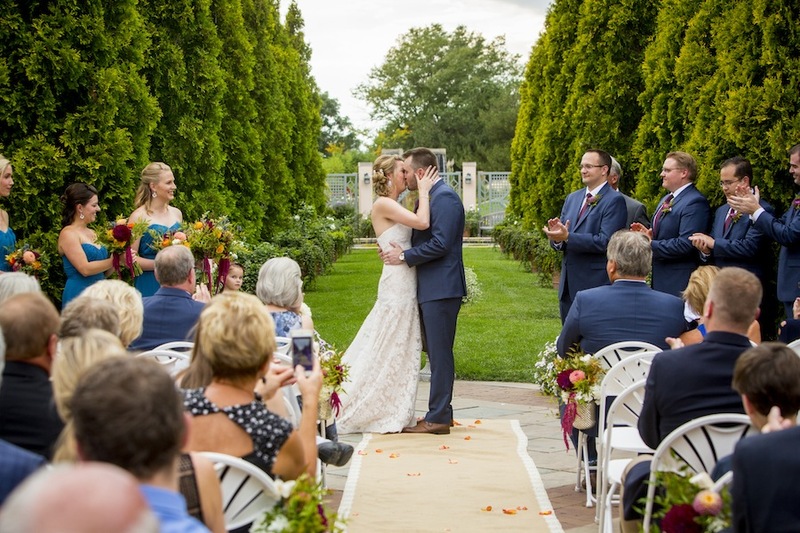 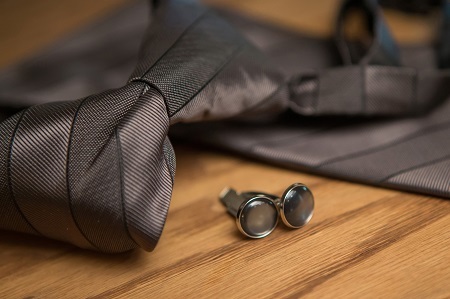 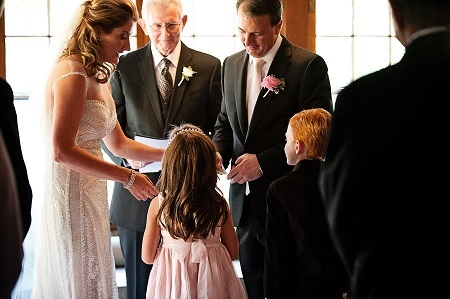 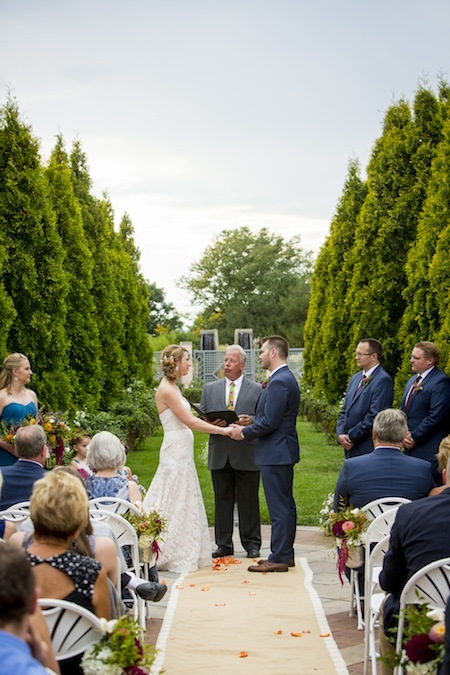 A living room of damp eyes watched Erin & Dan express their profound love for each other and then for twins Danny & Grace with special custom bracelets as Erin joined their family. 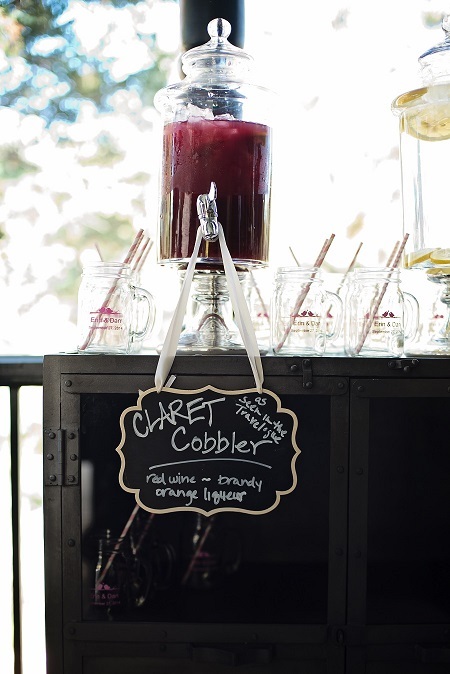 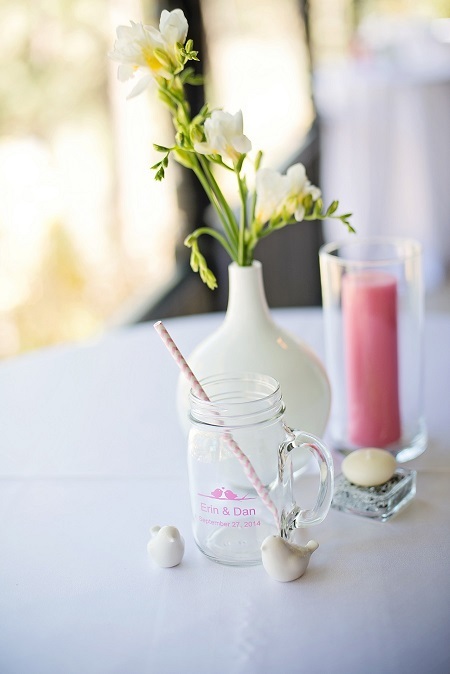 Claret Cobbler, a house recipe signature drink (featured in the invitation’s history booklet), filled mason jar mugs monogrammed with blush lovebirds. 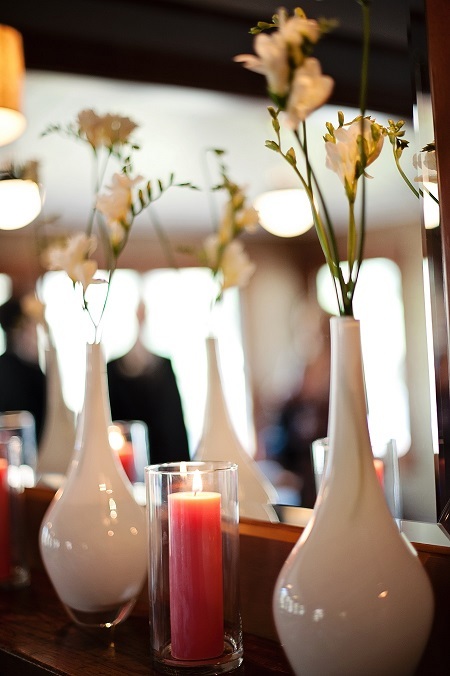 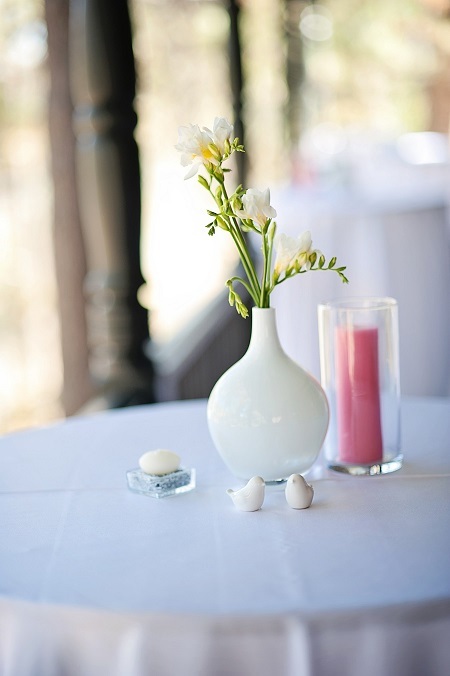 The clean contemporary look of cocktail tables dressed in white linen adorned with white freesia blooms in smooth white vases was accented in a romantic touch of soft pink candles and a pair of white lovebirds. 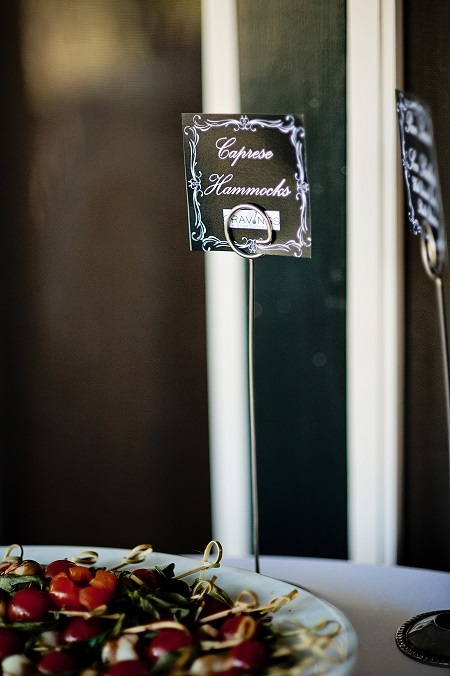 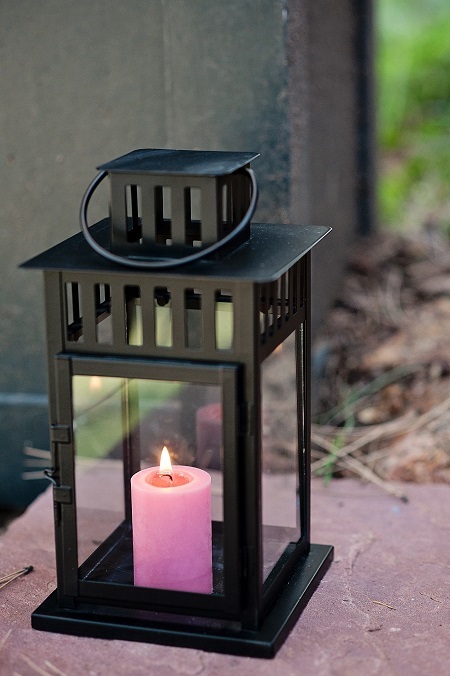 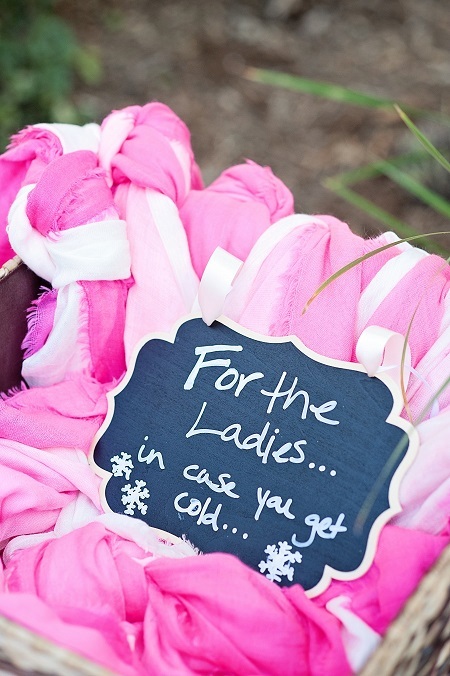 As guests moved from the front porch rocking chairs and wicker settee to the back yard patio for dinner from Cravings Catering, a basket of pink pashminas and Adirondack chairs around a cozy firepit offered warmth in the crisp September air. 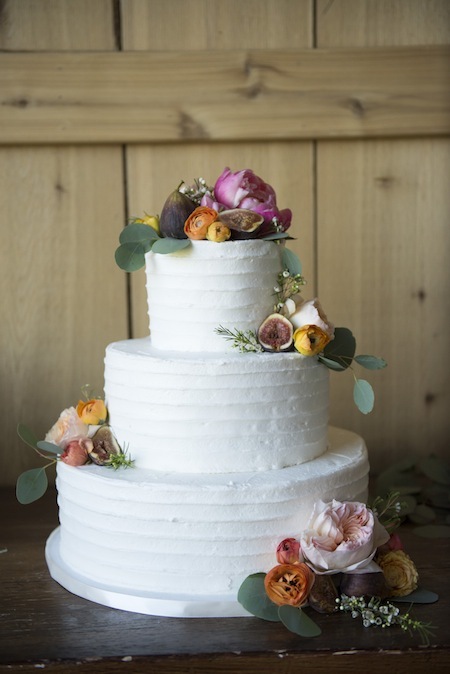 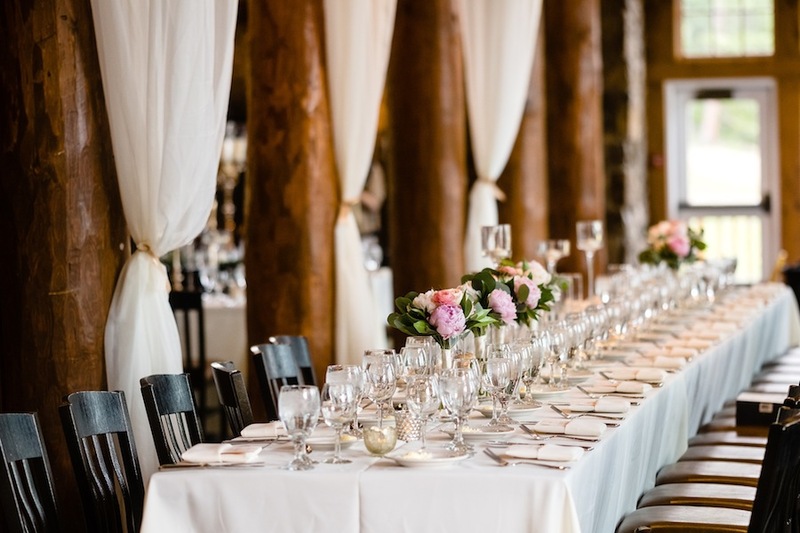 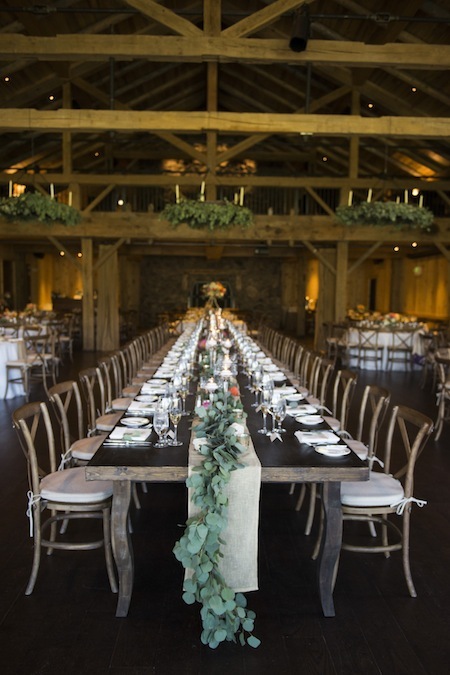 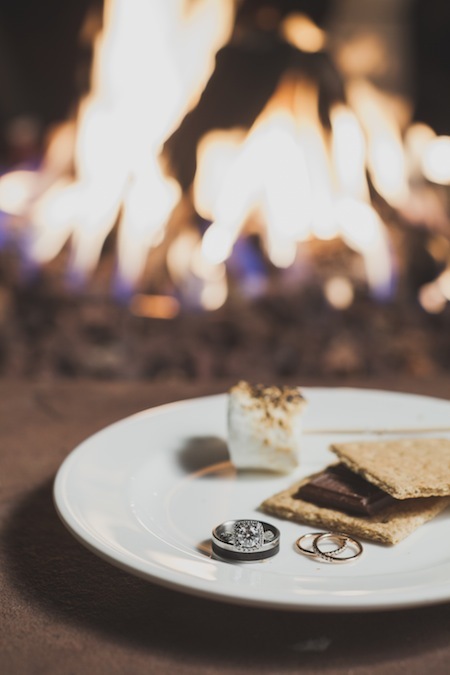 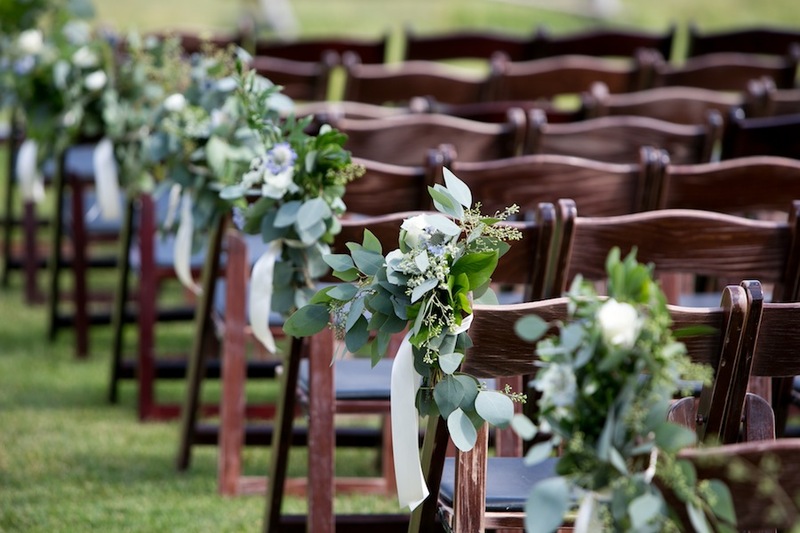 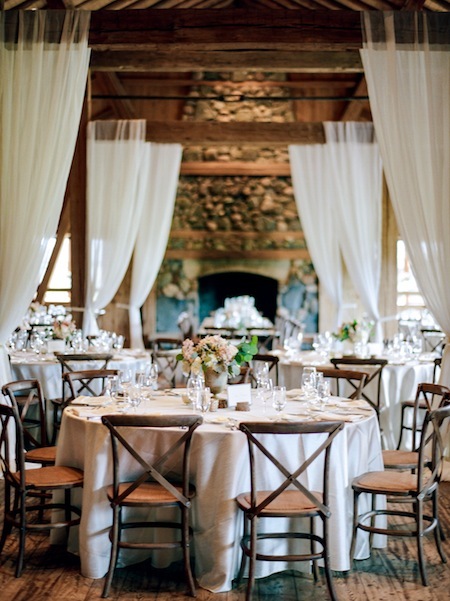 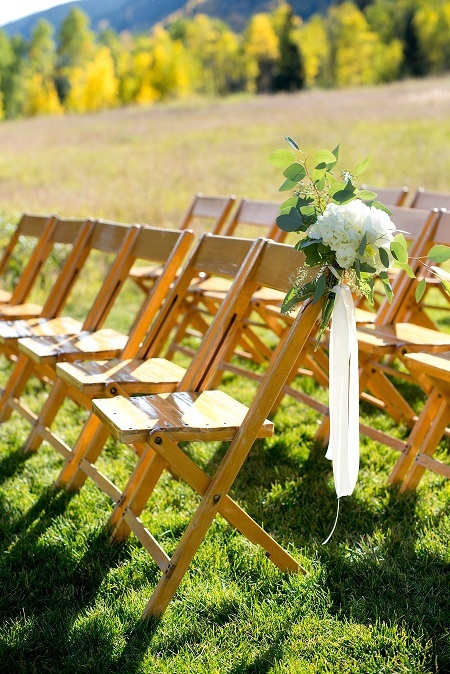 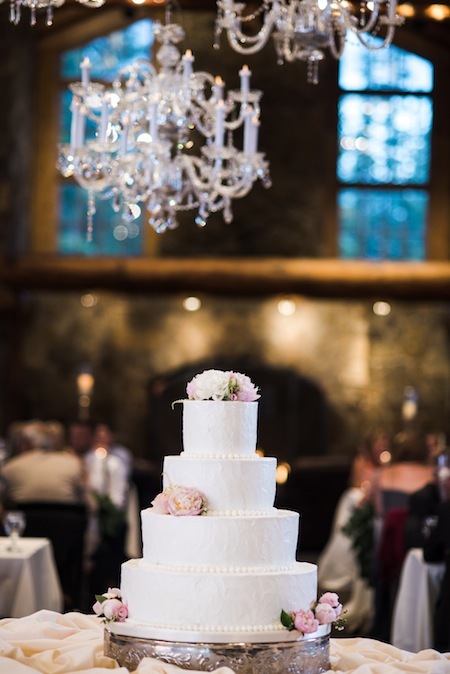 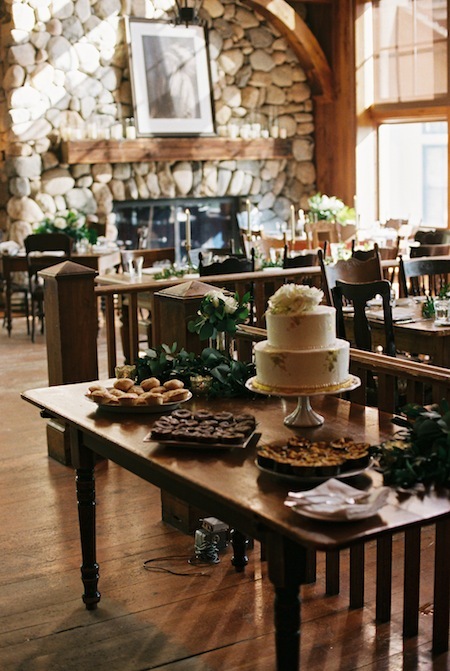 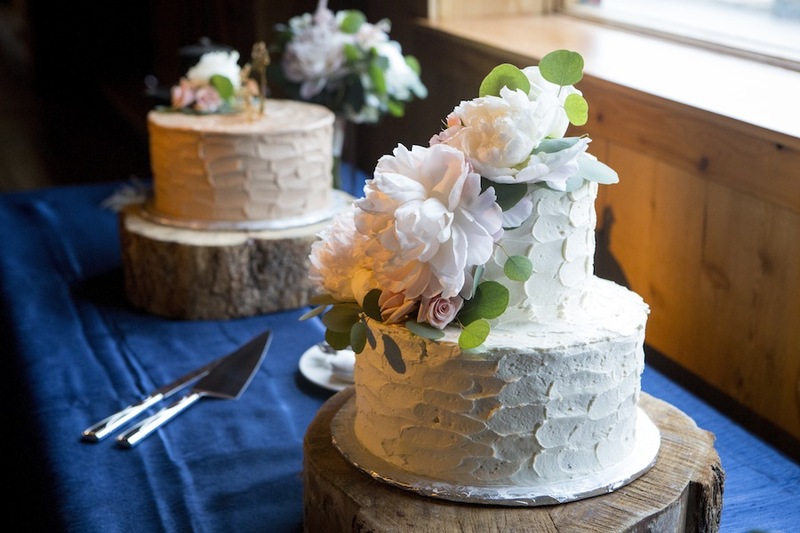 Inside, ceremony chairs were cleared from the living room and guests danced by the fireplace between bites of truffles and Boston Cream Pie for dessert. 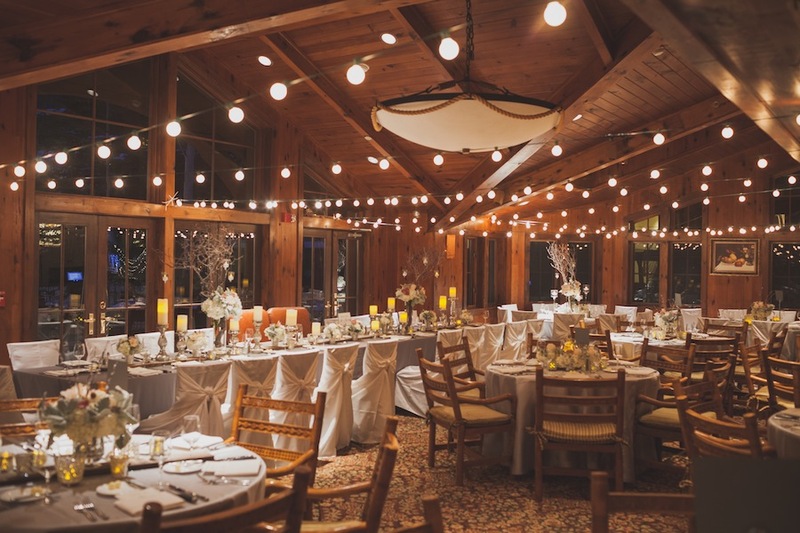 Candlelit lanterns lined the stone steps down to Little Beaver Inn as guests ended the evening warm with the glow of wine and friendship. 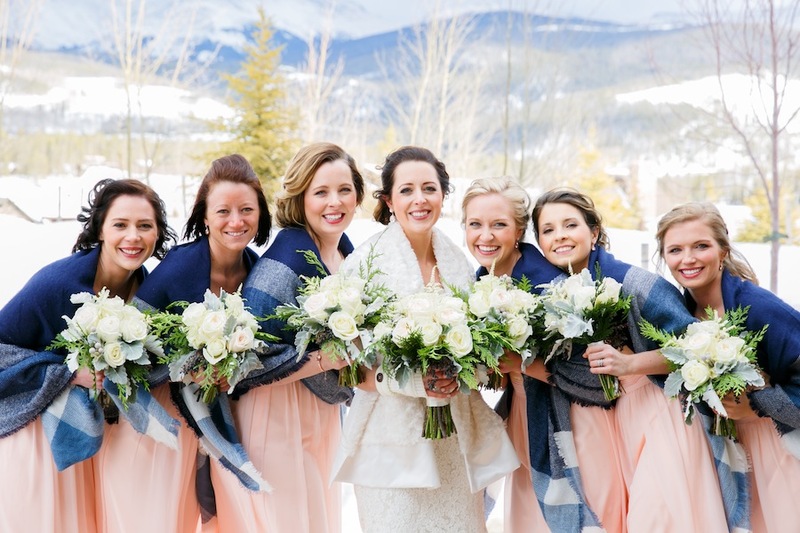 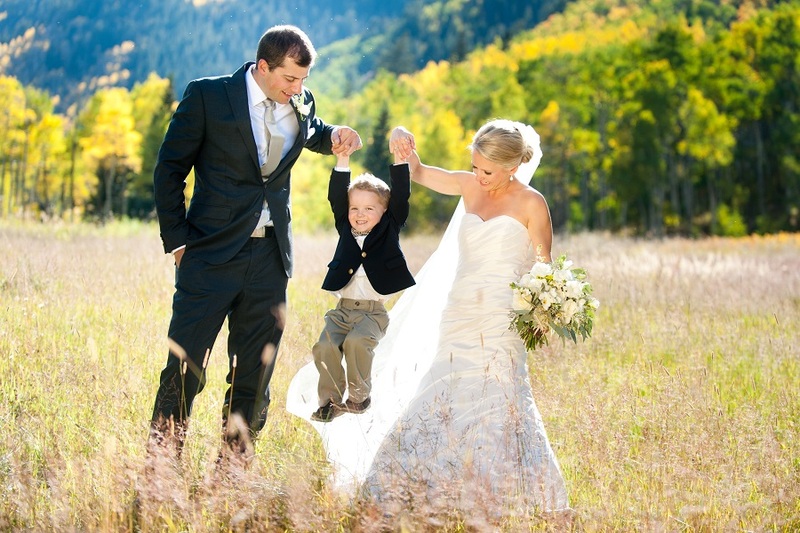 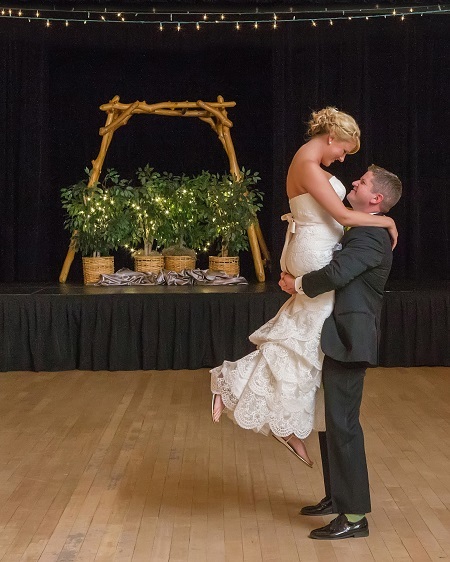 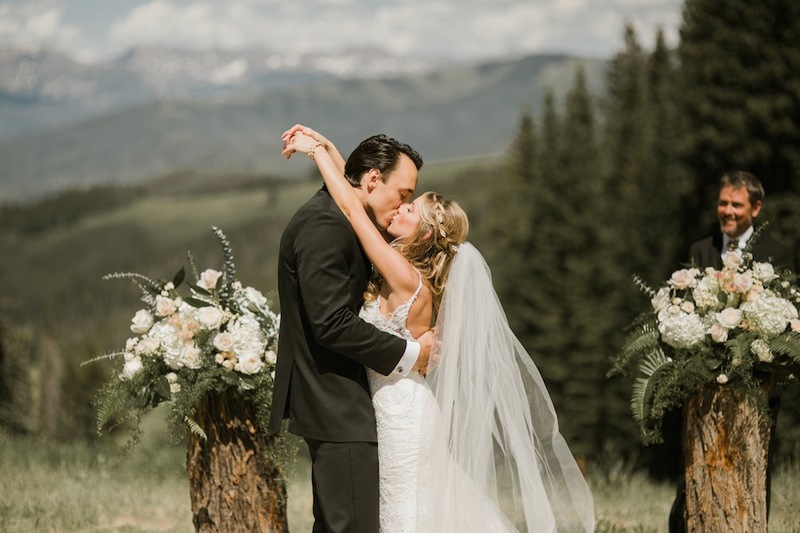 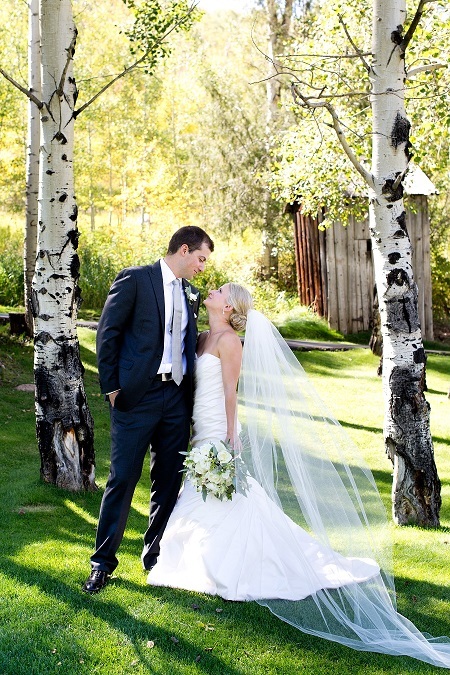 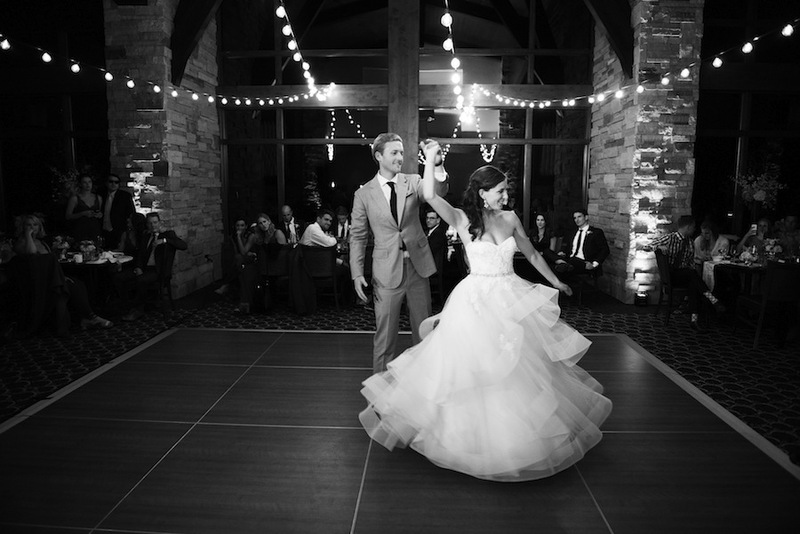 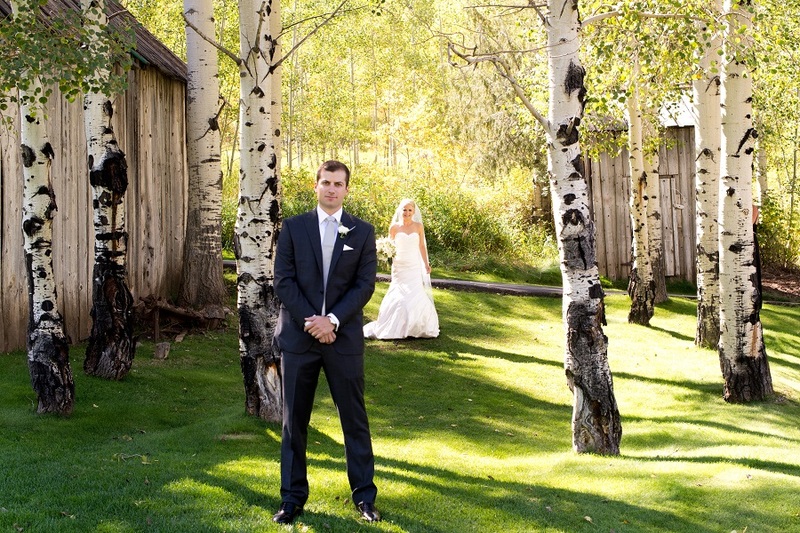 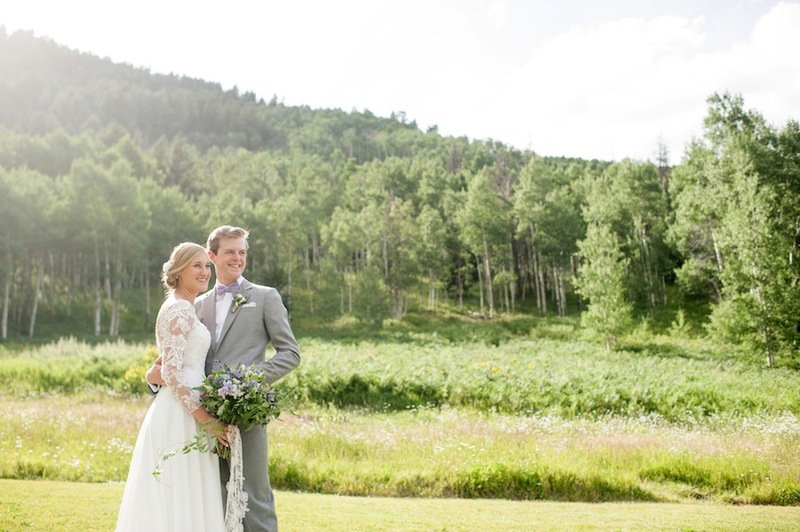 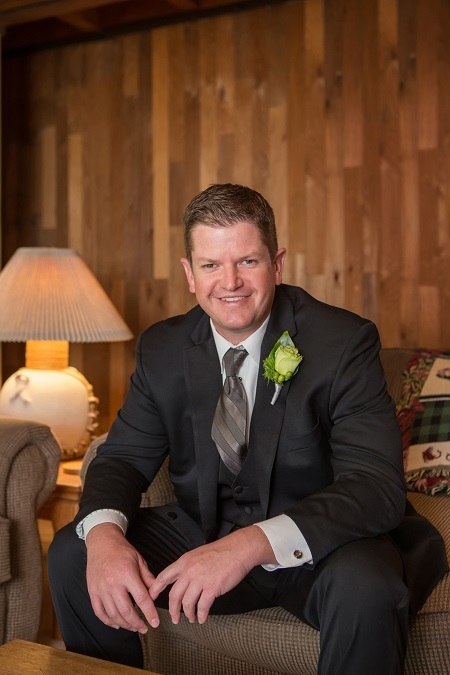 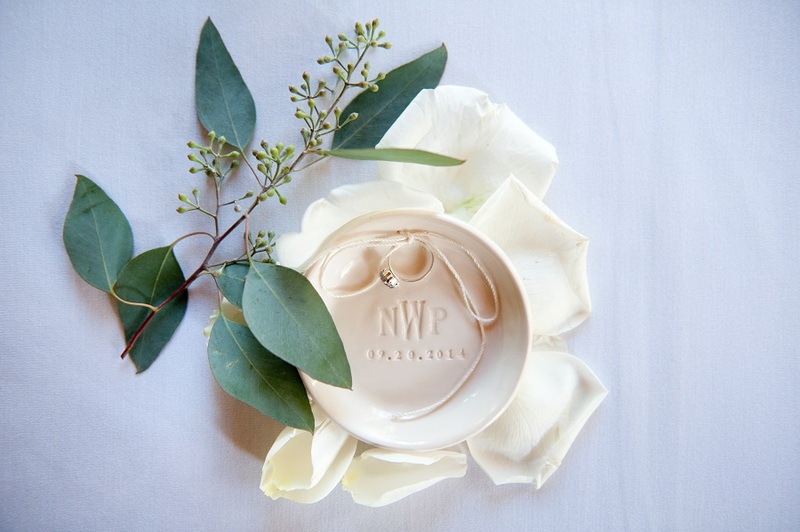 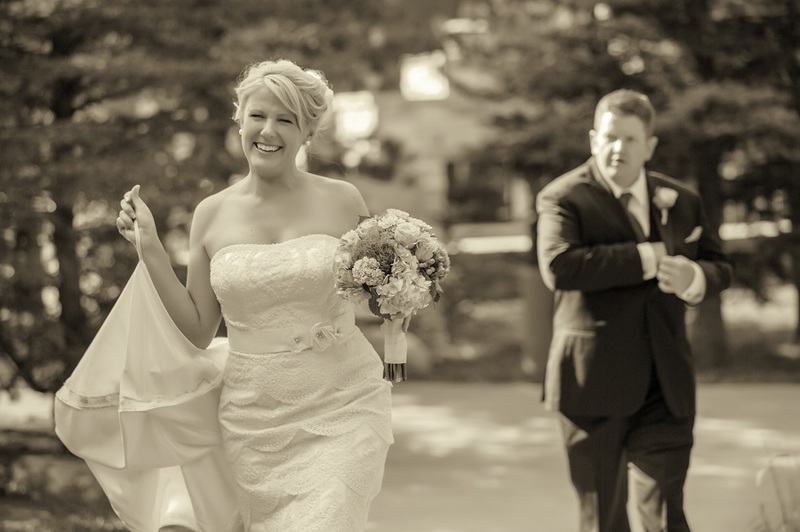 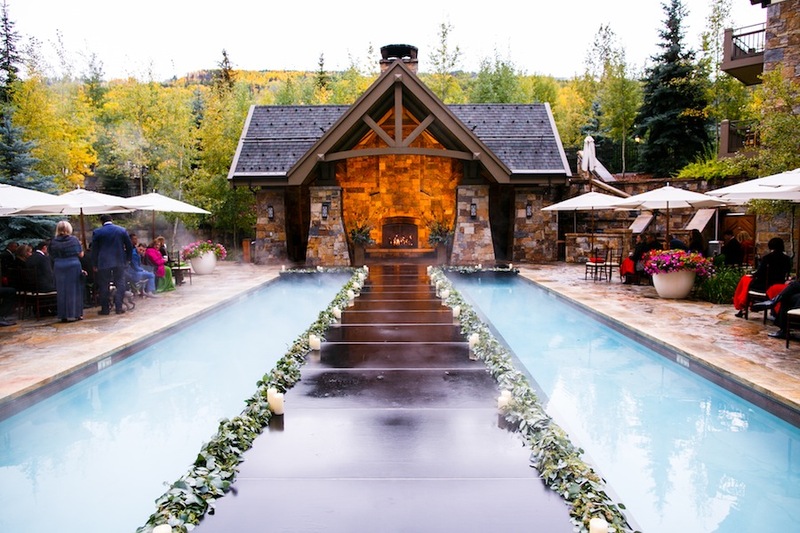 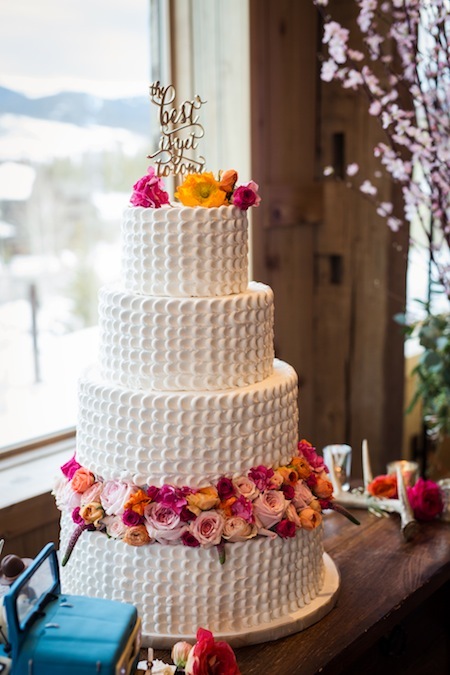 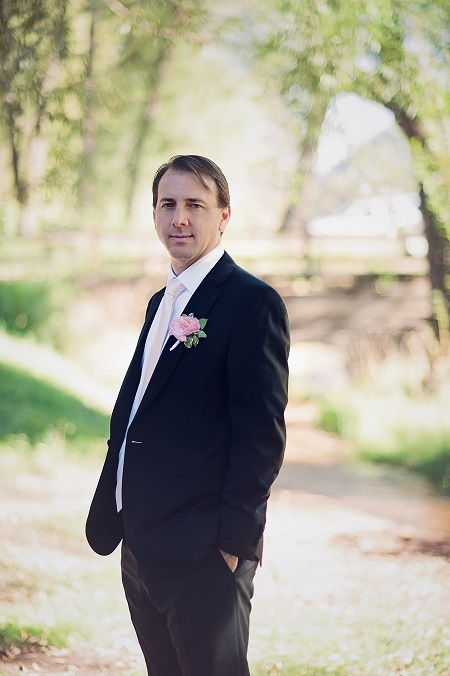 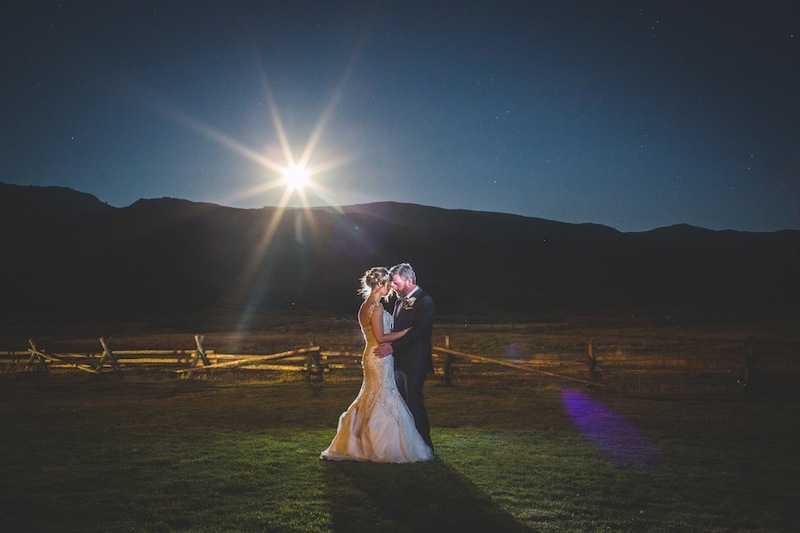 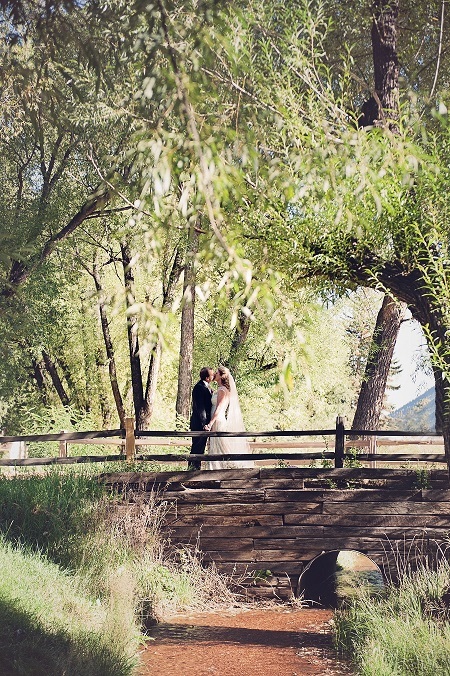 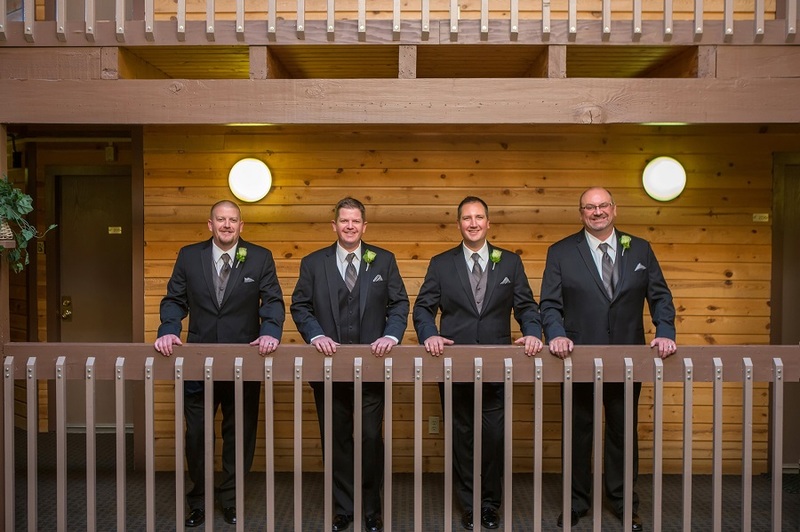 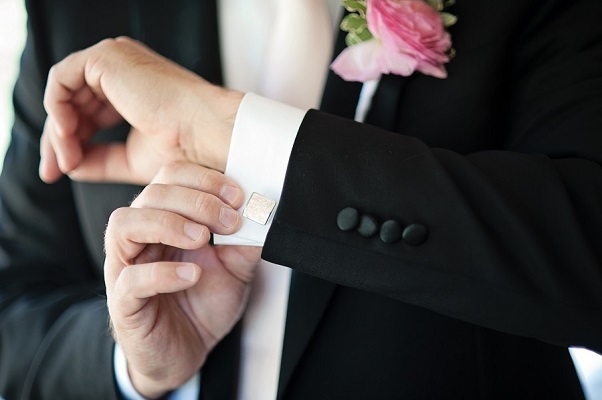 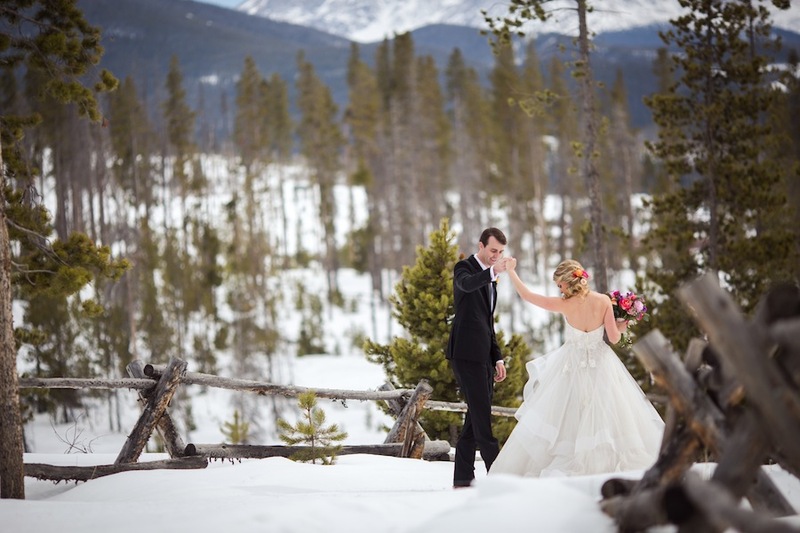 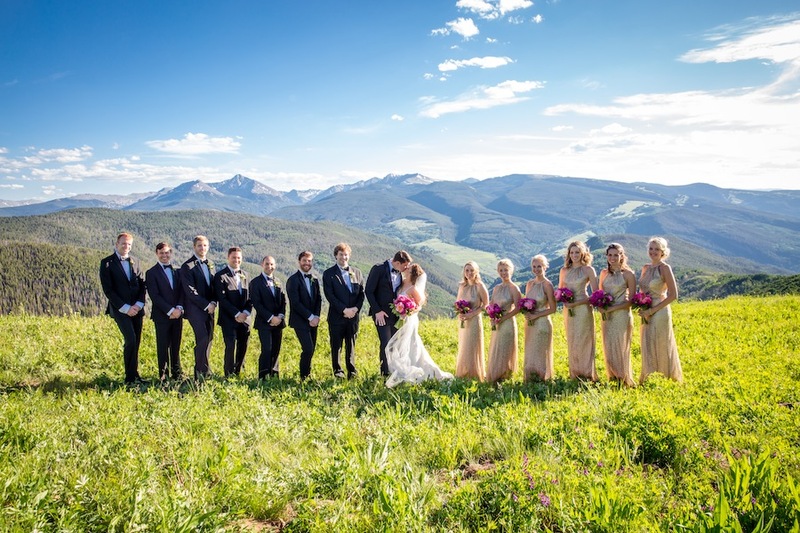 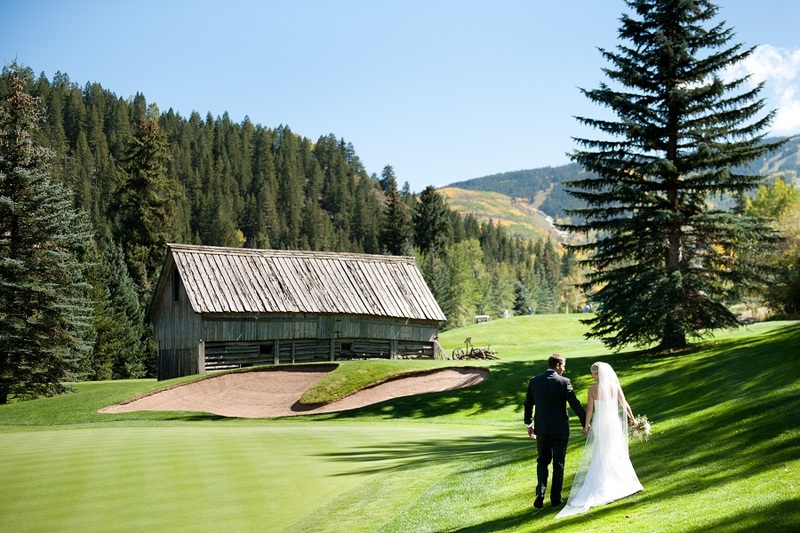 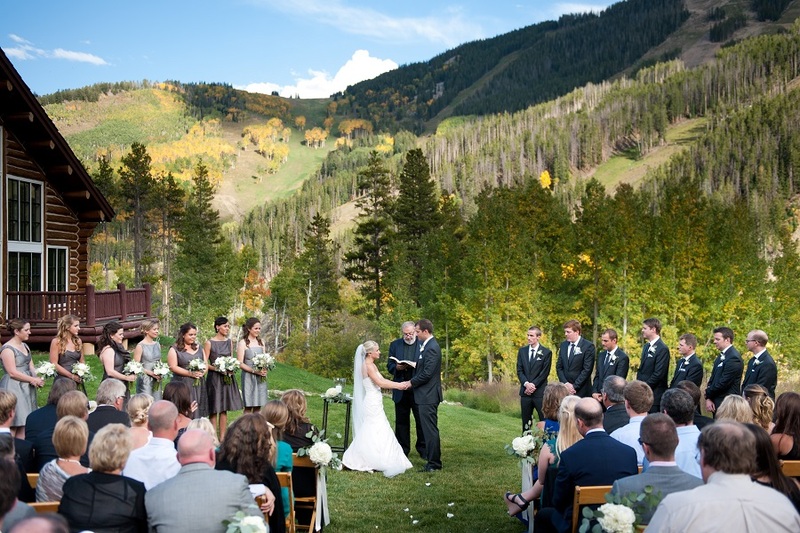 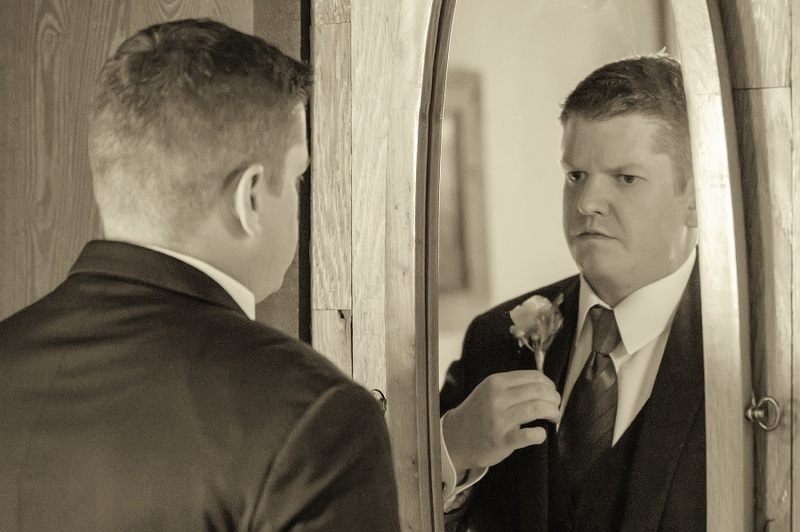 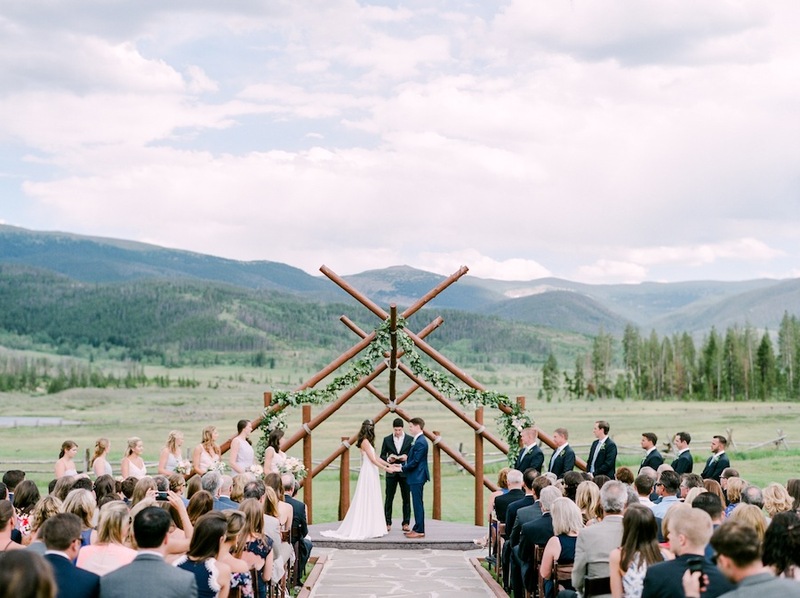 Nicole and Pete exchanged their vows on the lawn of a mountain log cabin, twenty minutes from the bustle of Beaver Creek, captured in brilliant fashion by Brinton Studios. 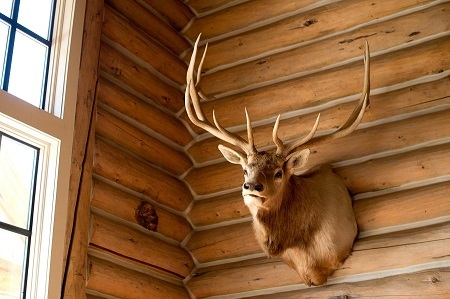 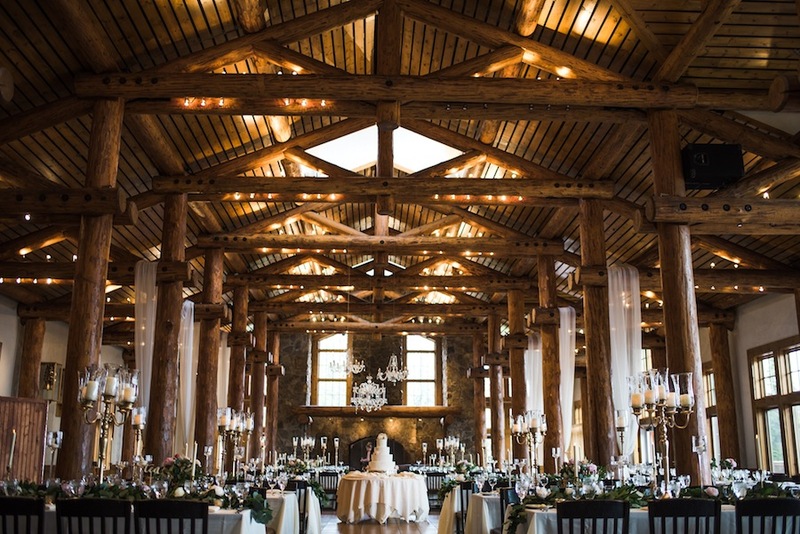 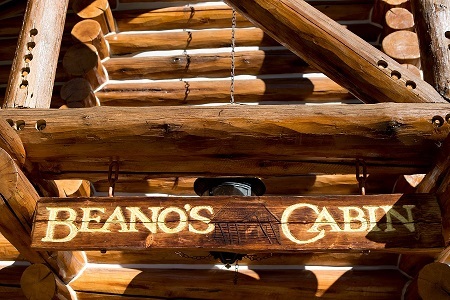 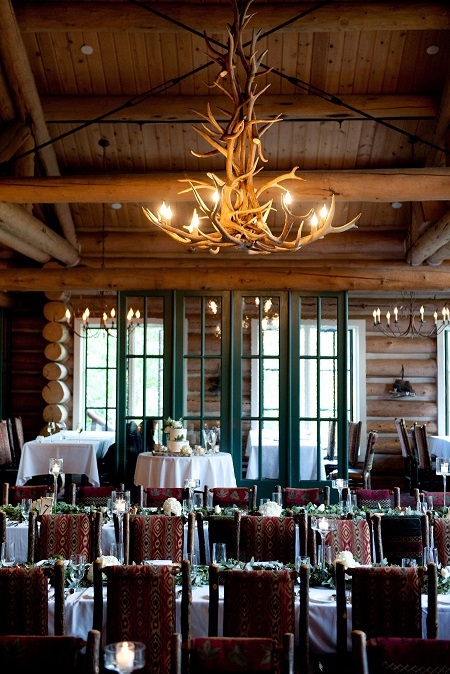 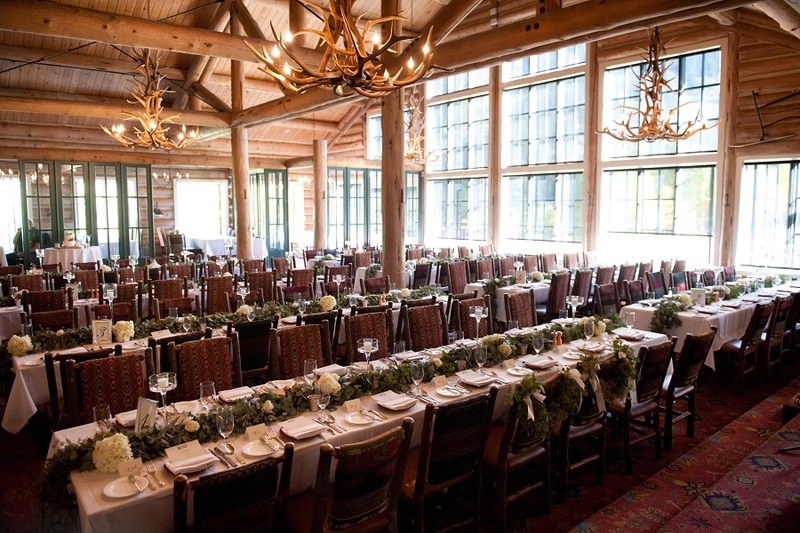 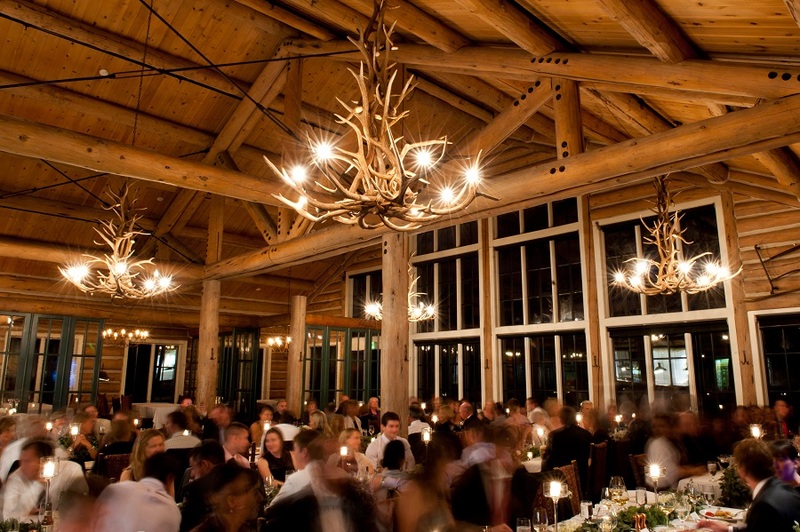 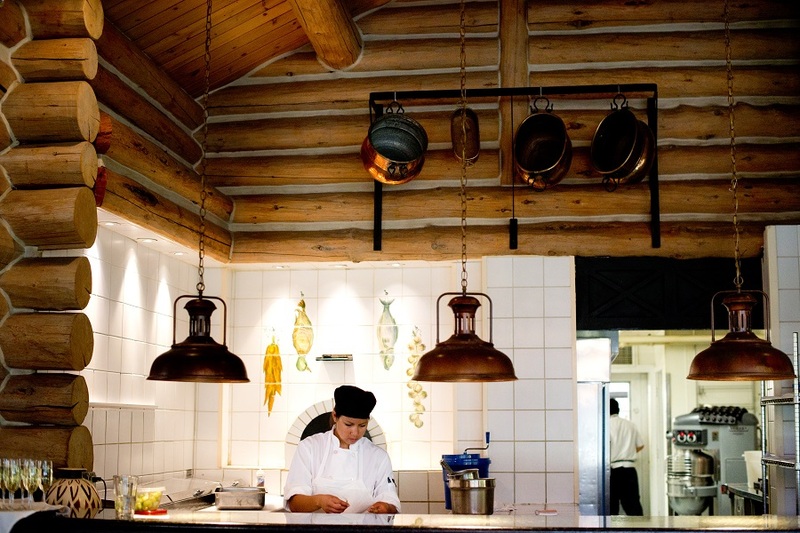 Beano’s Cabin, with its massive log beams, intricate antler chandeliers suspended from vaulted ceilings, and double sided stone fireplace, welcomed guests in the cozy lodge fashion perfect for cooling fall temperatures. 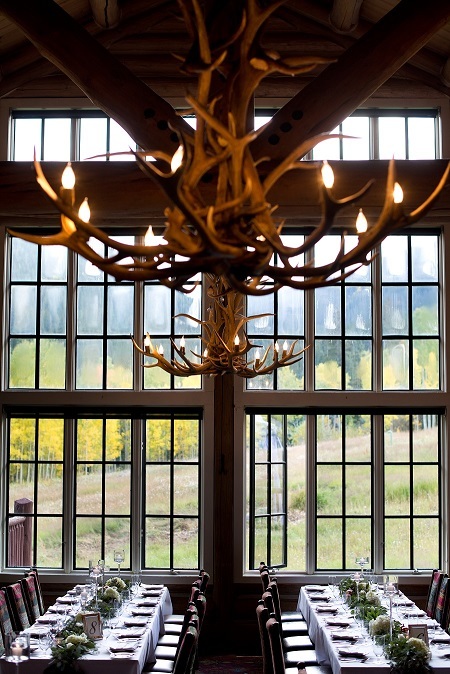 Over one hundred window panes with towering views of ski runs edged in golden aspen, a five course gourmet dinner prepared in a guest-facing kitchen with pristine tiles and suspended copper pots, elegant eucalyptus table runners accented in white hydrangea and candlelight (from Statice Floral), and the laughter and easy flow of conversation delighted the senses. 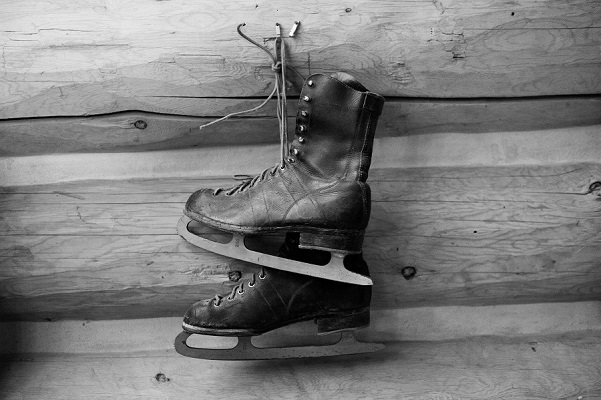 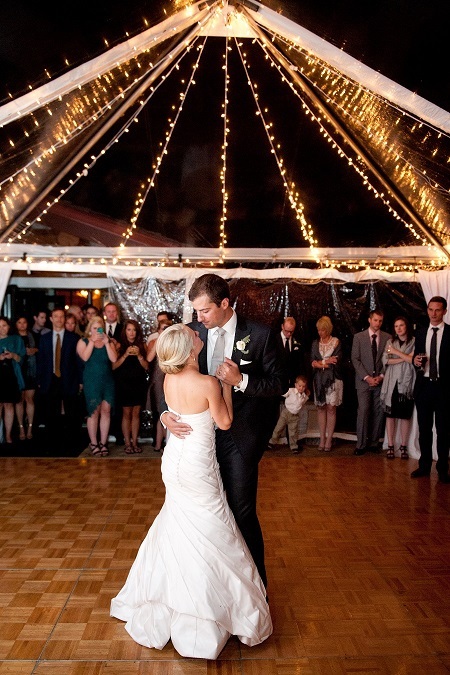 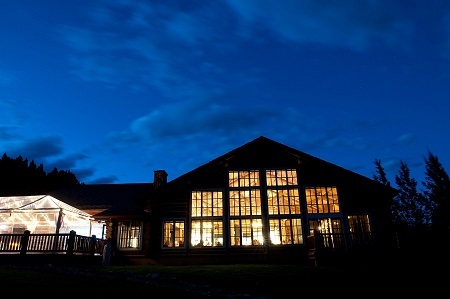 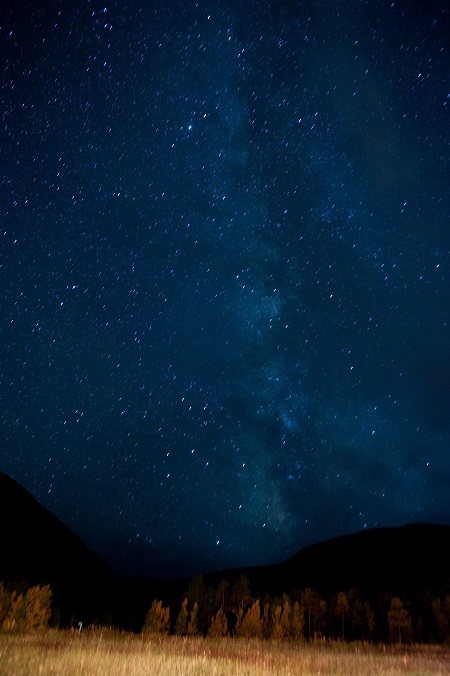 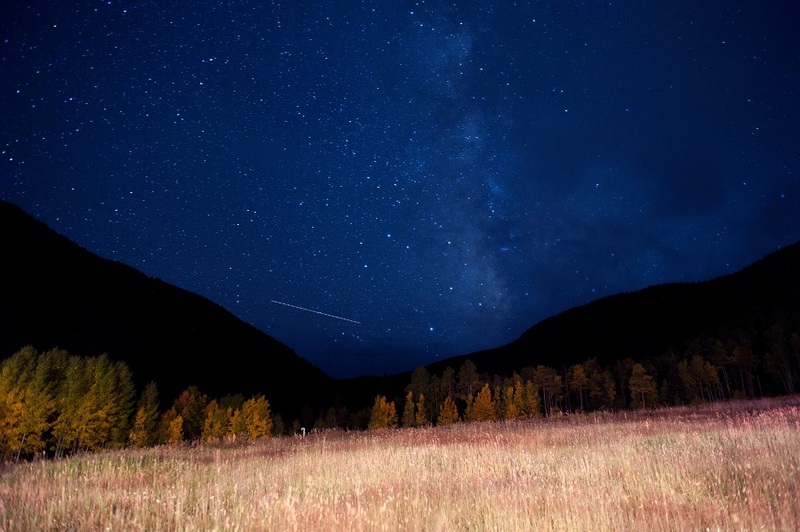 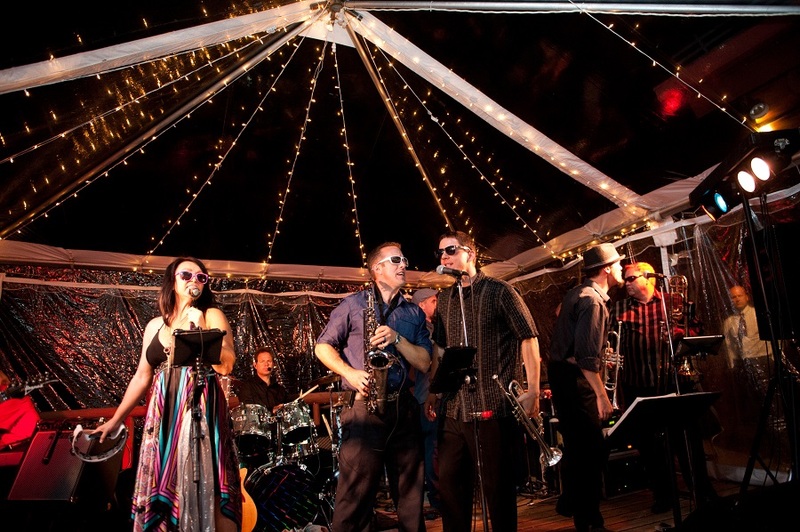 Guests ended the evening dancing to the exceptional music of Homeslice band under a canopy of market lights on the cabin deck, stealing an occasional breath of cool mountain air under the romantic twinkle of the Milky Way and sudden burst of a shooting star. 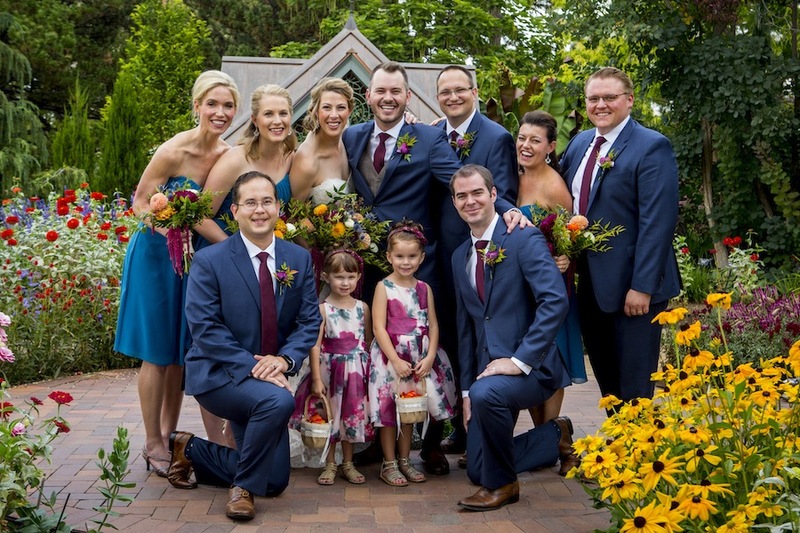 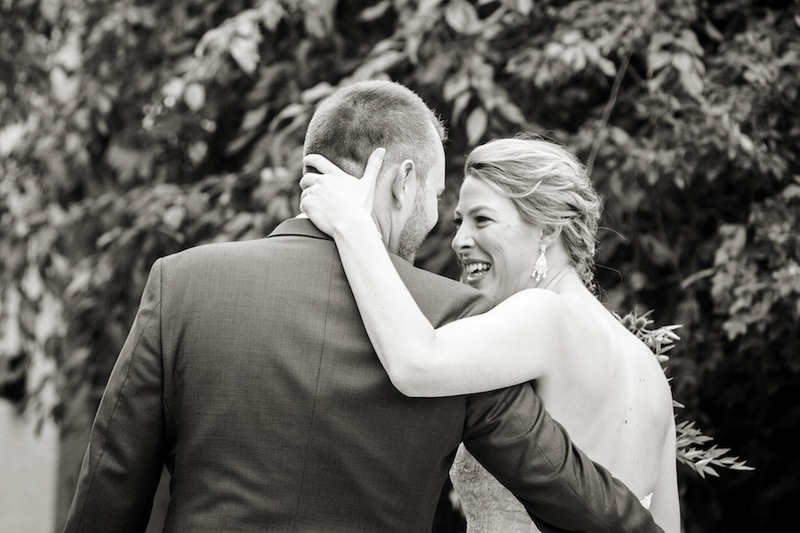 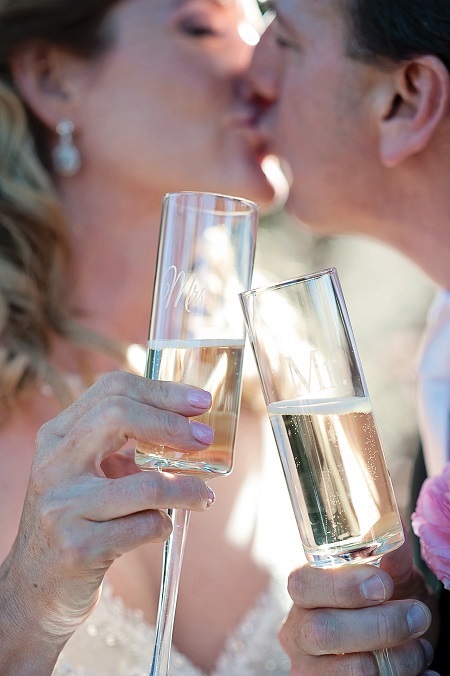 For us, Nicole & Pete’s wedding had the added delight of catching up with some of our former client couples who came as guests and we’re looking forward to more fun in 2015 when we have the honor of planning two of the bridesmaids’ weddings. 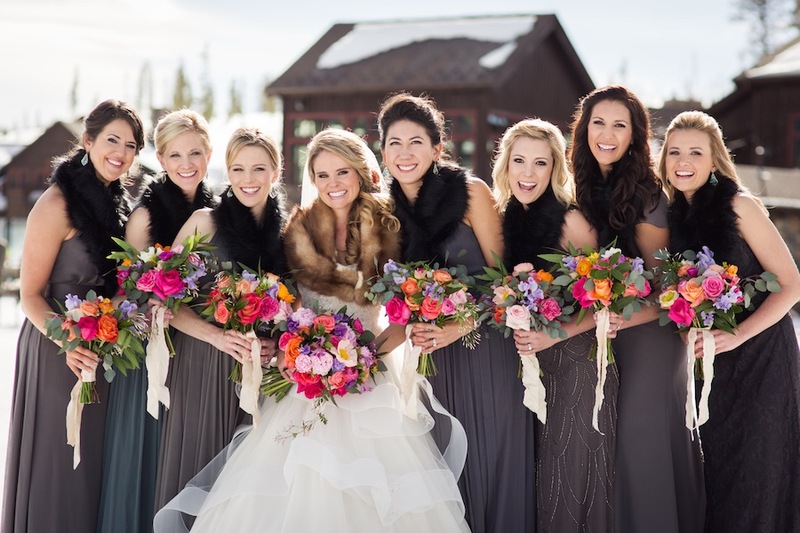 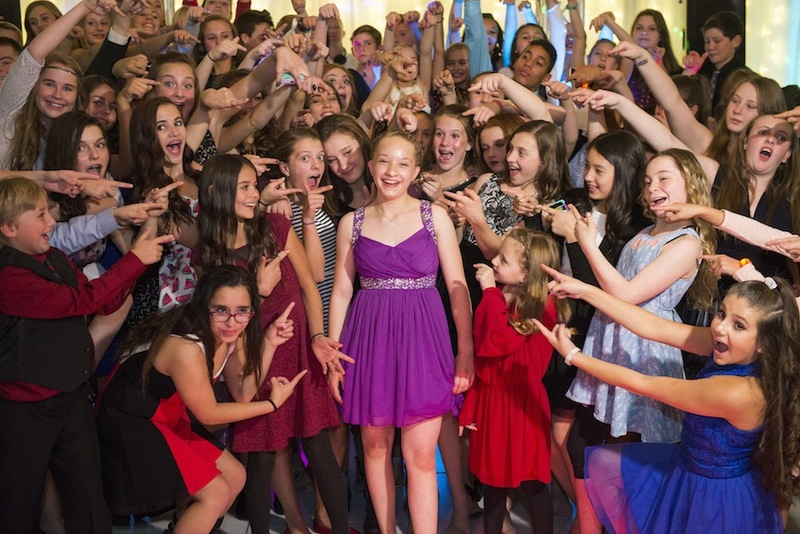 We love this group of stylish fun-loving friends! 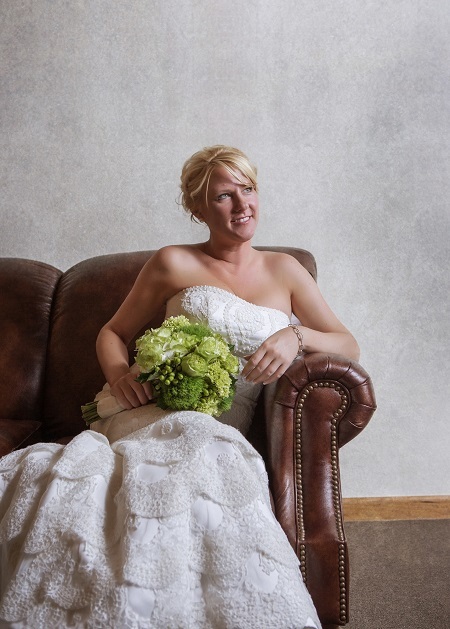 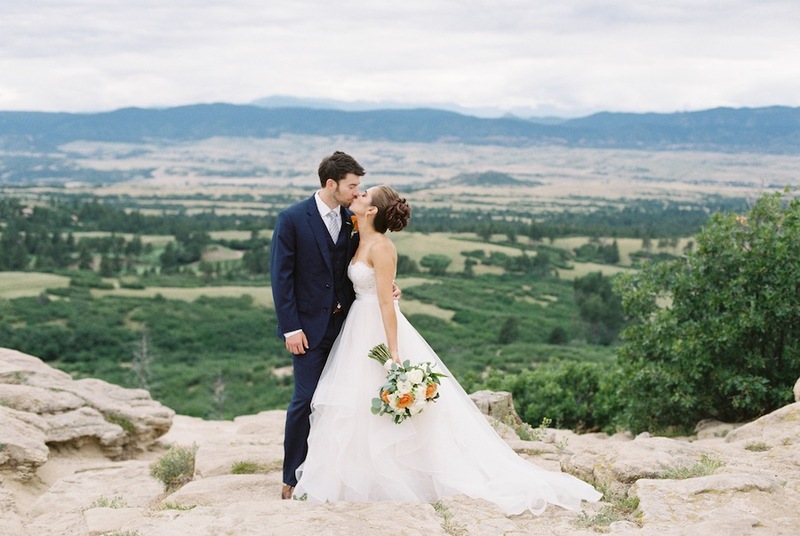 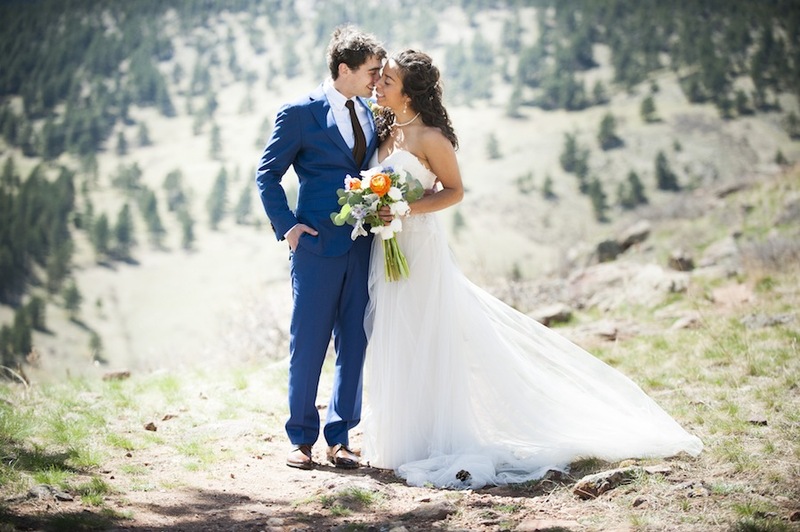 Anna and Corey are a fun and adventurous couple whose itinerary includes Broncos tailgate parties, growing their own salsa ingredients, and llama racing in poodle skirts. 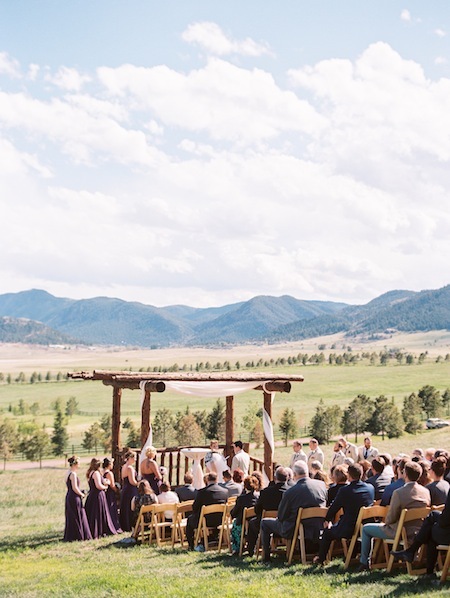 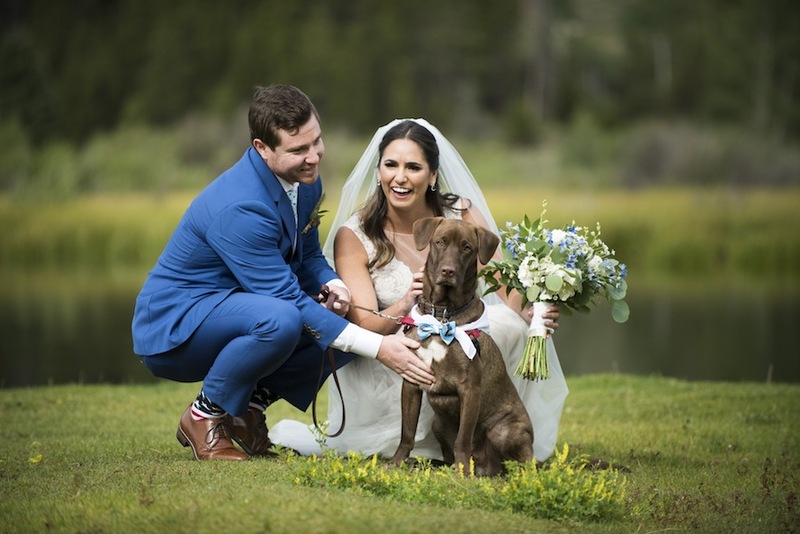 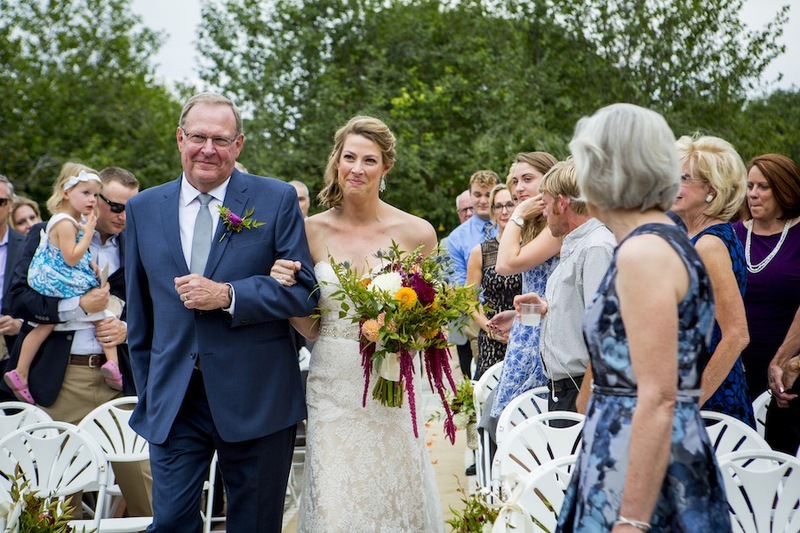 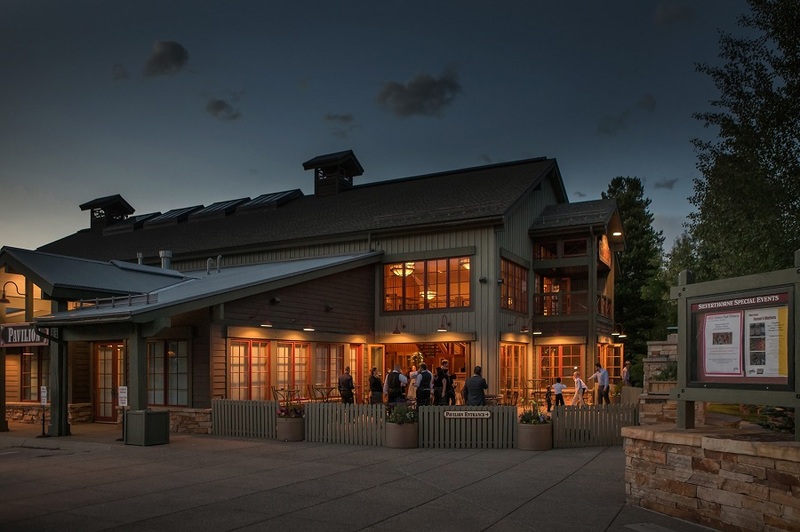 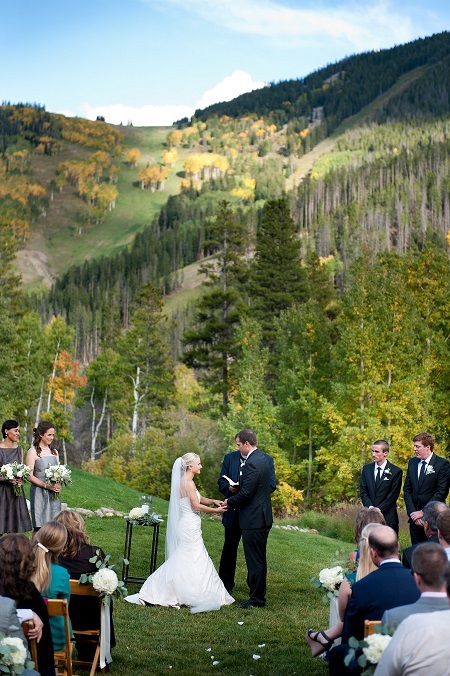 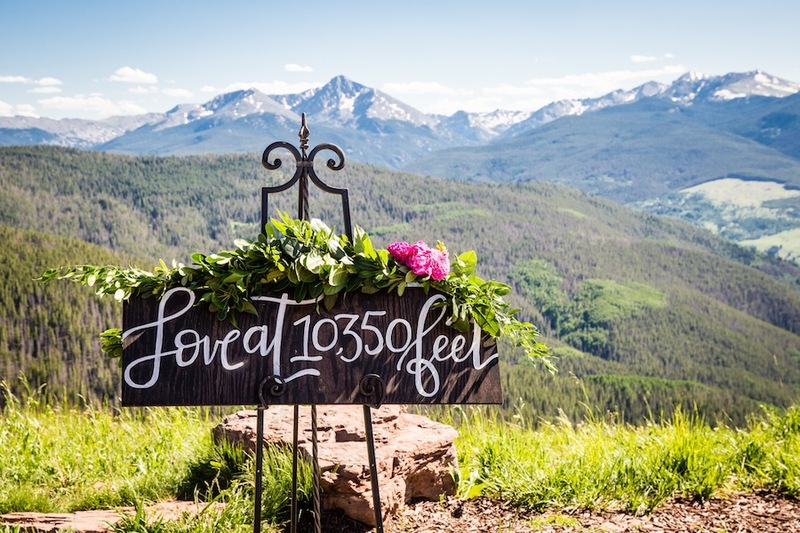 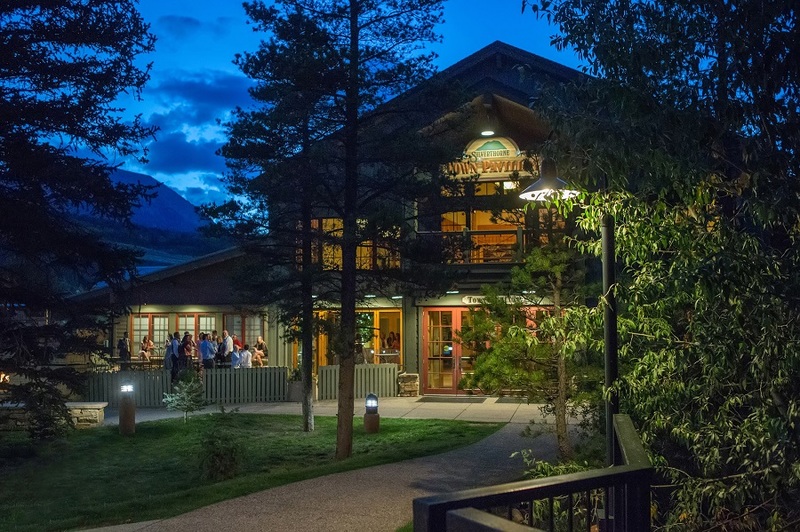 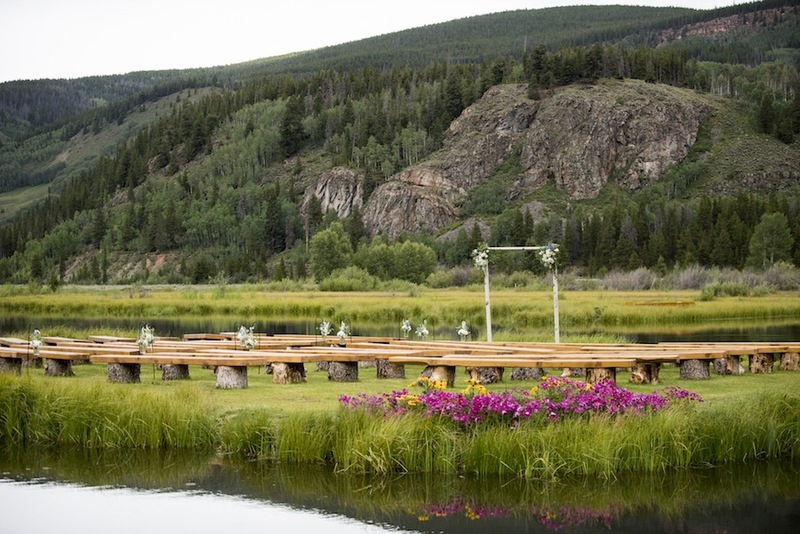 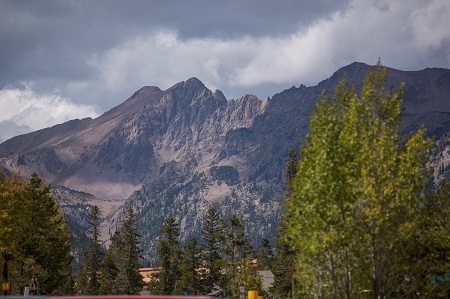 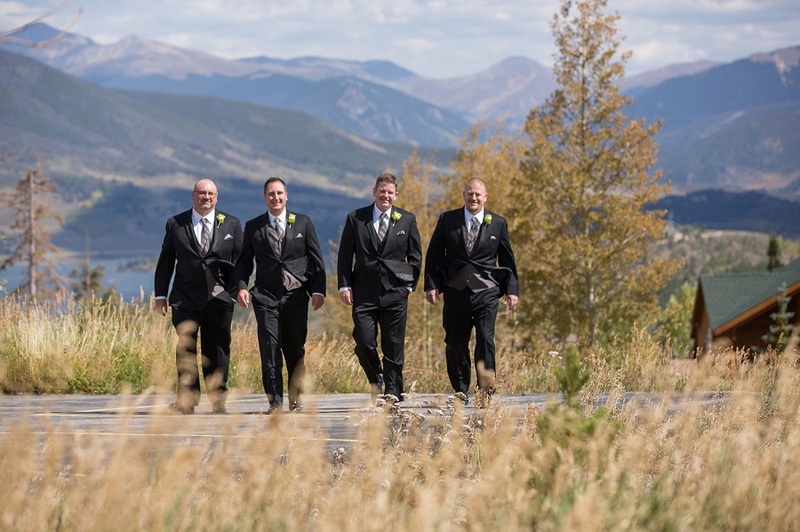 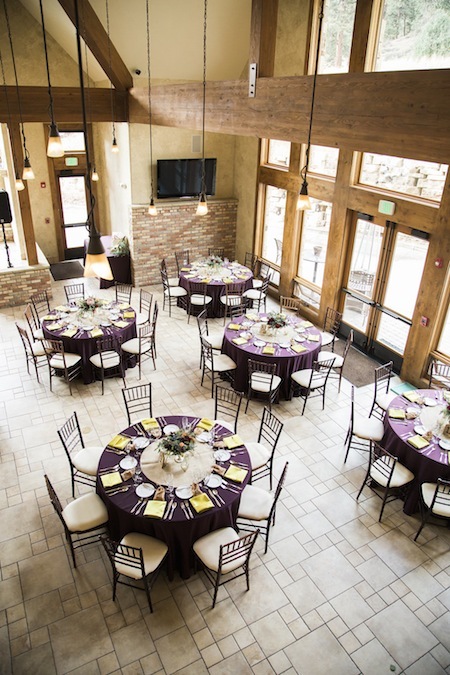 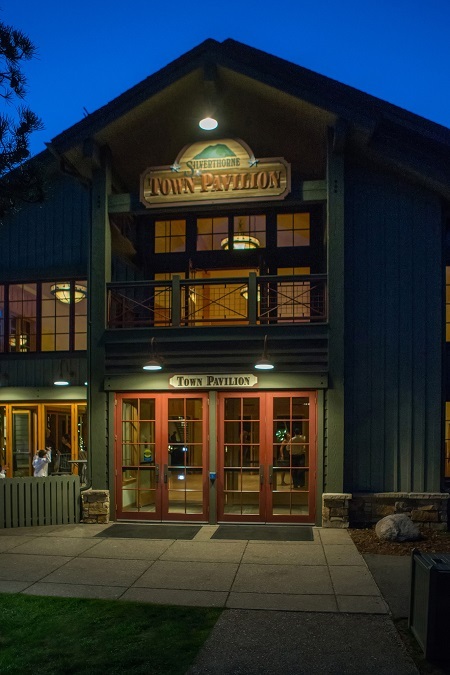 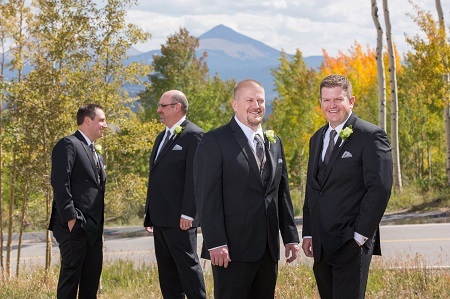 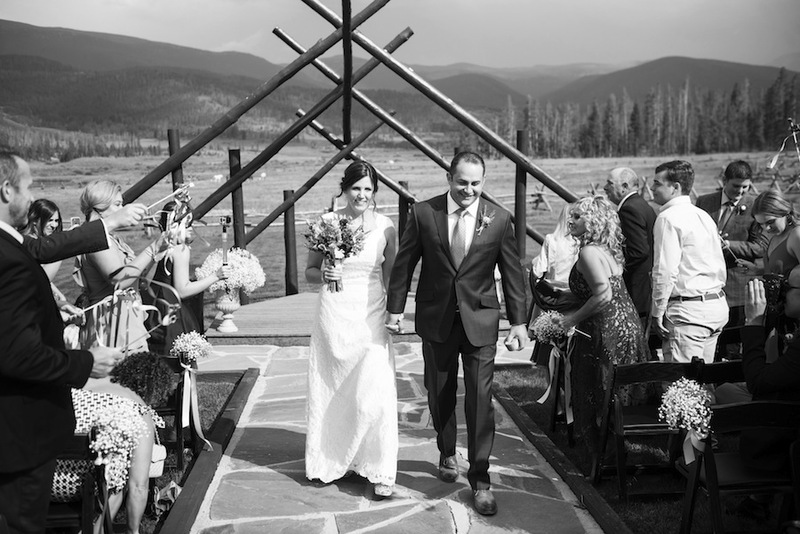 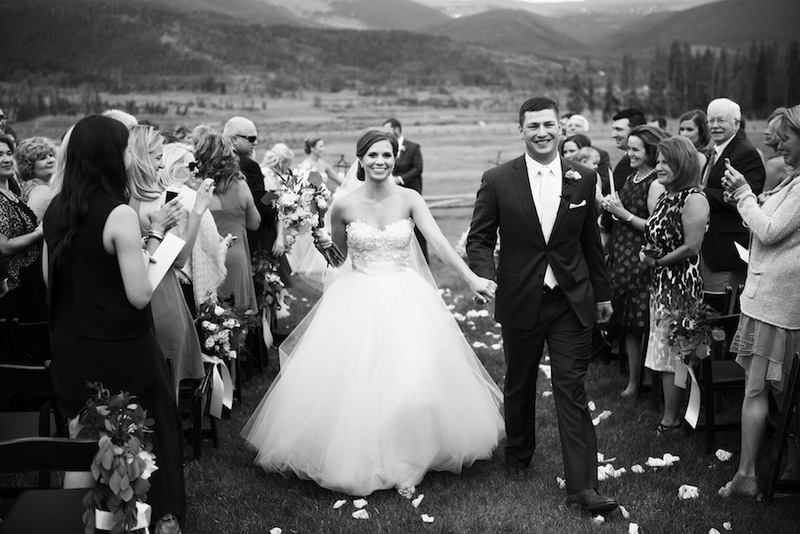 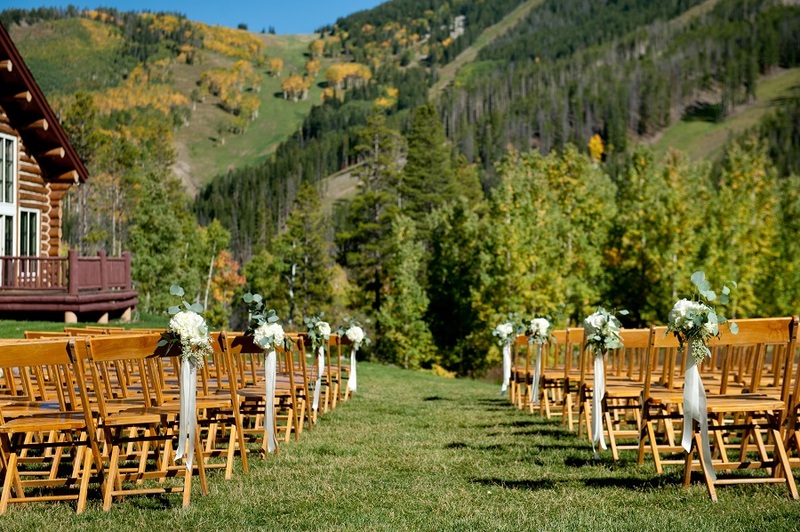 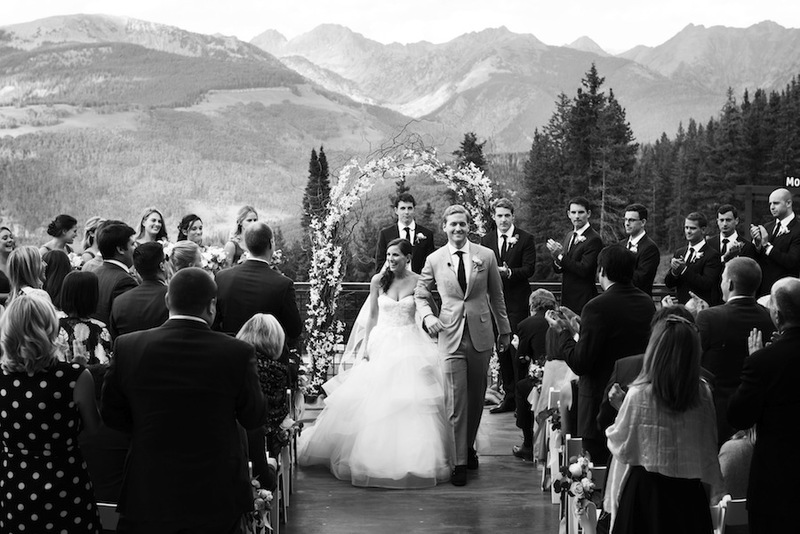 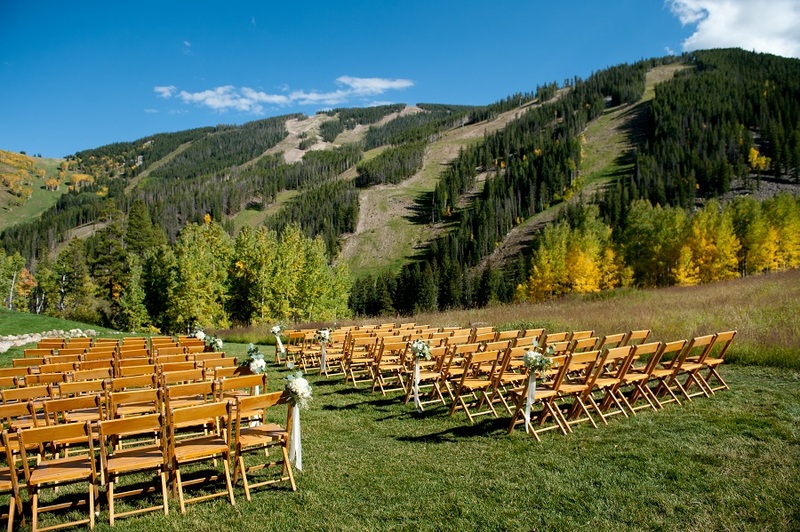 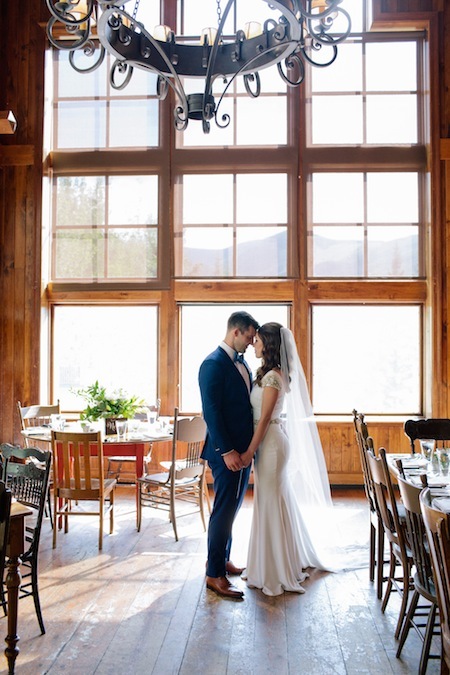 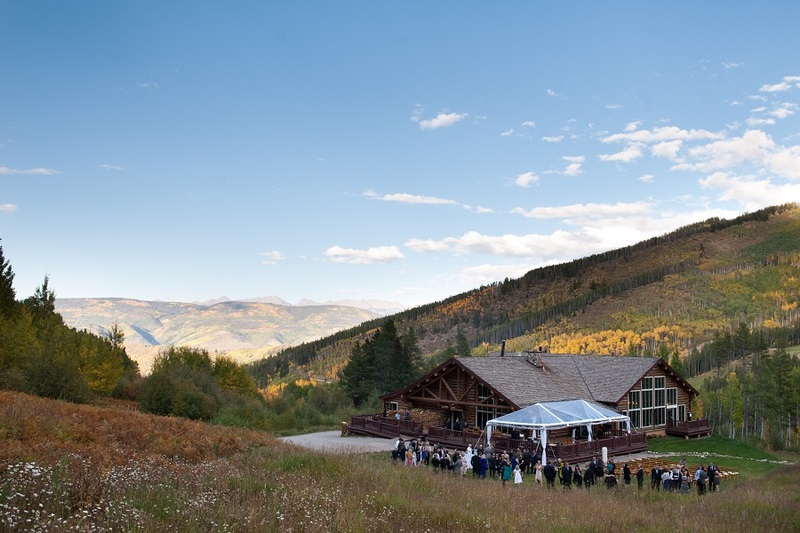 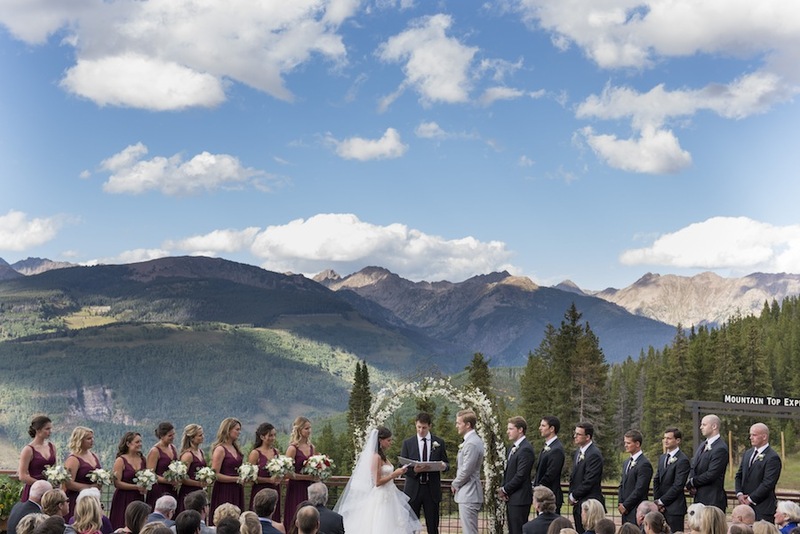 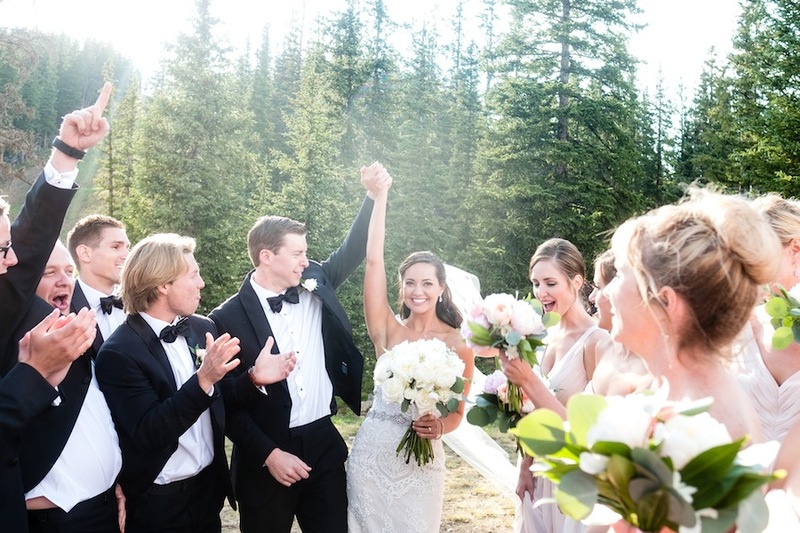 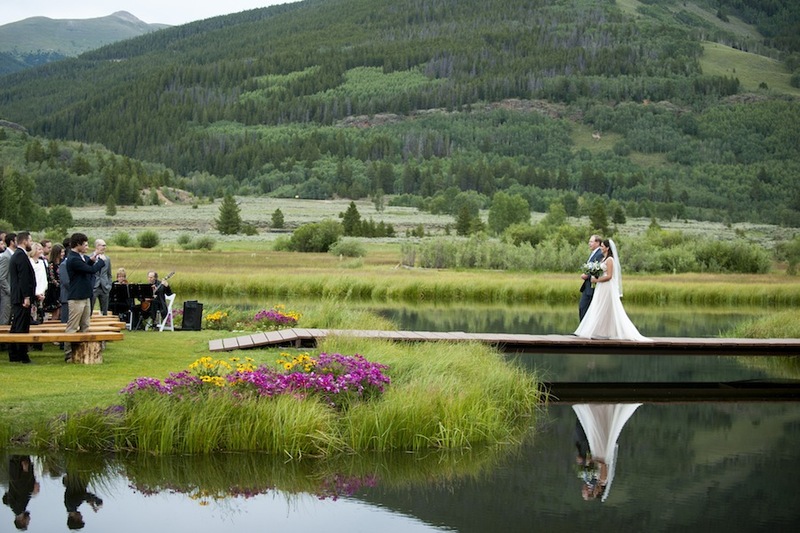 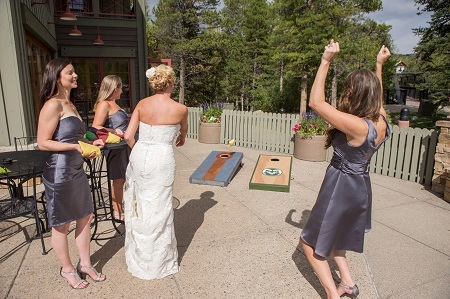 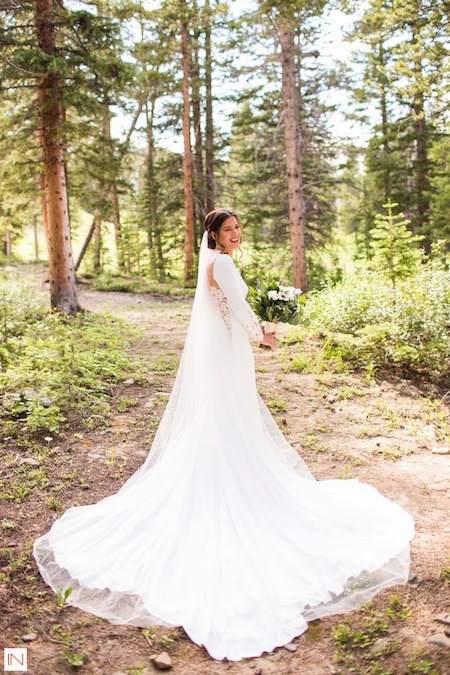 They also love exploring mountainous back roads together so when it came time to get married, the pair invited friends and family to a weekend of fly fishing, kayaking, fall hiking, and celebratory drinking at a local mountain brewery as a prelude to their Silverthorne Pavilion wedding. 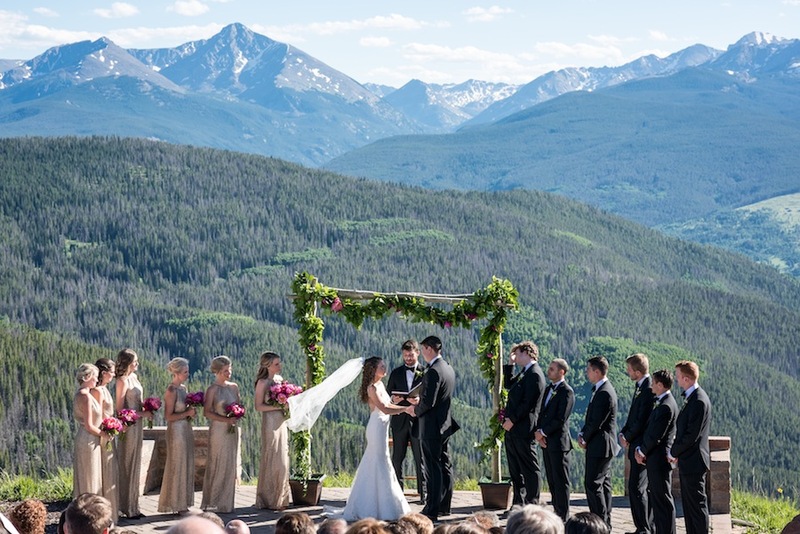 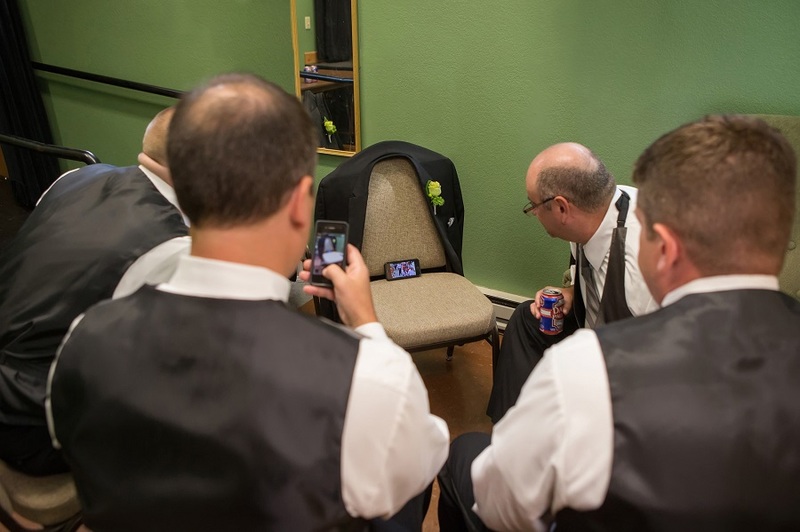 As another thoughtful gesture to their guests, Anna and Corey had their officiant announce the Broncos home game half-time score (confirmed by the groomsmen watching second quarter action on an iPhone) before the ceremony began. 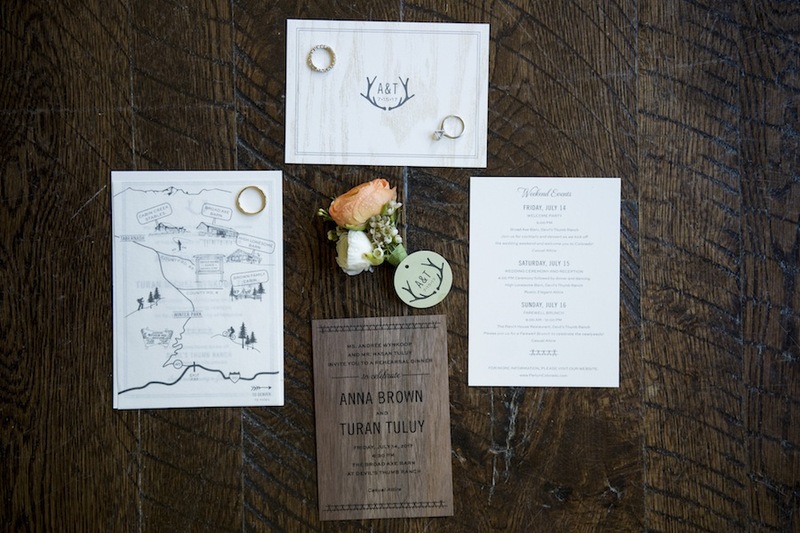 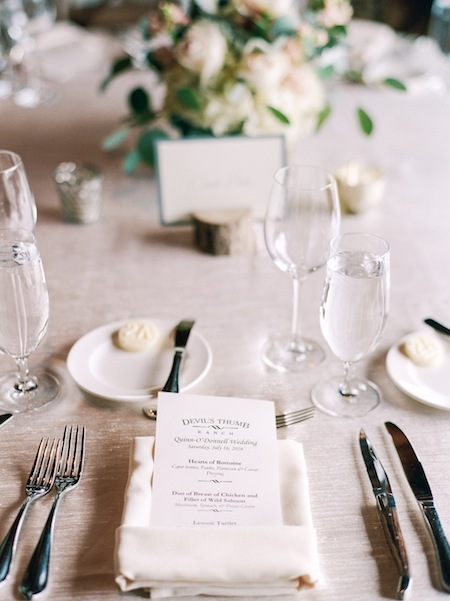 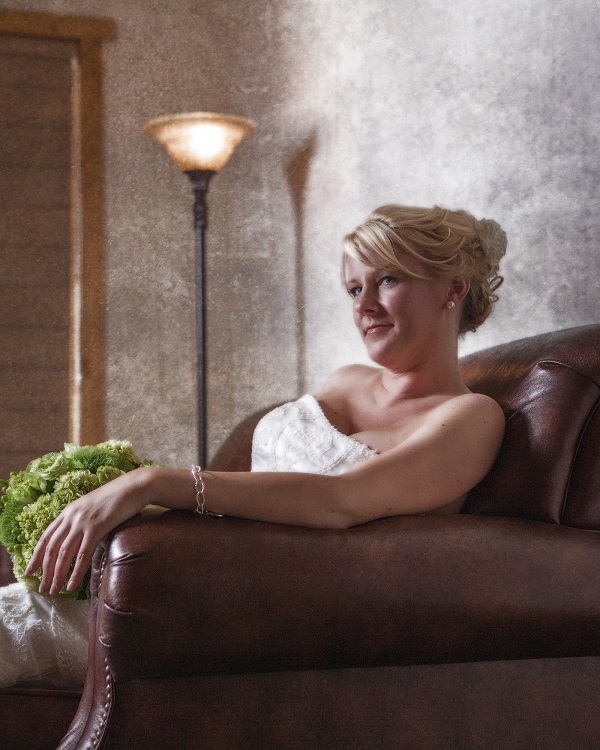 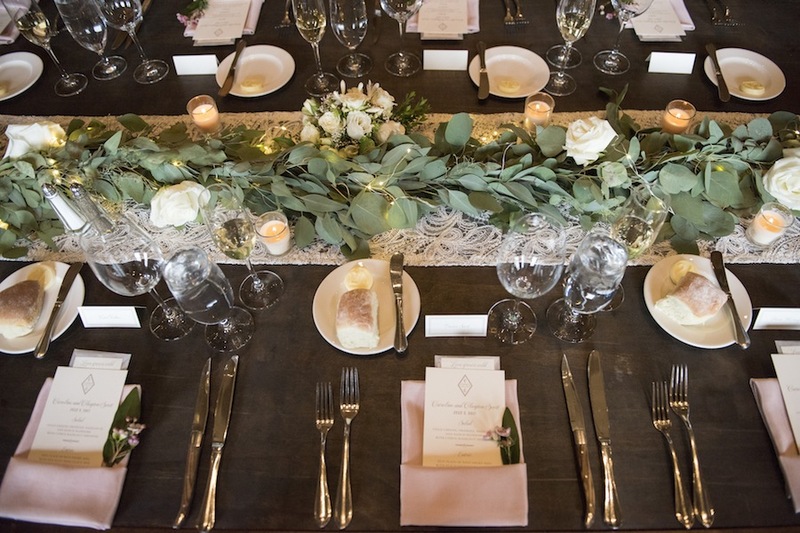 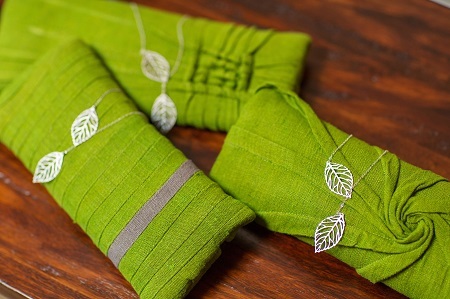 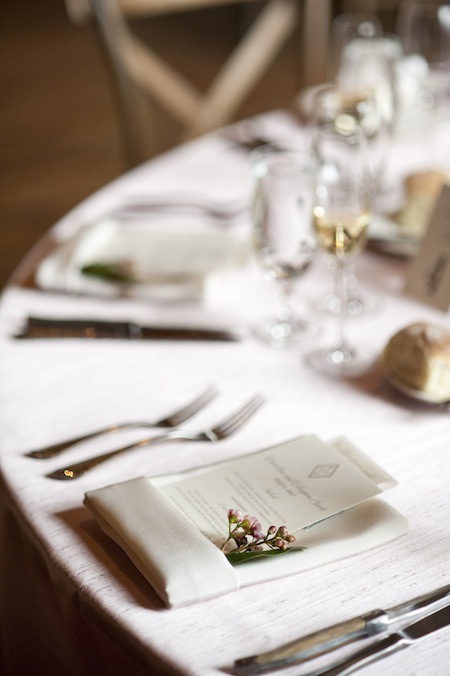 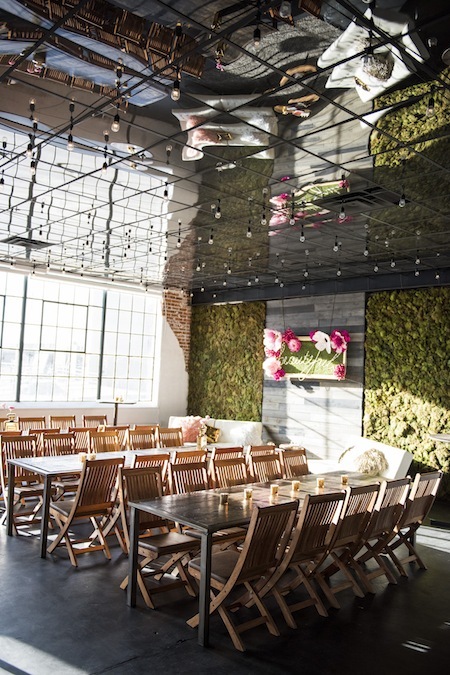 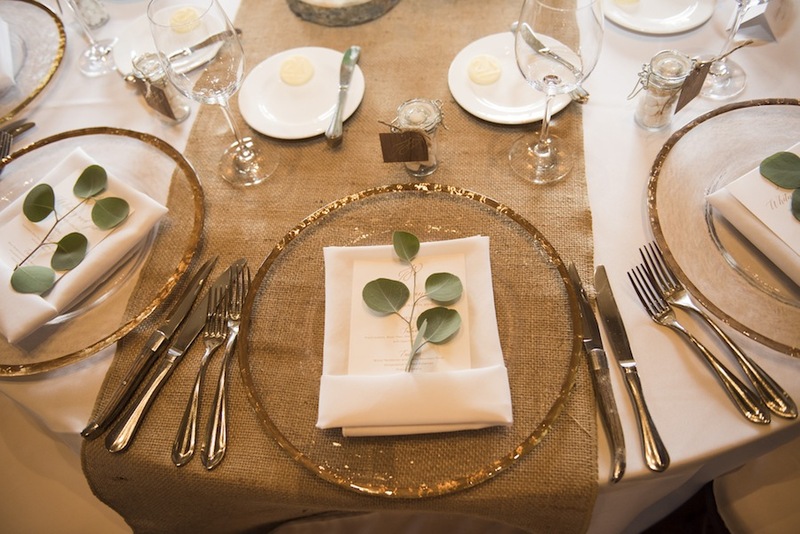 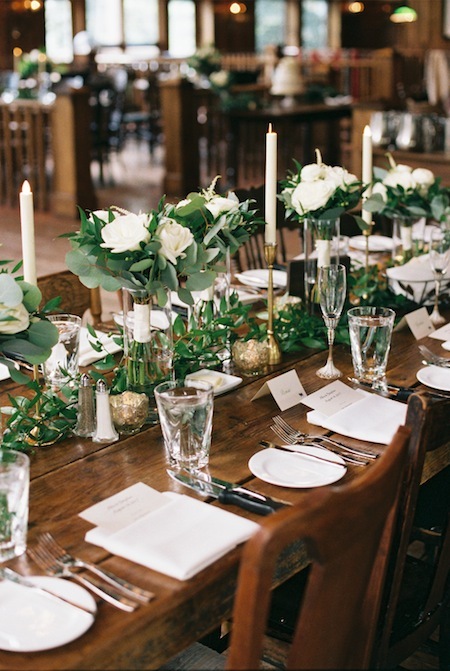 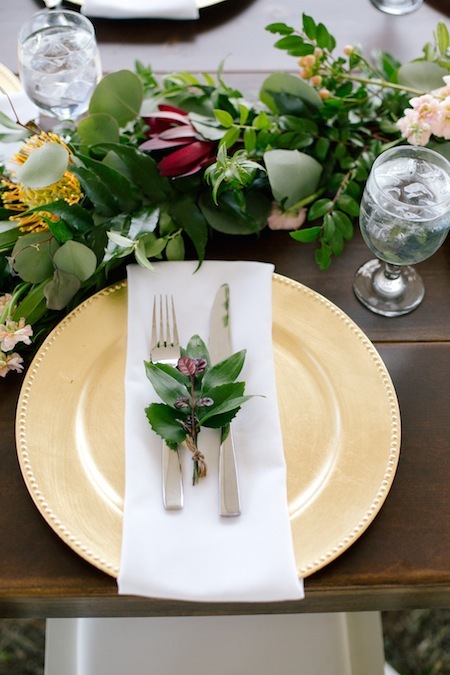 Anna, a design professional with seasoned catering experience, styled her day using natural elements with a modern twist. 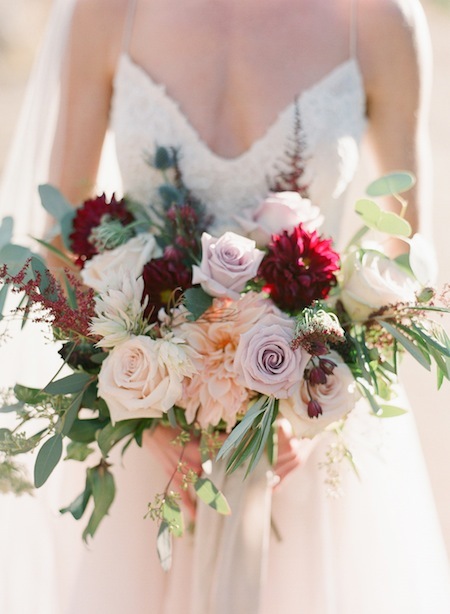 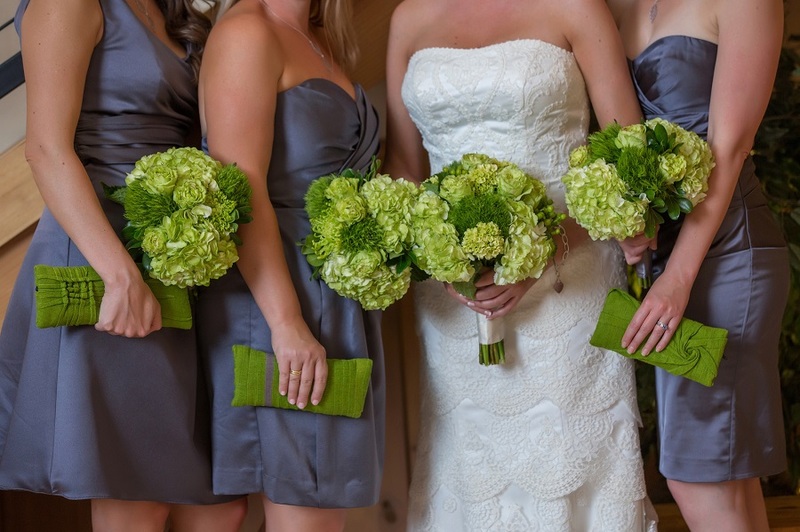 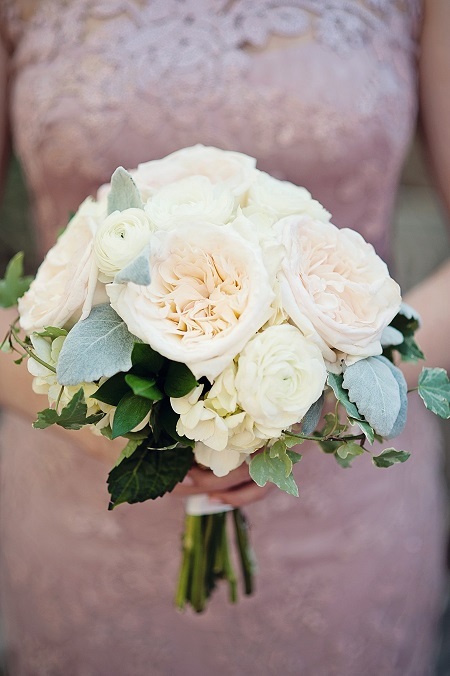 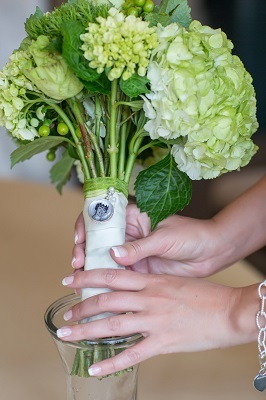 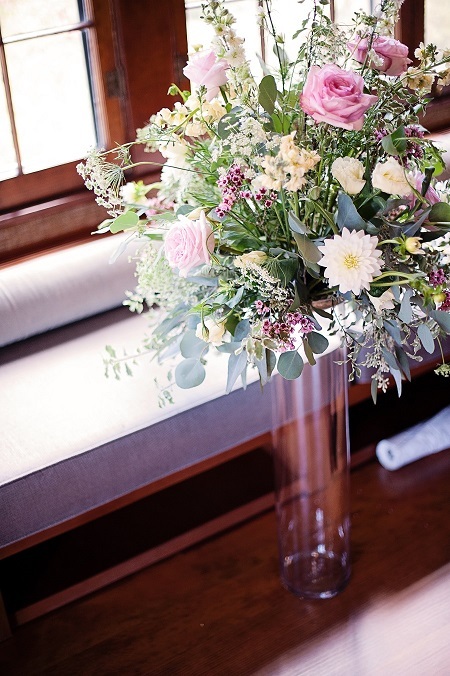 Stunning green bouquets of roses, hydrangea, dianthus, and berries from Garden of Eden featured a fascinating pop of color and texture against the sophisticated charcoal palette. 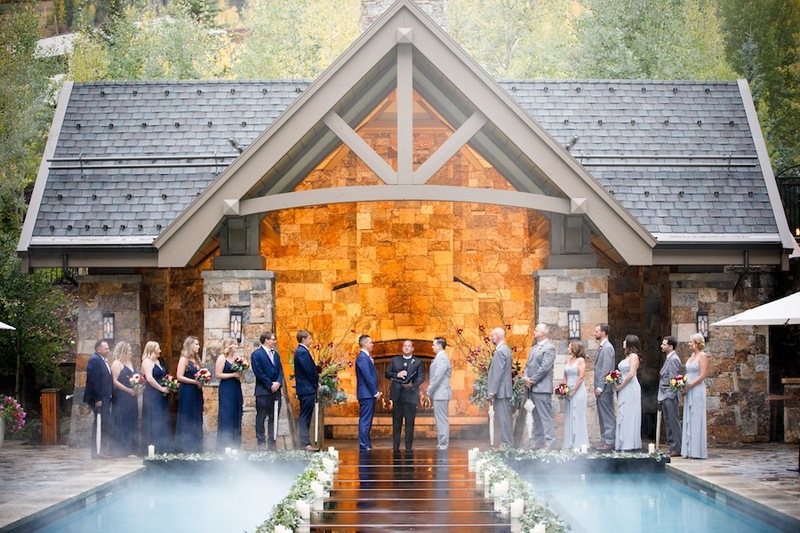 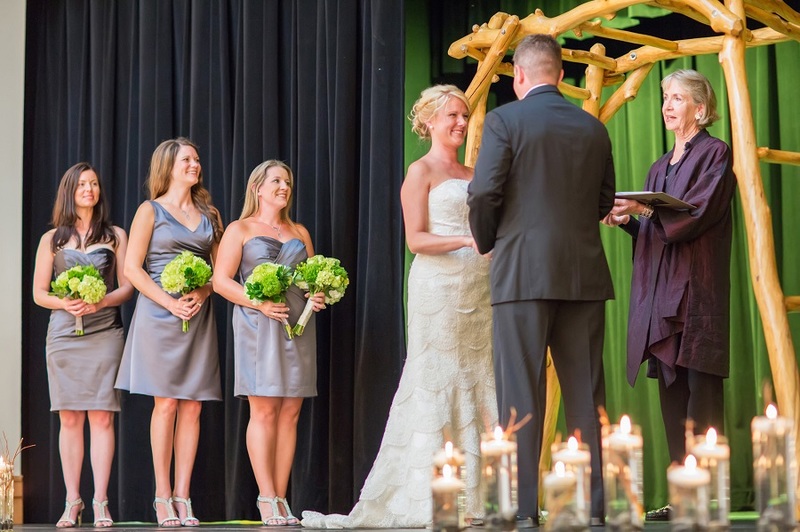 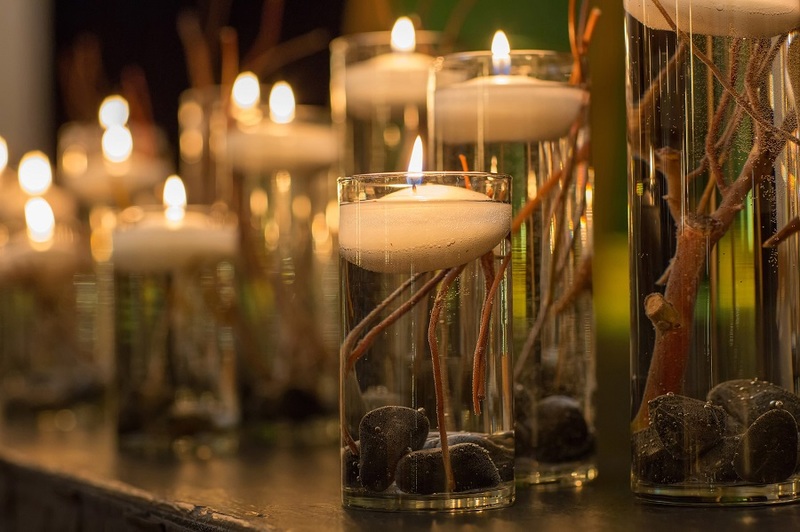 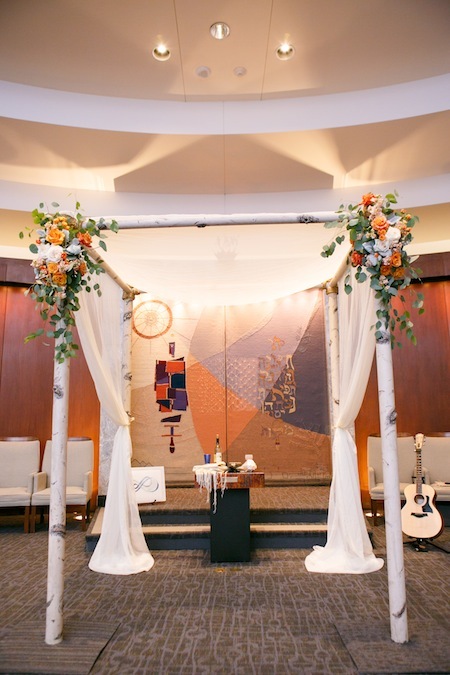 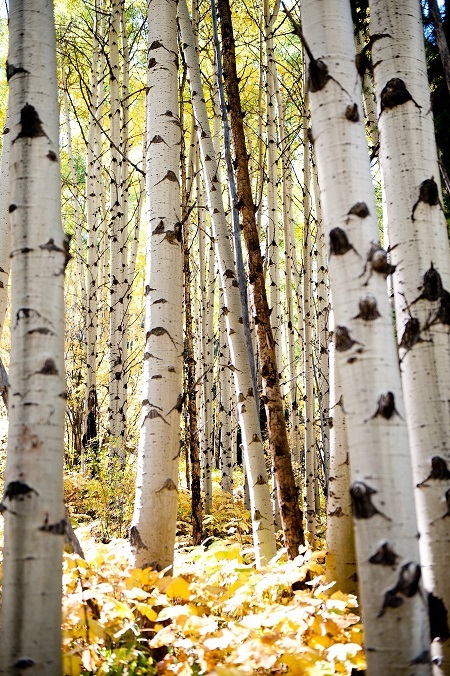 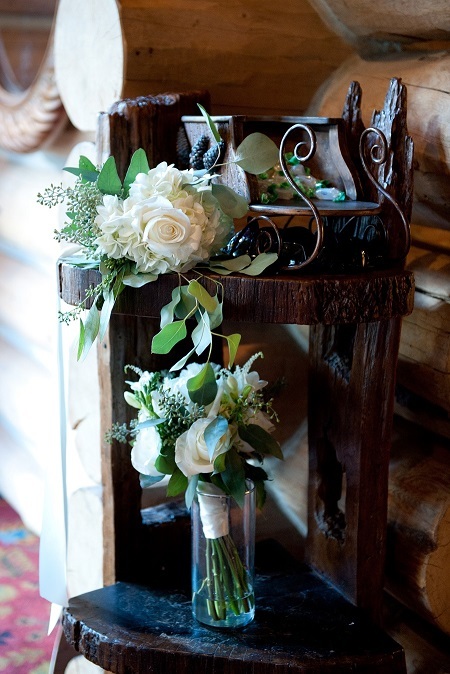 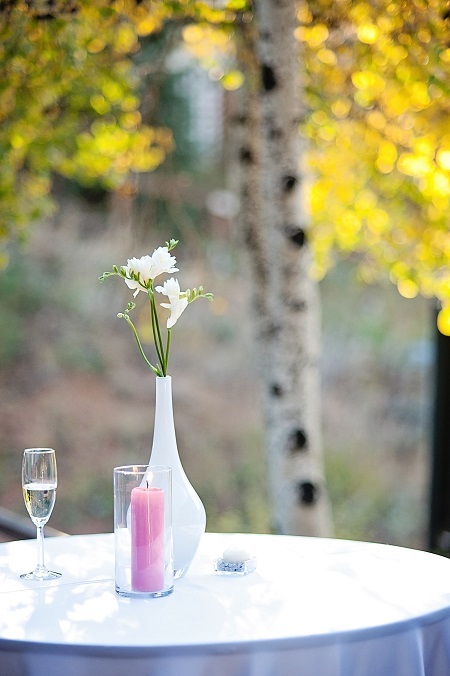 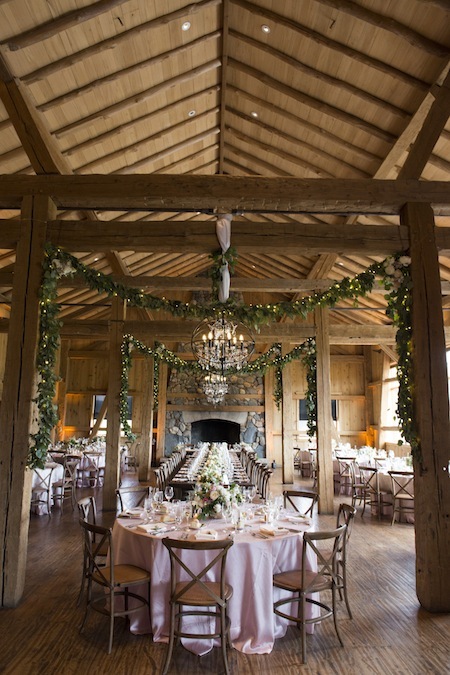 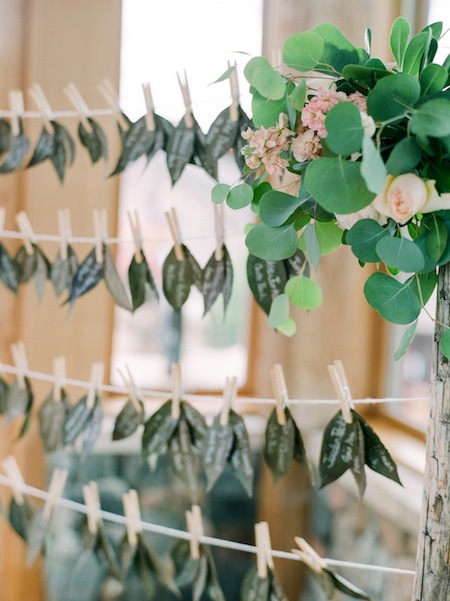 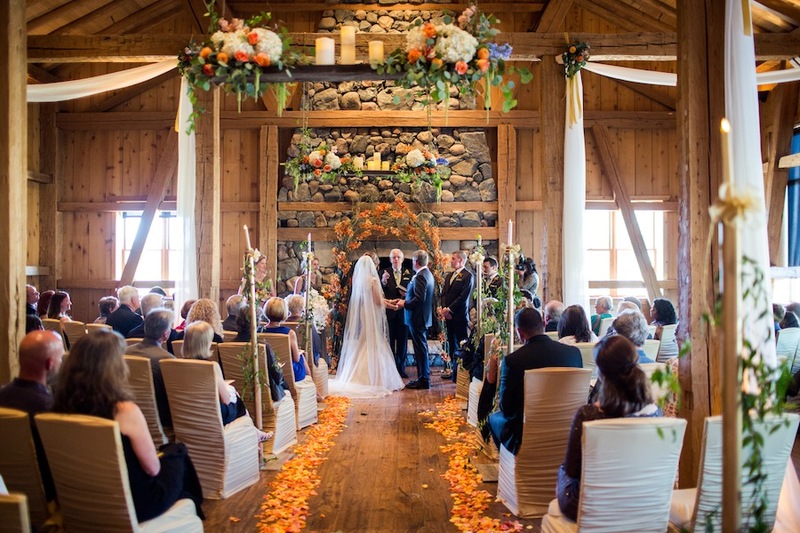 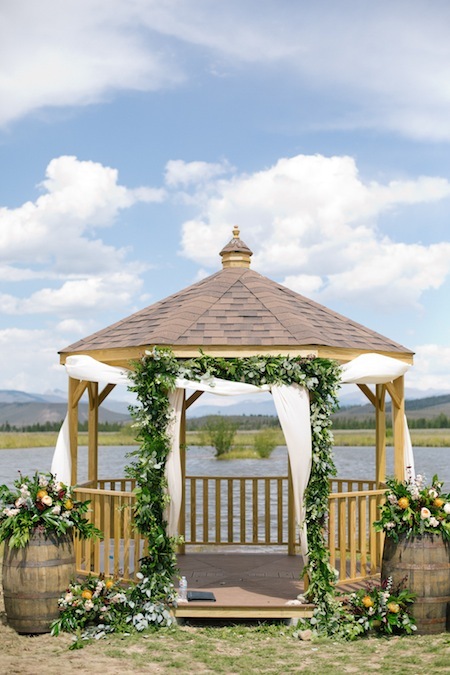 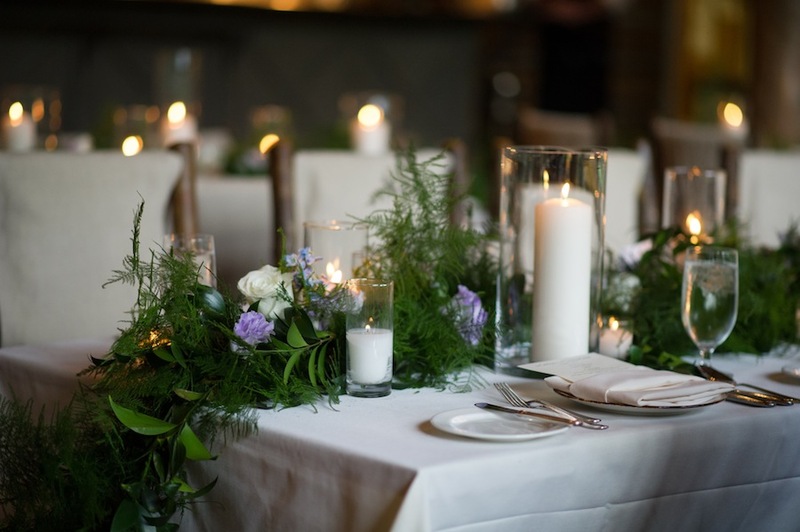 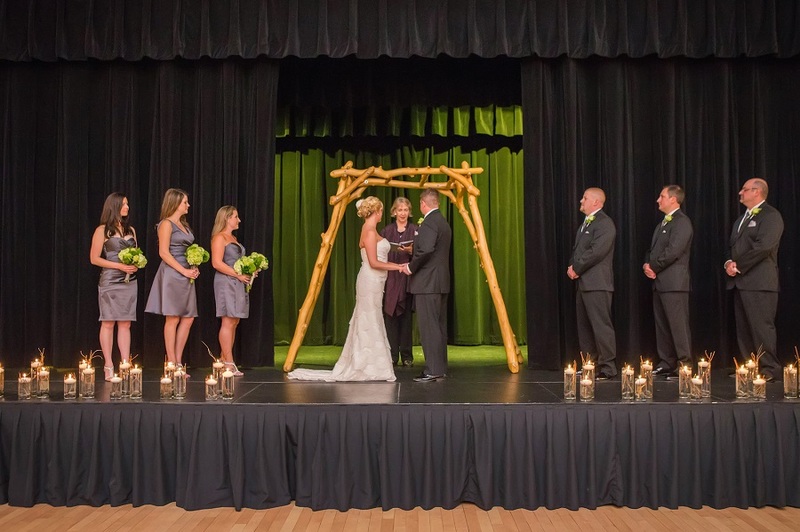 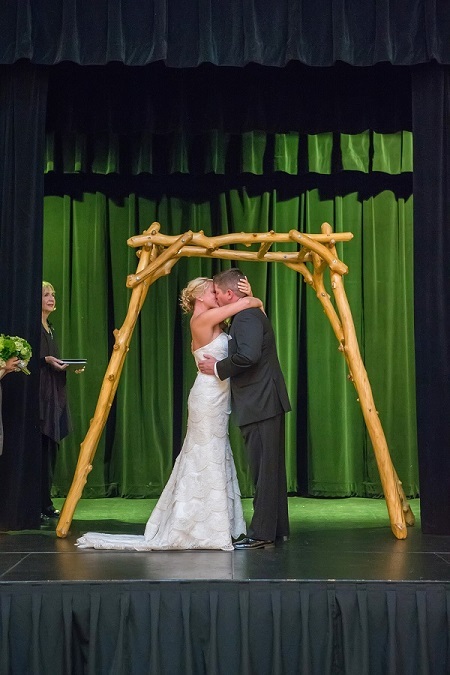 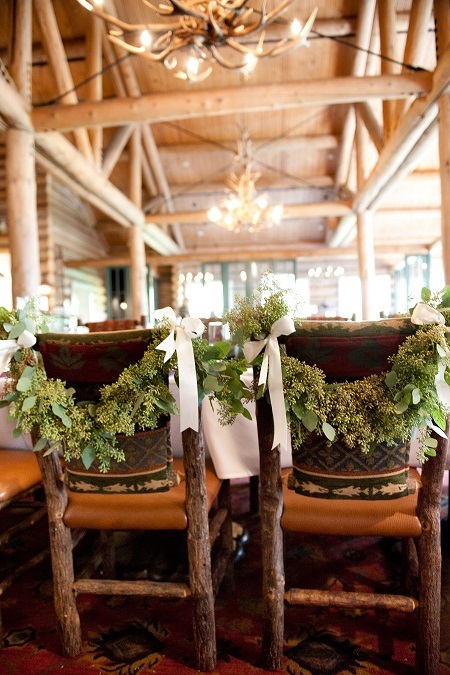 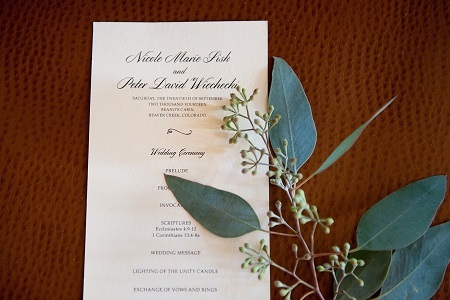 Forest twigs emerged from river rock around floating candles, outlining the sweet ceremony framed by an aspen arch and backlit in emerald like the evening sun filtering through a canopy of evergreens. 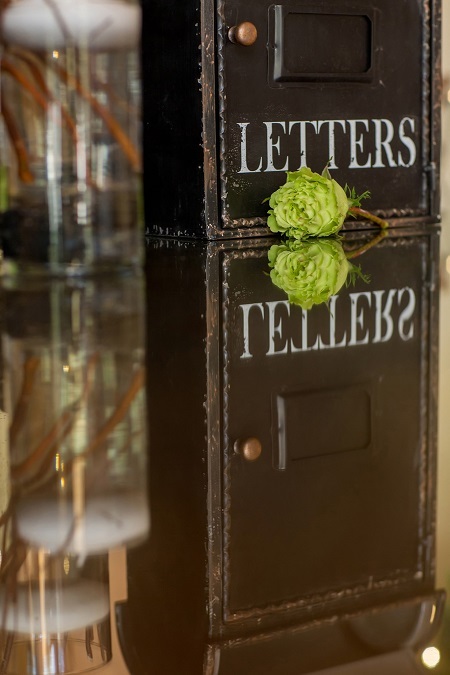 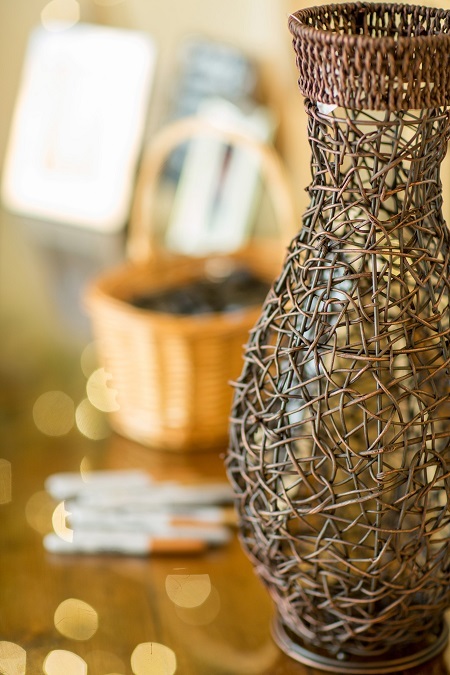 Between games of corn-hole during cocktail hour, guests dropped river rock well-wishes into a decorative wicker vase and deposited cards in a vintage-styled letter box. 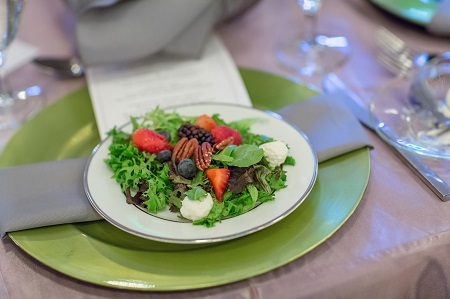 Fern green chargers wrapped in charcoal napkins displayed sumptuous menus featuring a colorful fall salad topped in berries and pecans precluding a hearty dual entrée of Grilled Chicken in Creamed Leek Sauce and Bistro Steak Medallions with Gorgonzola Crumbles, served in style by Front Range Catering. 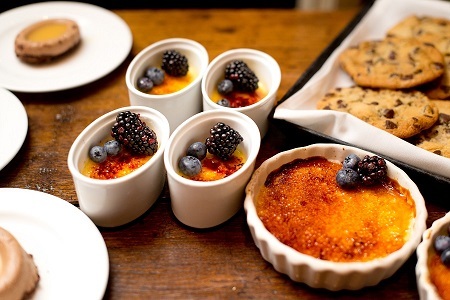 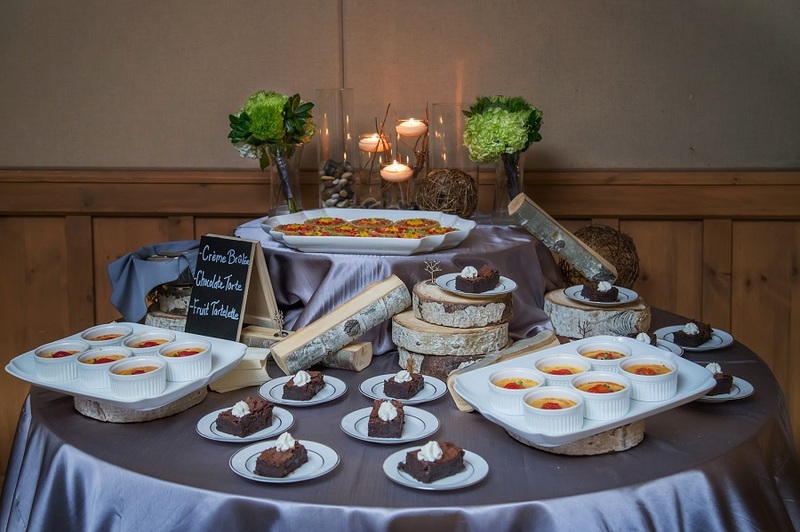 Crème Brulee, Chocolate Molten Cakes, and Fruit Tartelettes adorned a woodsy candlelit dessert table accented with wicker balls and river rock. 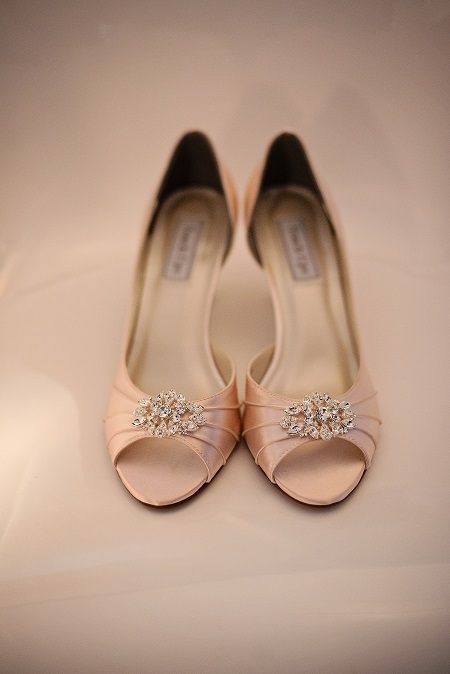 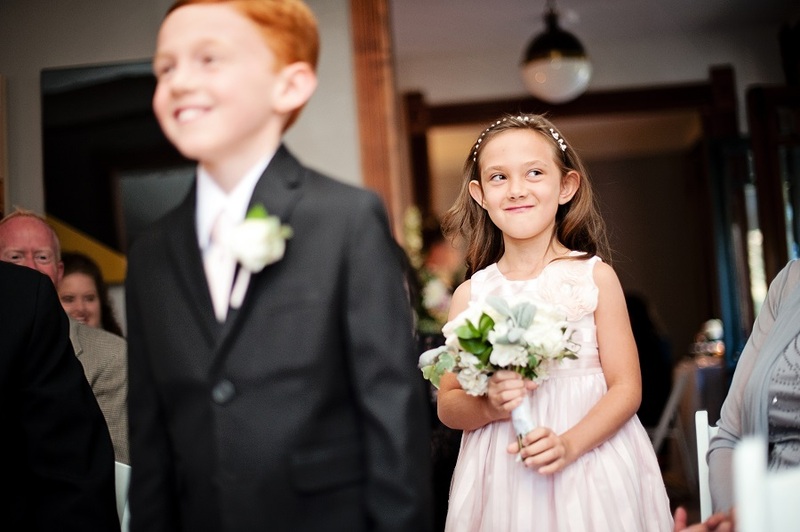 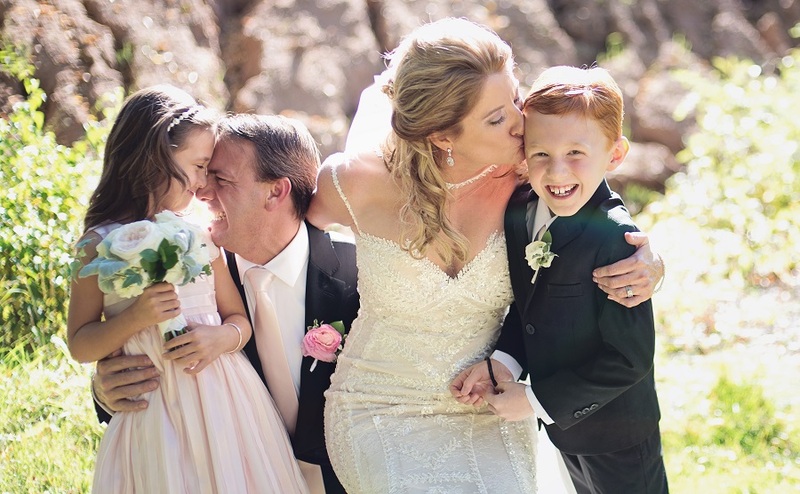 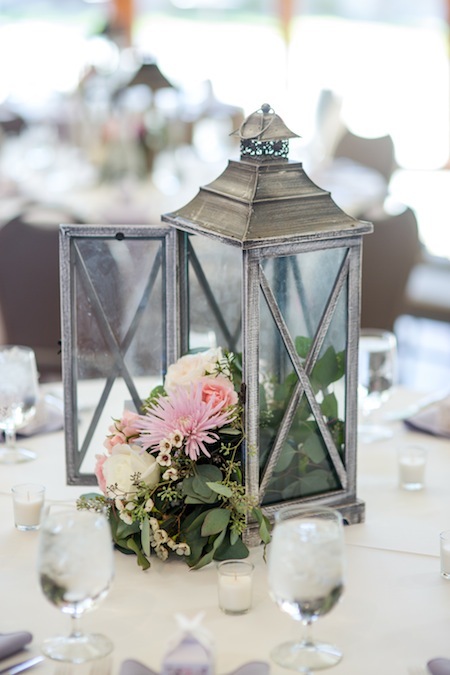 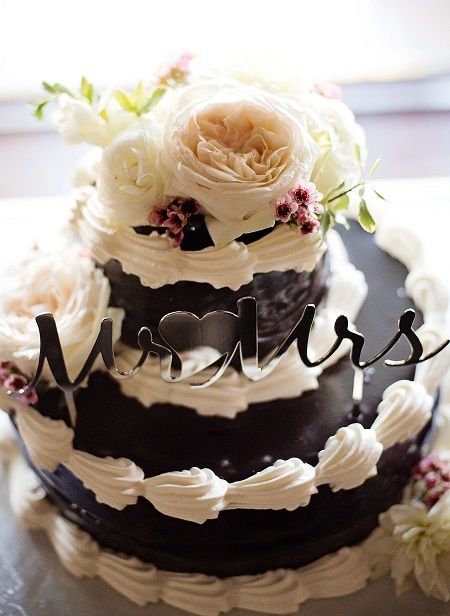 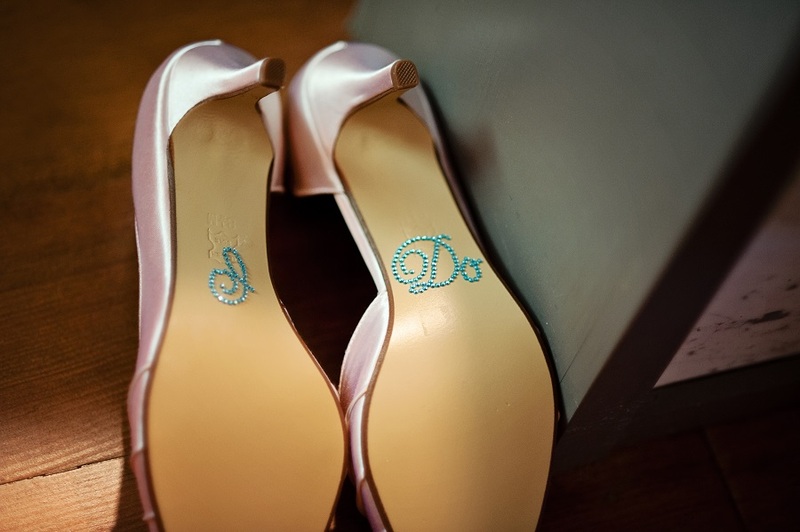 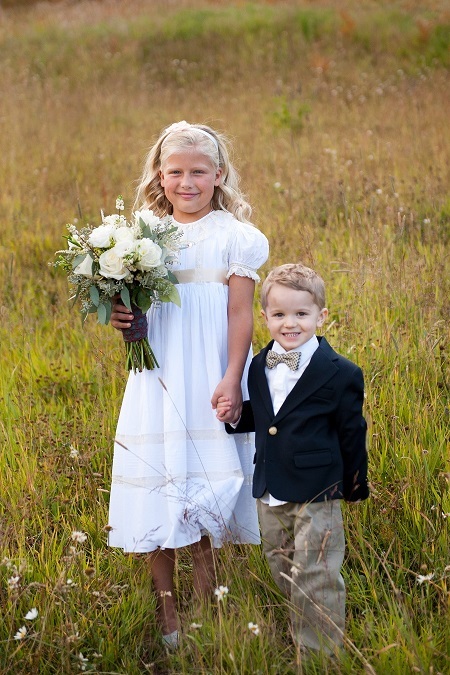 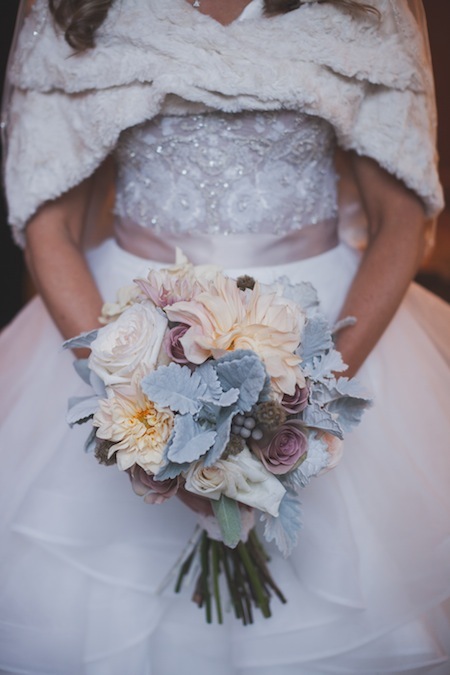 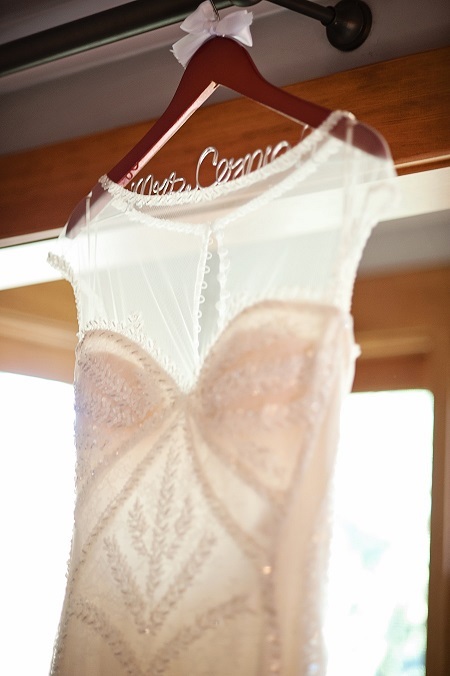 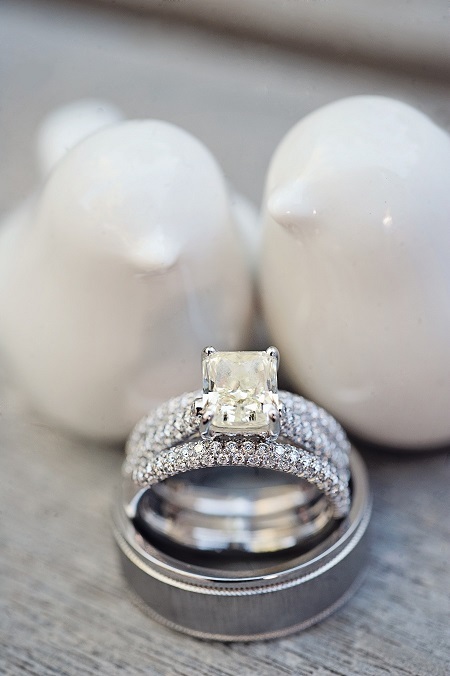 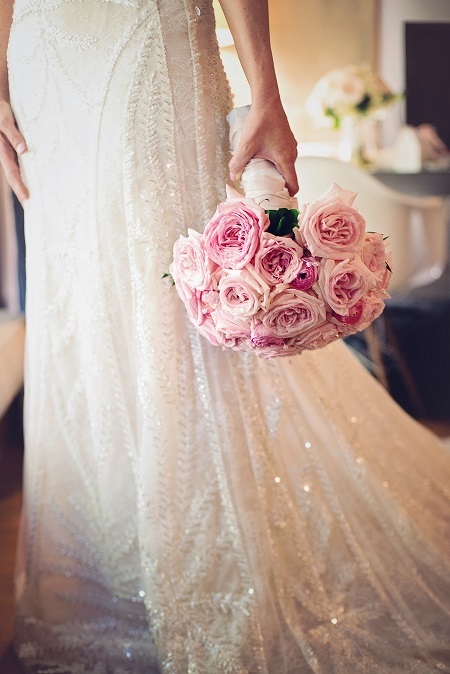 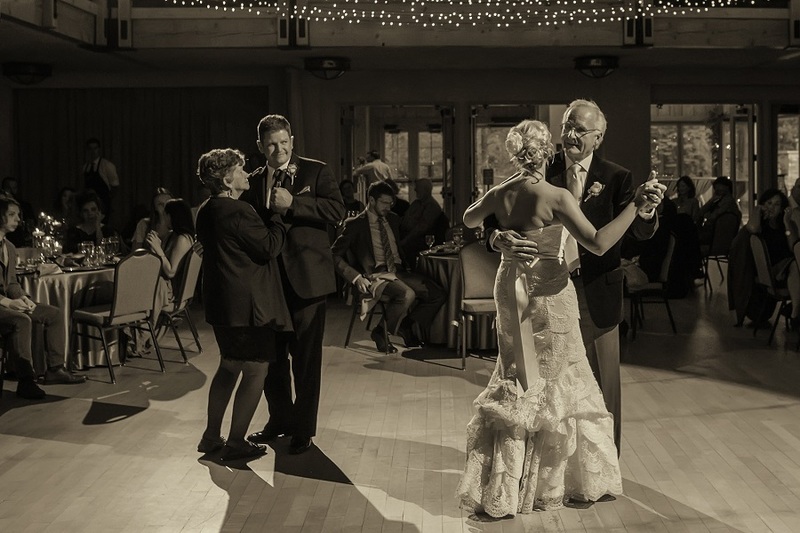 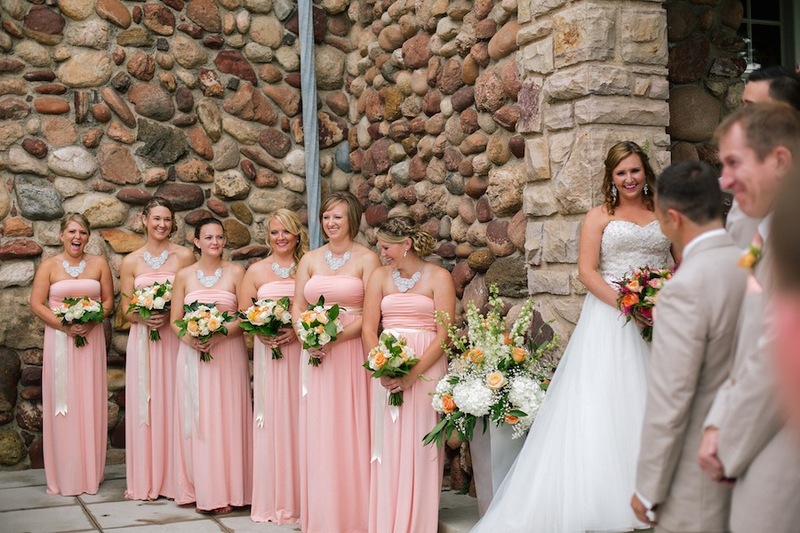 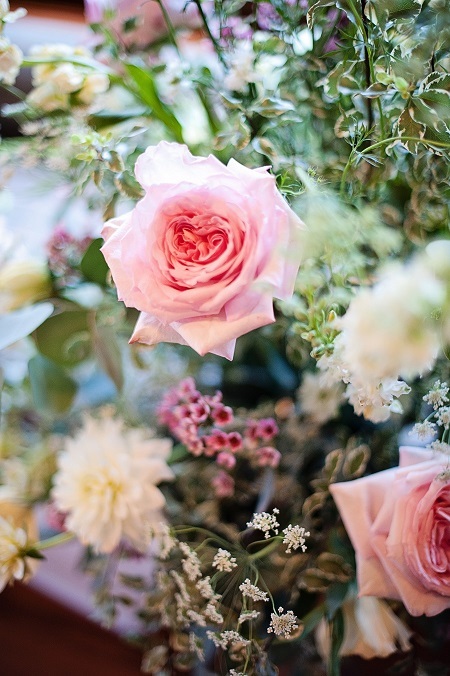 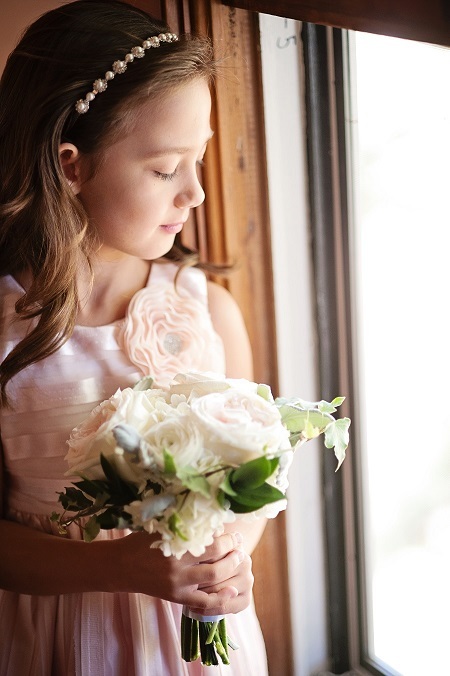 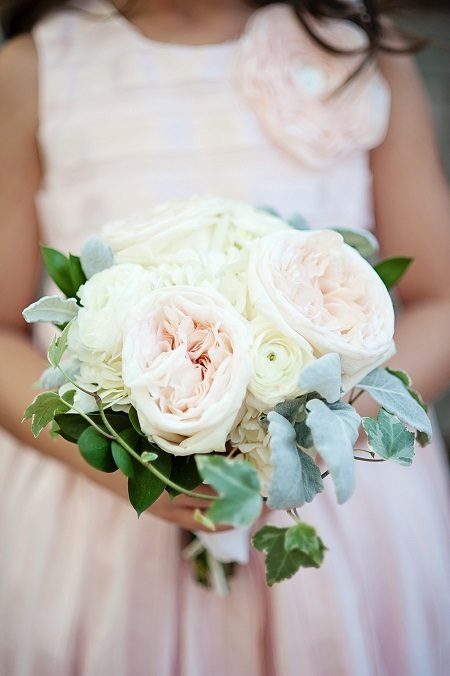 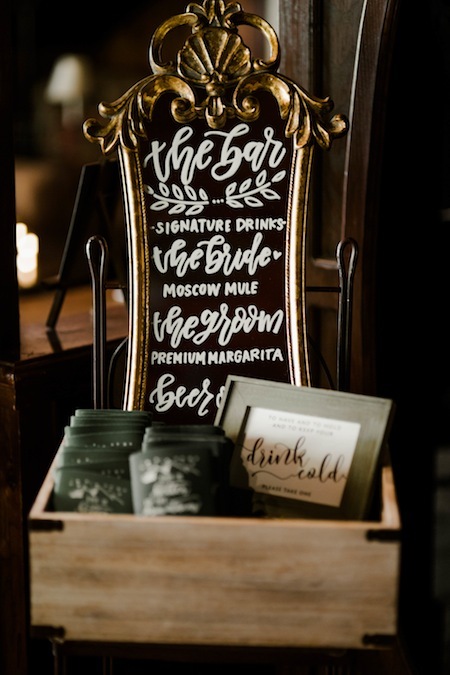 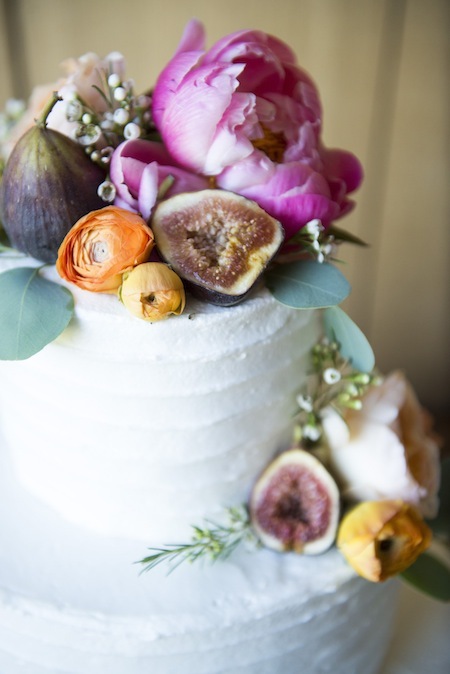 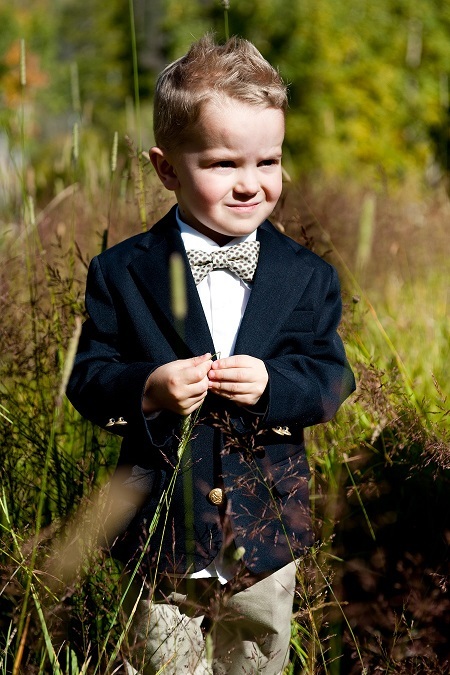 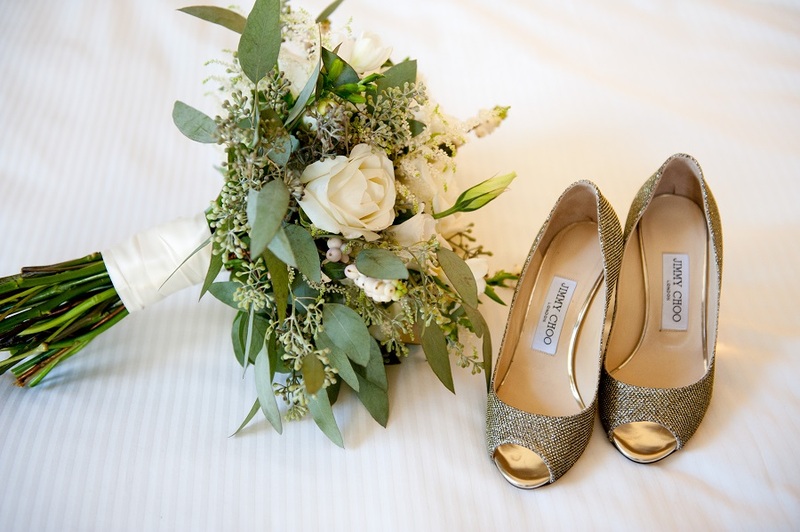 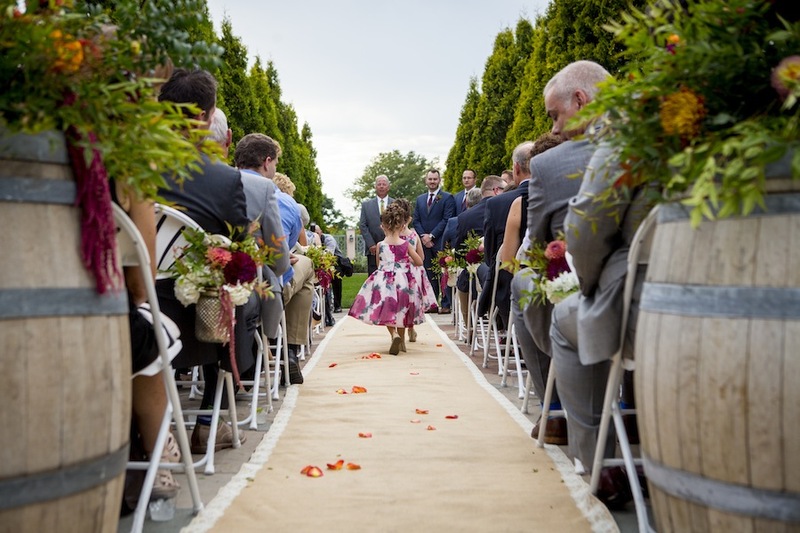 The lovely details of this fun day were captured in timeless style by the talented Allee Photography. 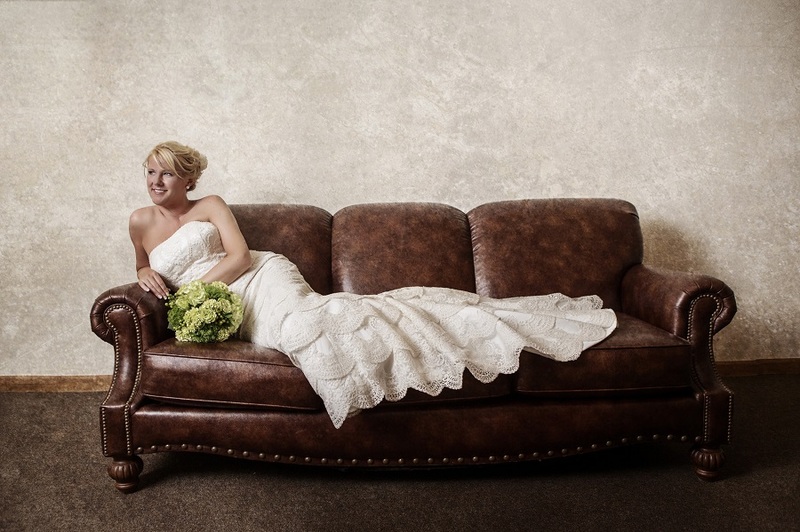 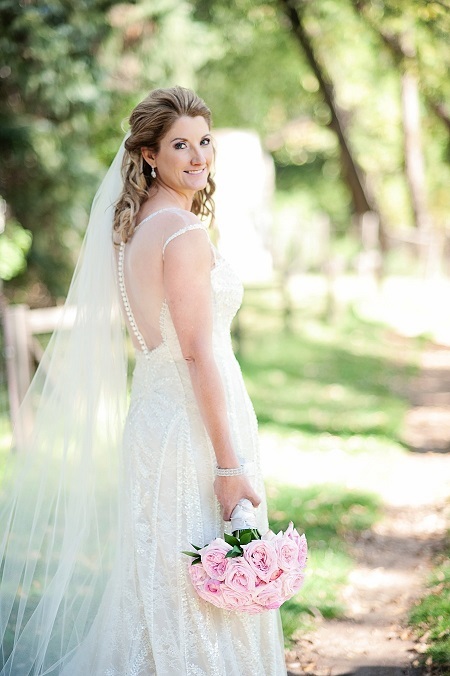 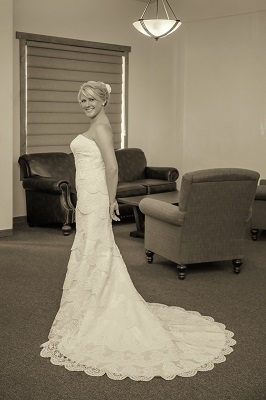 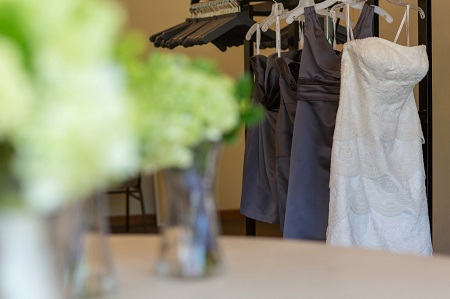 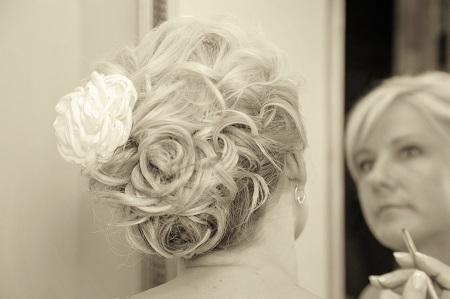 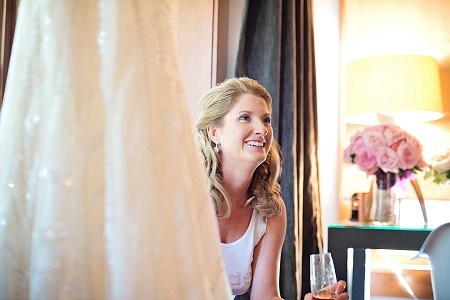 Thank you, Anna & Corey, for choosing us to coordinate your day. 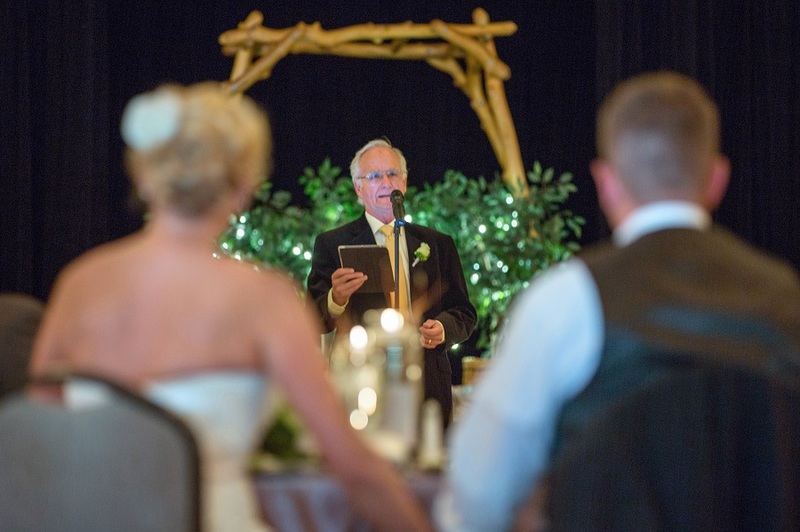 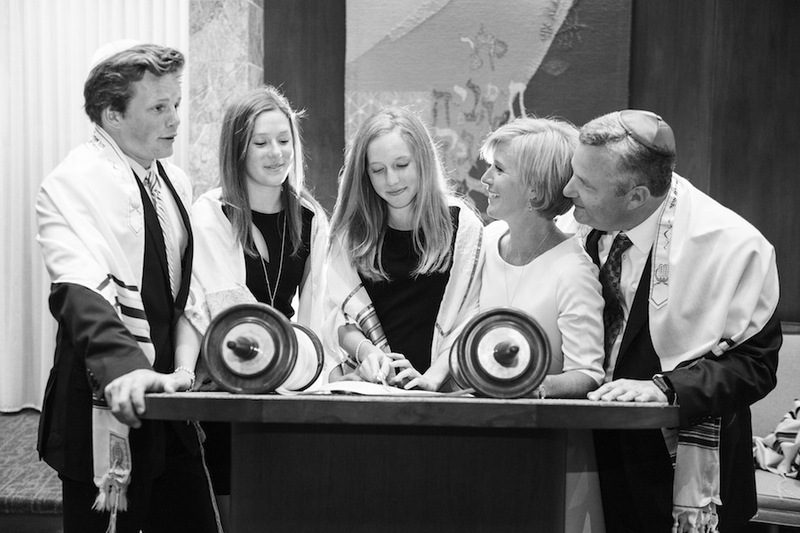 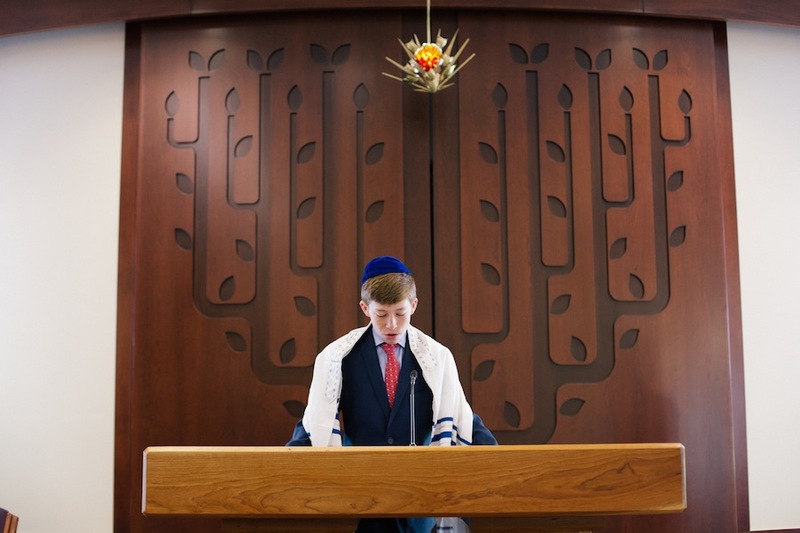 What an honor and what an entirely enjoyable weekend! 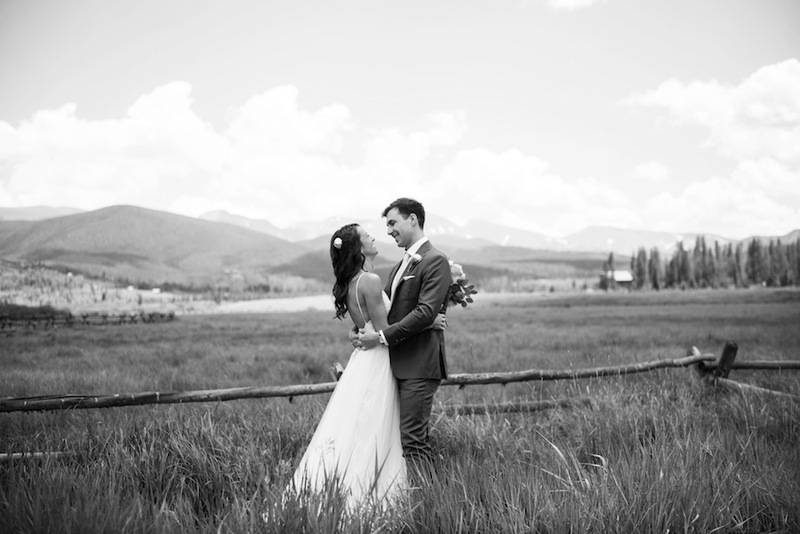 We wish you many Broncos wins, flourishing crops of tomatoes and peppers, and llama racing successes in the adventure of marriage ahead! 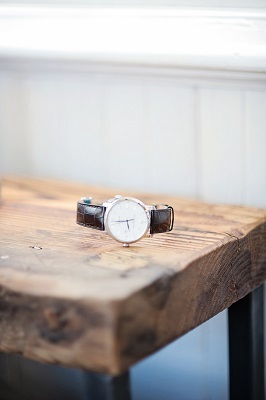 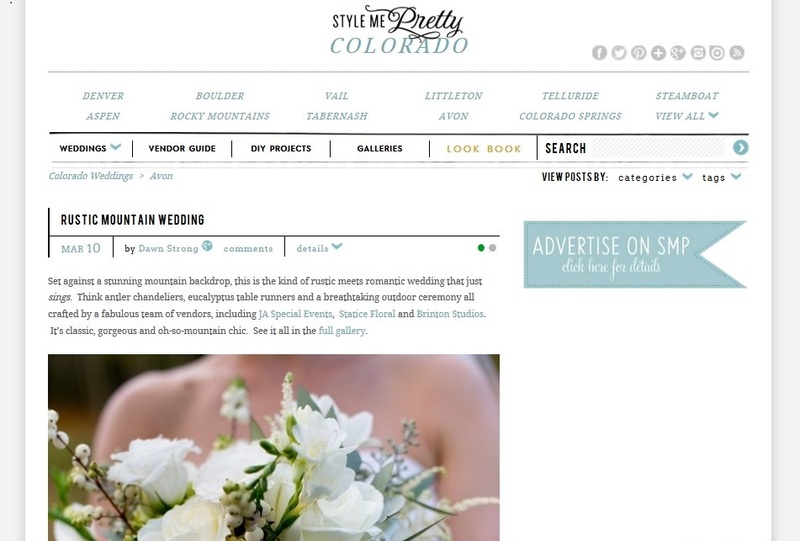 Featured on Style Me Pretty Today! 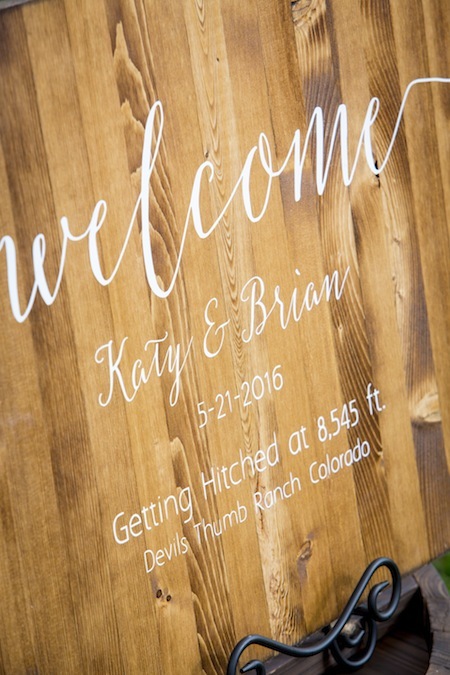 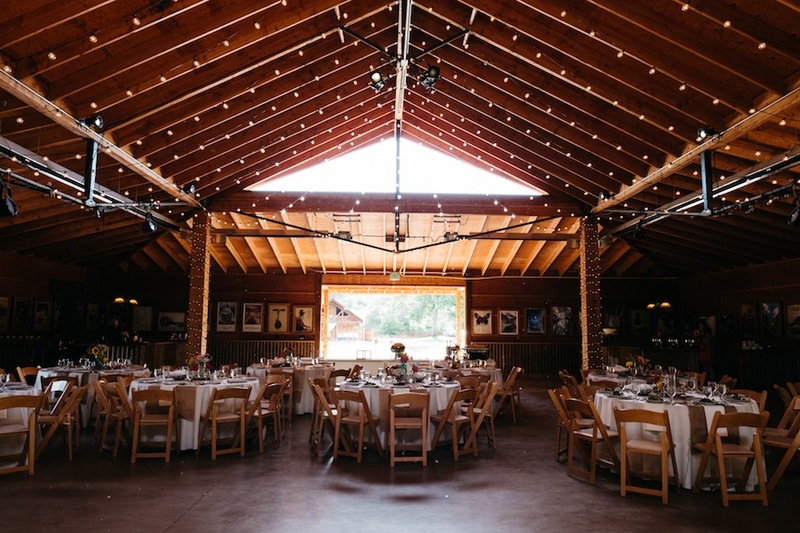 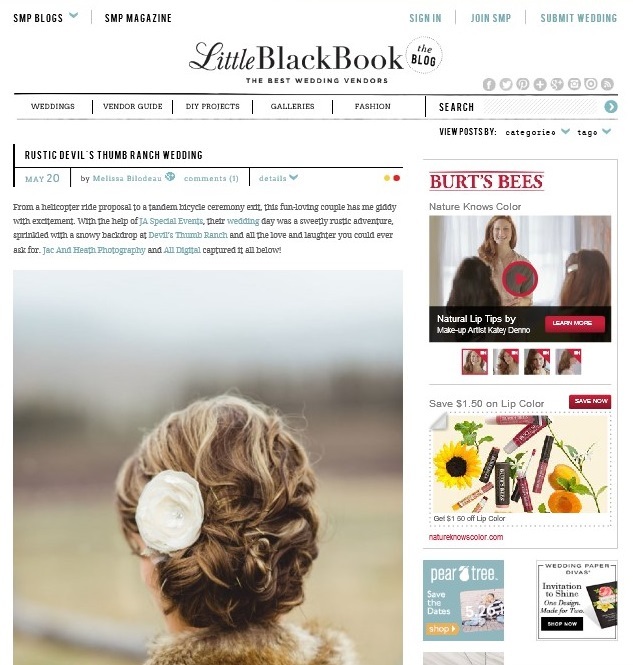 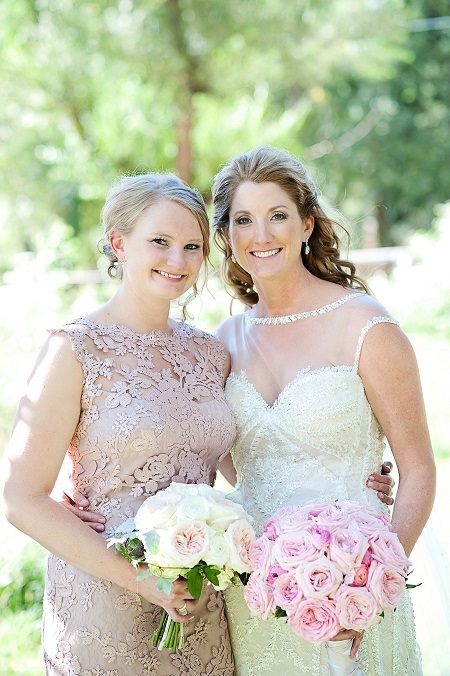 We are SO THRILLED to see Kristy & Phil’s wedding featured on Style Me Pretty today: Rustic Devil’s Thumb Ranch Wedding with stunning images from Jac & Heath Photography and a stellar vendor team including Fleur de Liz, Devil’s Thumb Ranch, Ear2Ear Photobooths, All Digital Studios, and Elite DJ. 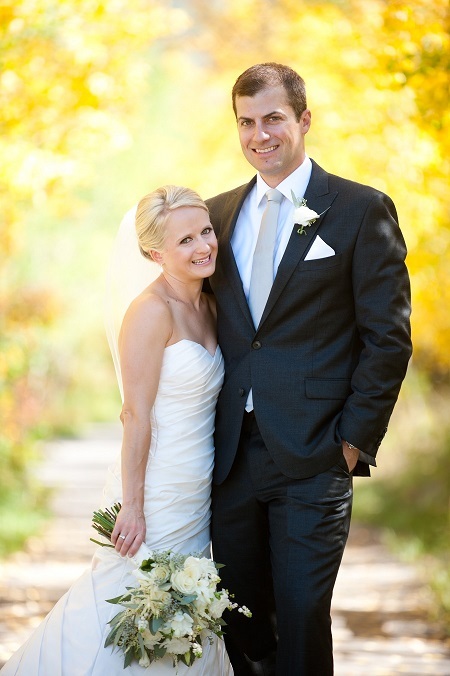 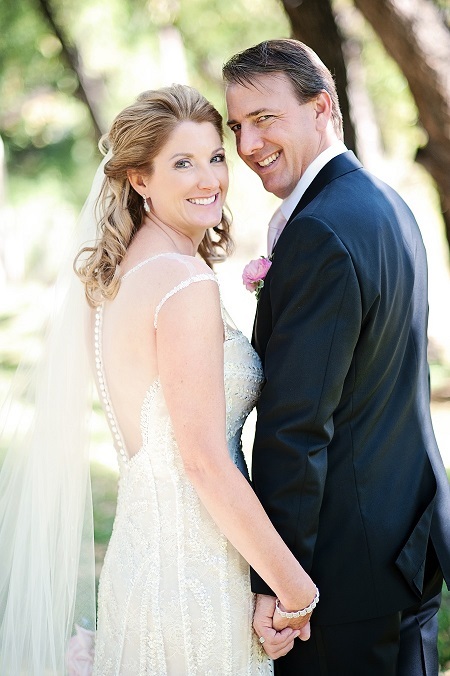 Congratulations to Kristy & Phil! 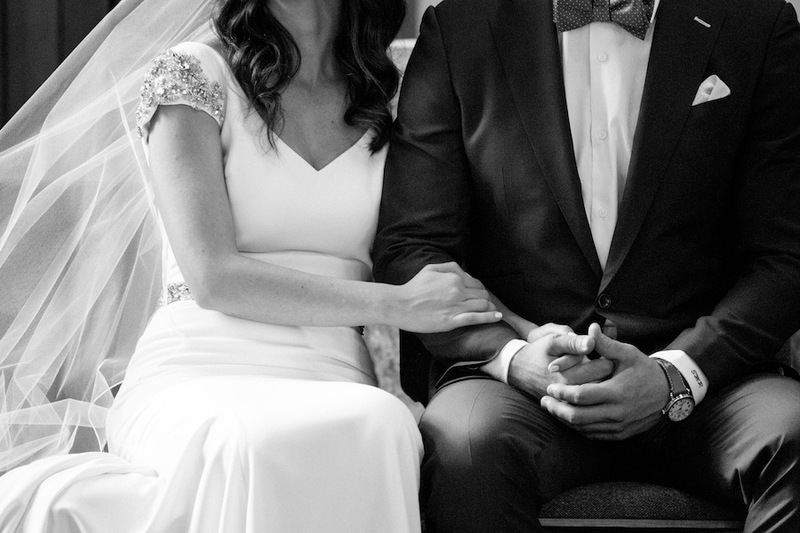 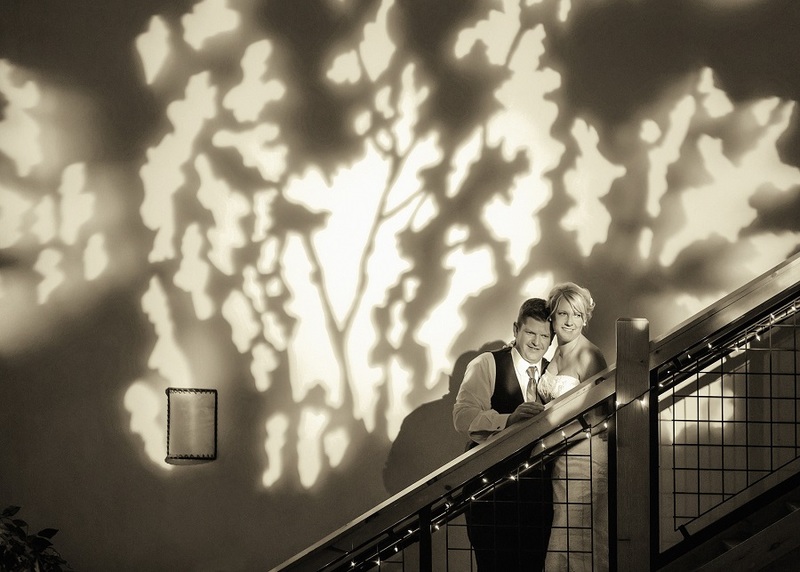 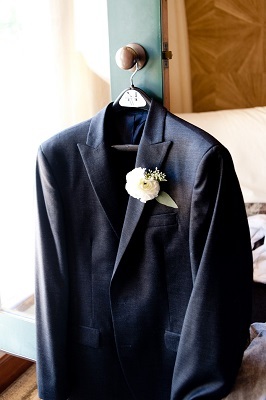 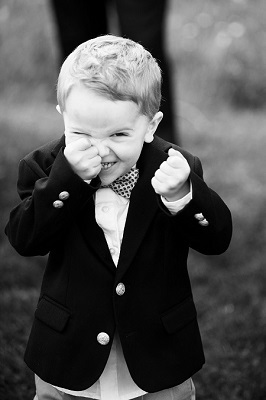 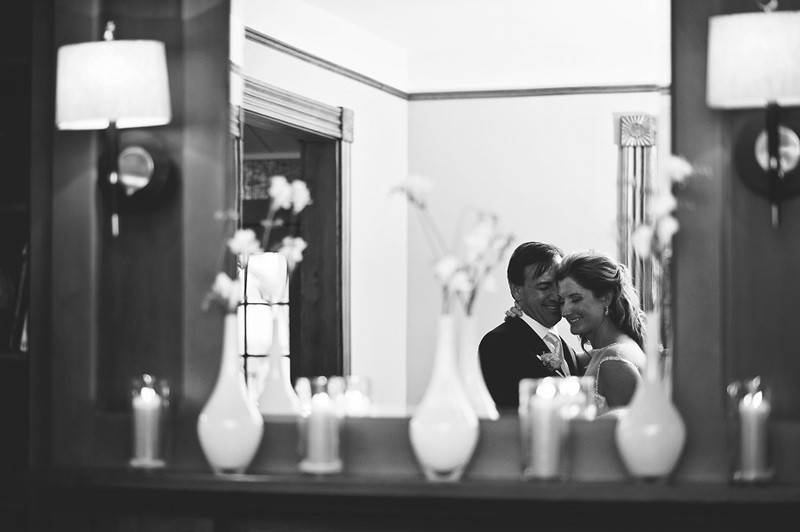 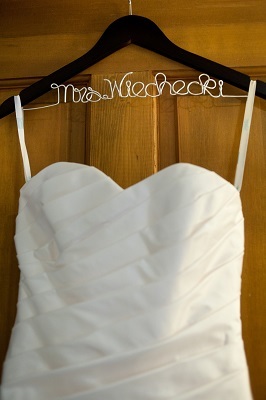 We are excited to share their wedding on our own blog in just a couple days!